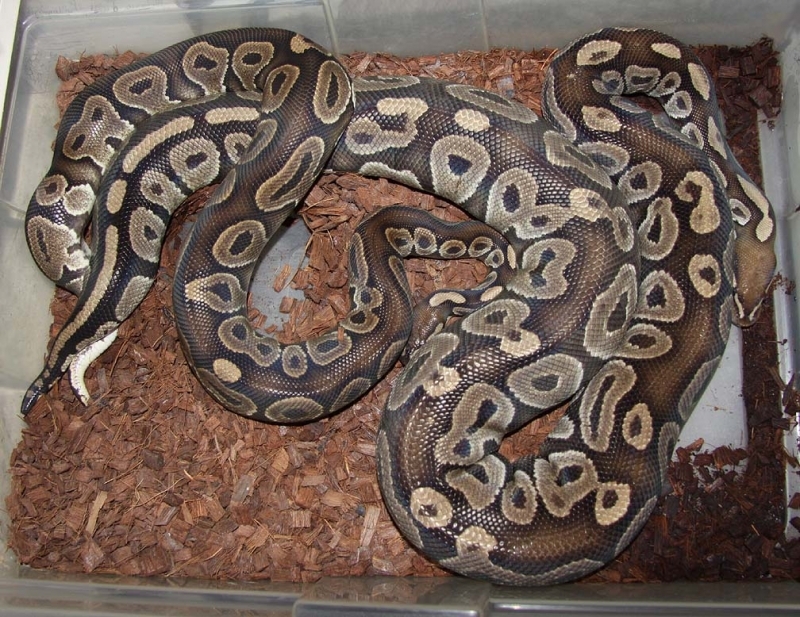 Description: Mutation X Pastel Het RA 1/11 x Lesser 7/07. 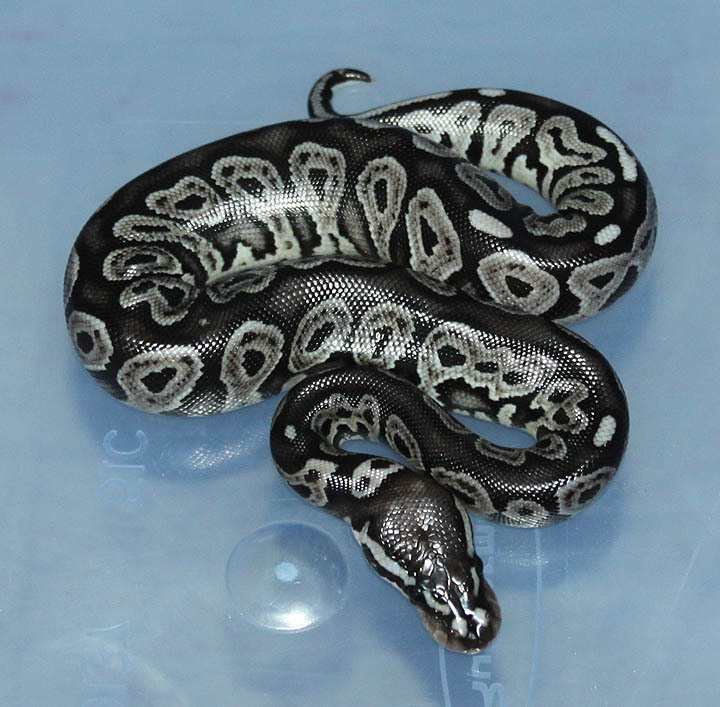 Description: Mutation X Pastel Het RA 1/11 x Spider Het RA 1/09. 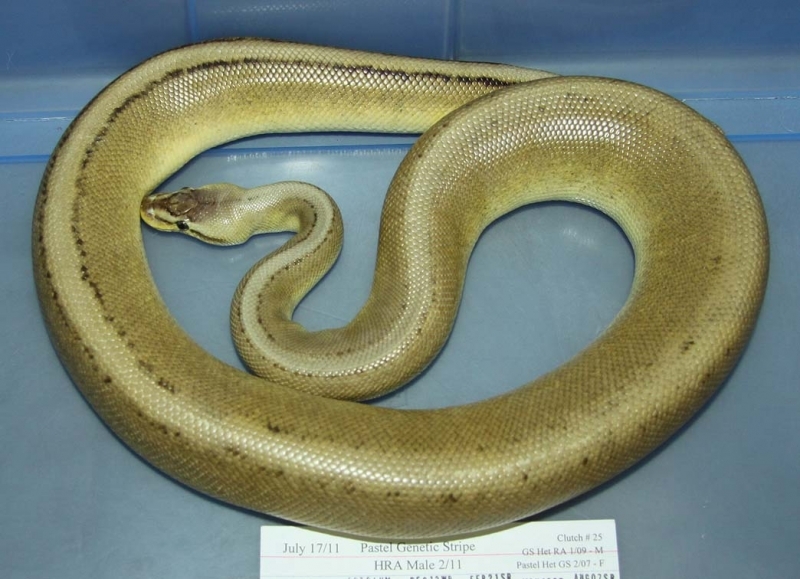 Description: SUMA 1/11 x Opal HRA 1/07. 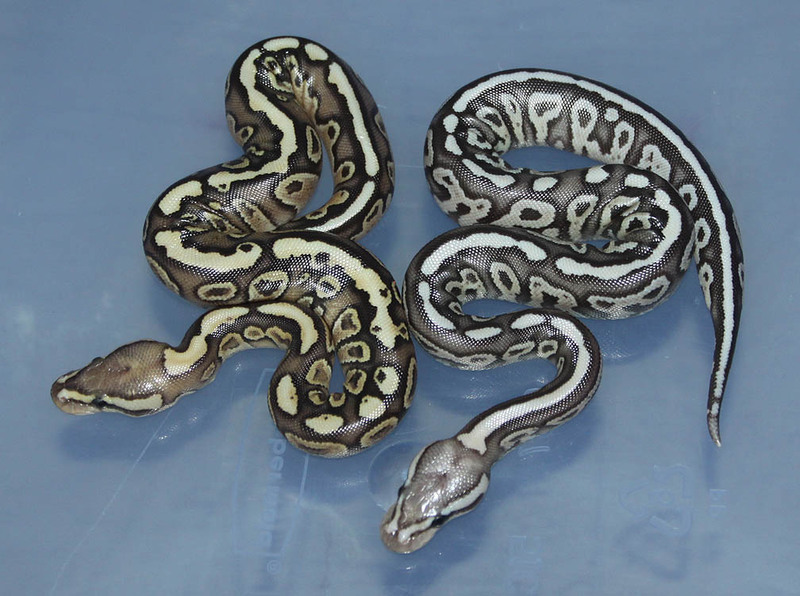 The Pastel Het RA Mahogany's are very cool in person! 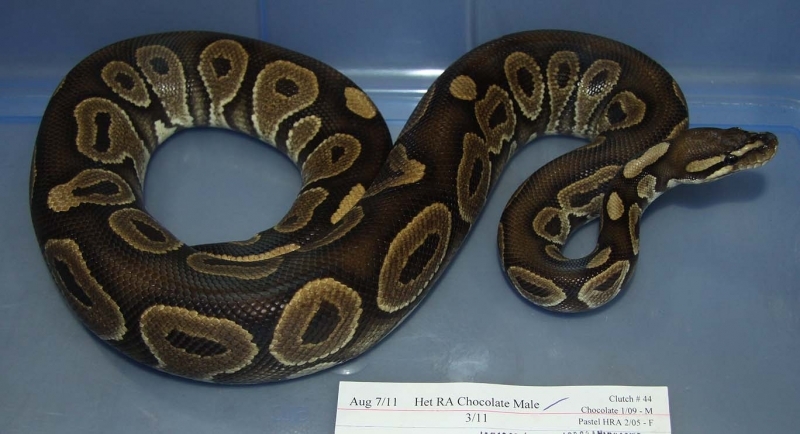 Description: Chocolate Het RA 3/11 x Het RA 15/06. 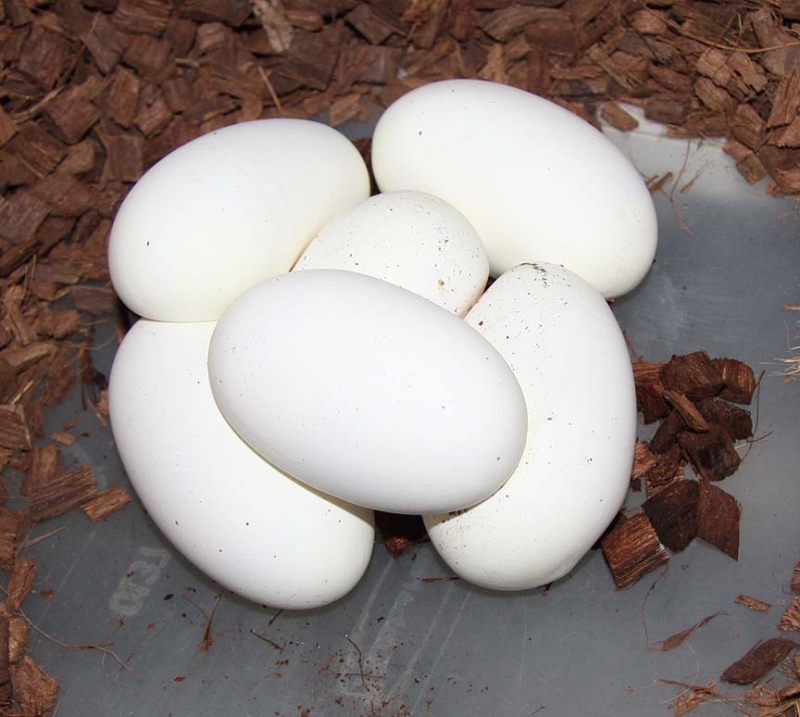 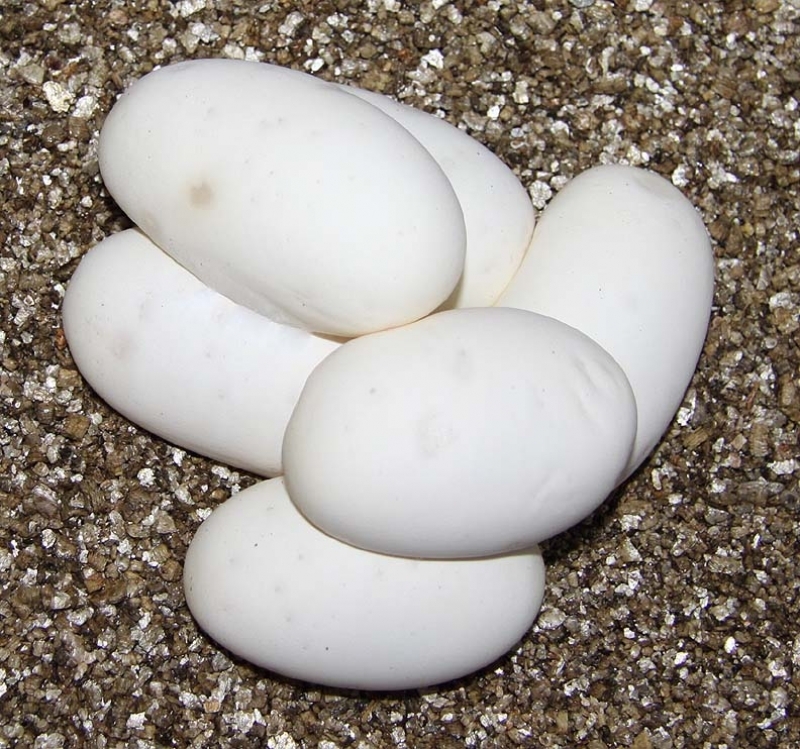 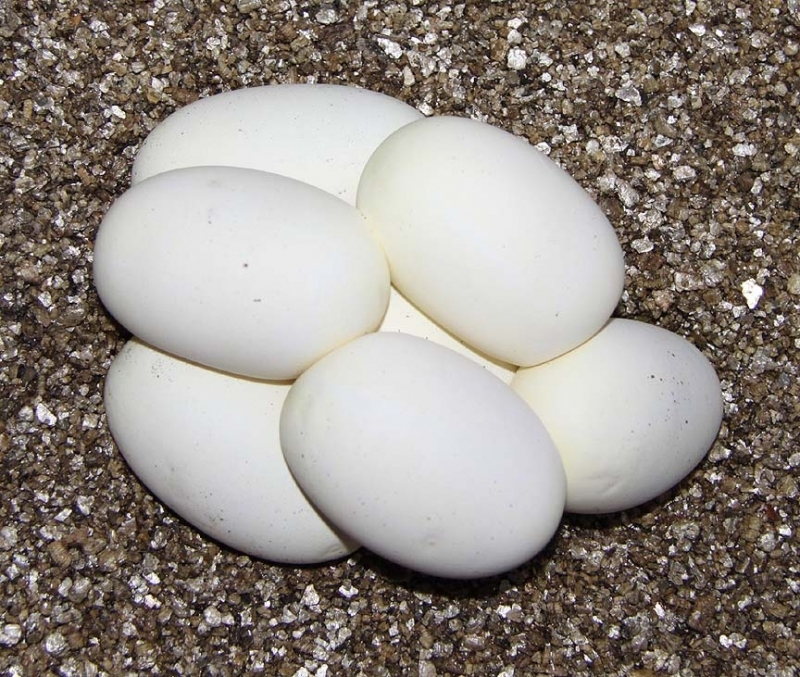 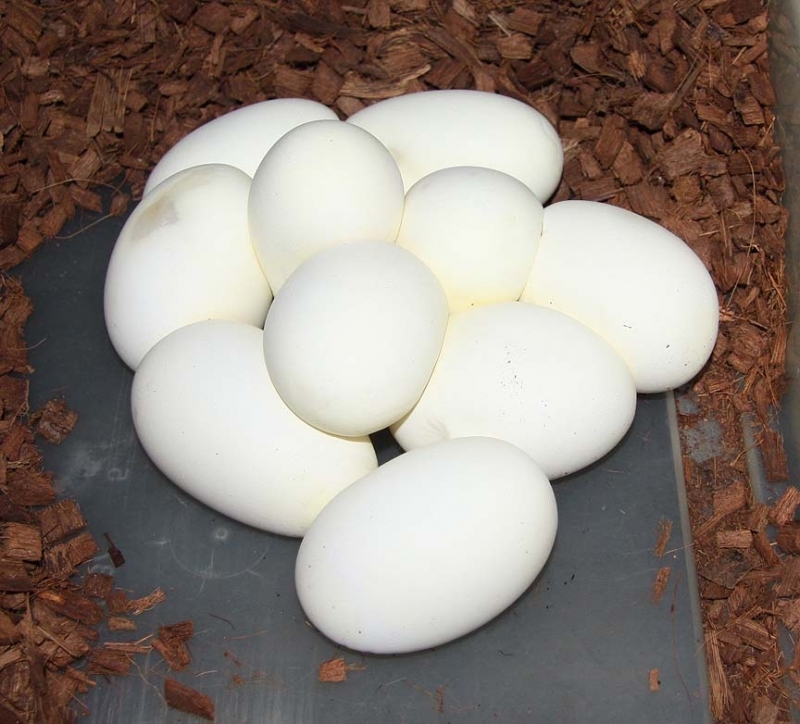 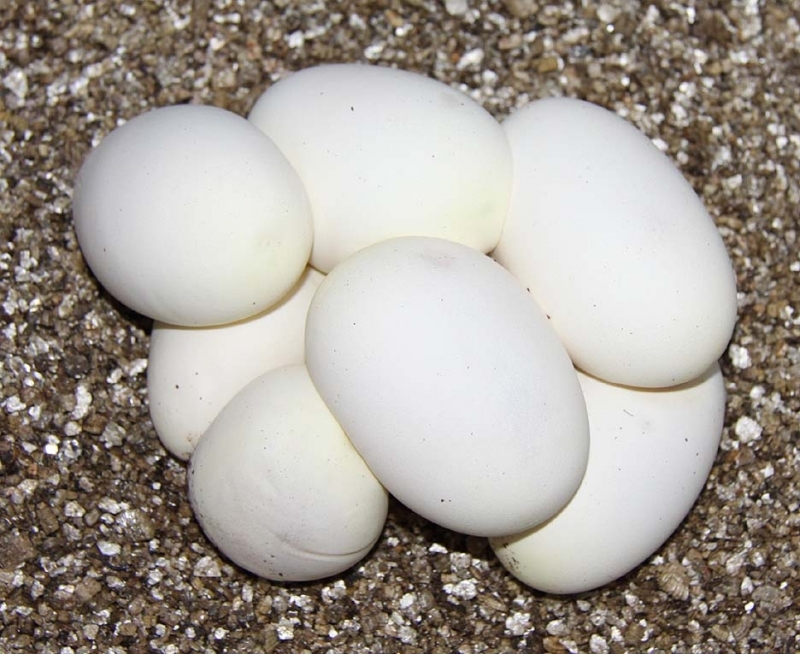 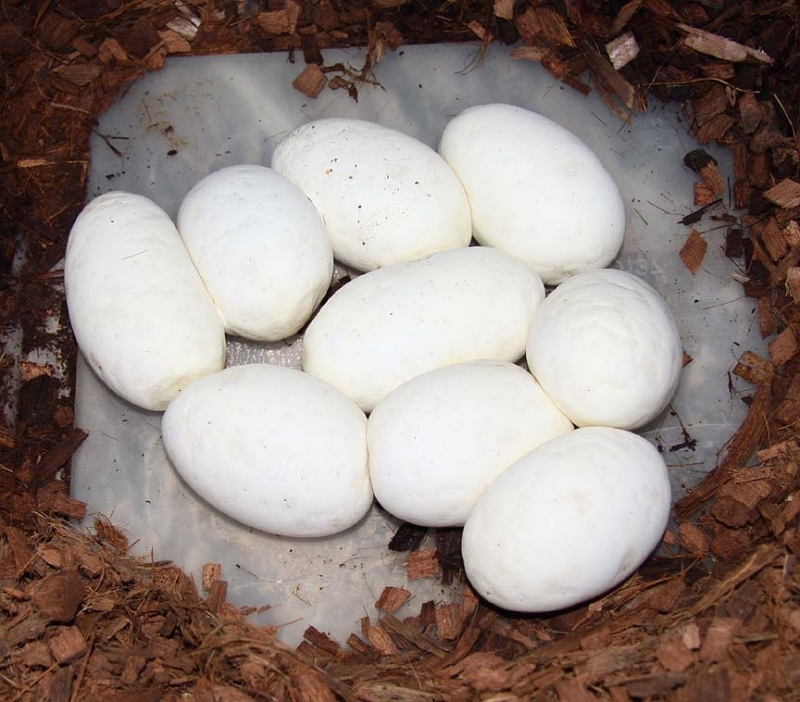 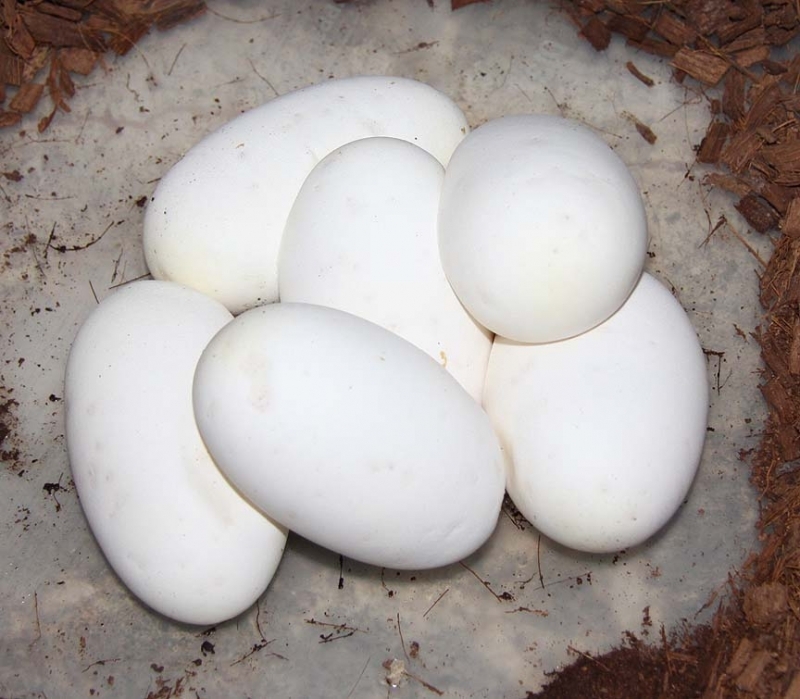 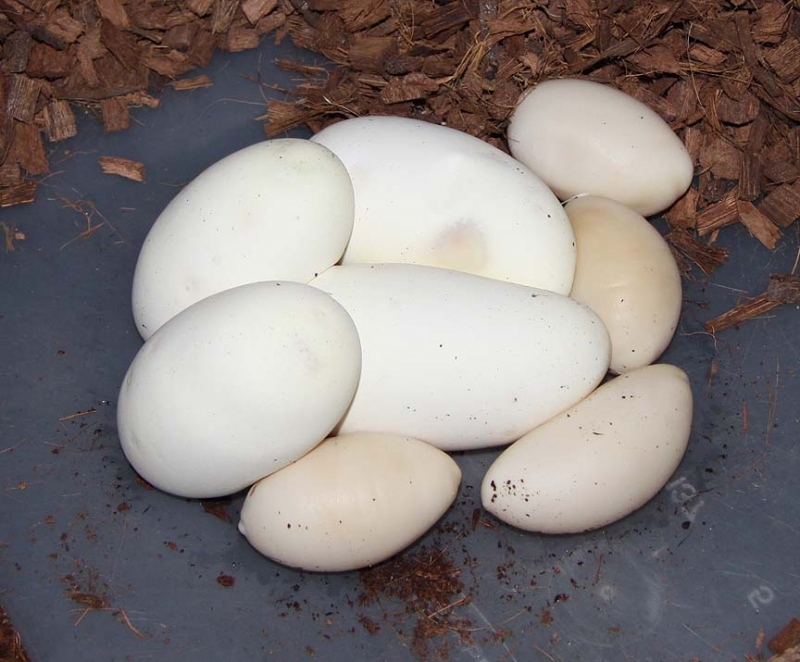 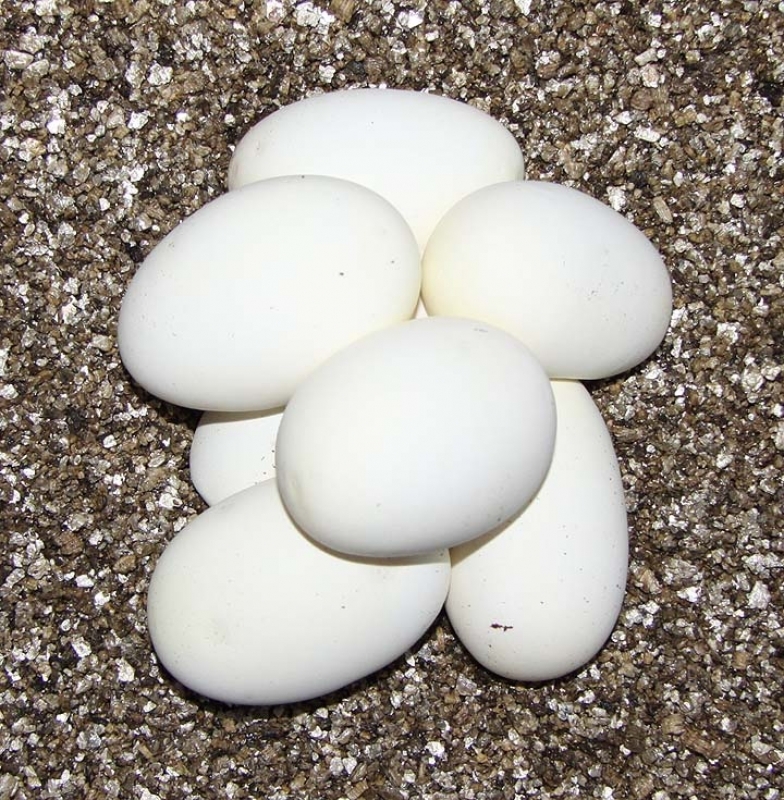 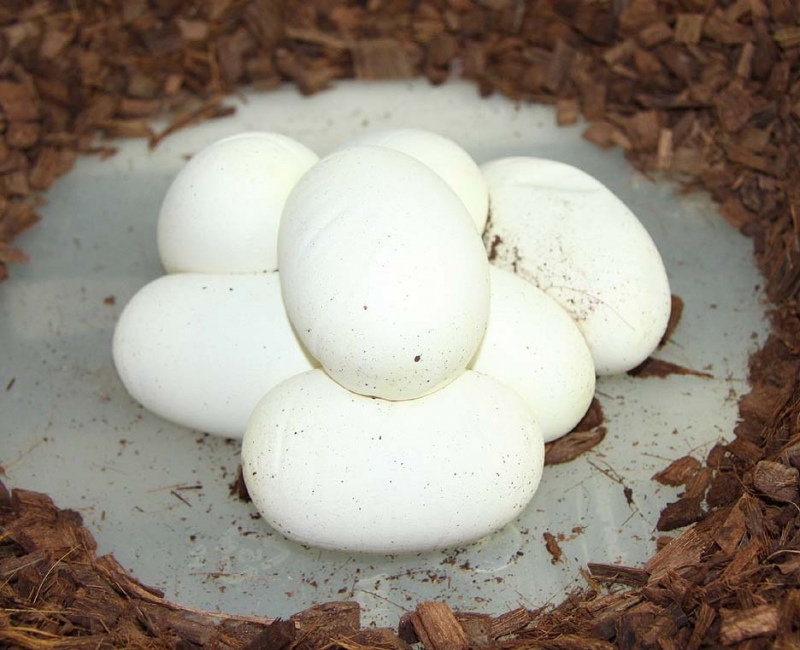 1 guy took a few extra days to crawl out of the egg holding up the entire clutch. 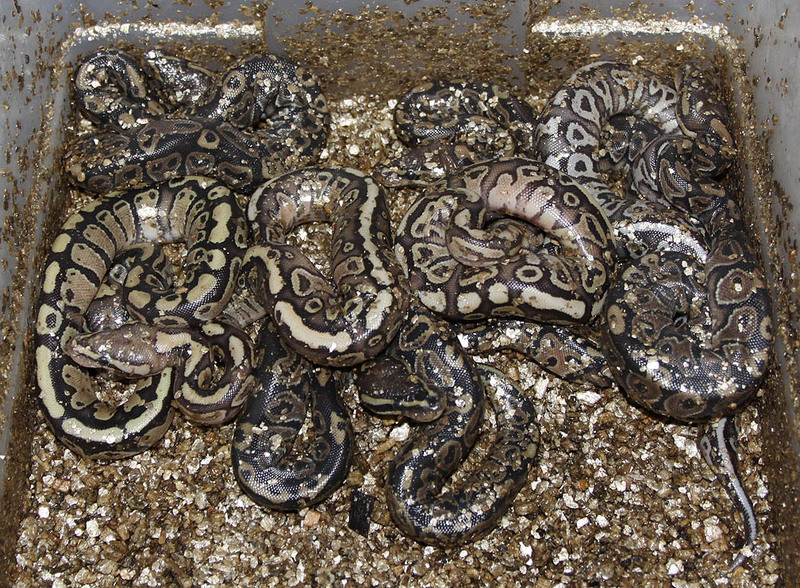 So, most were in shed when the entire clutch was ready to be pulled. 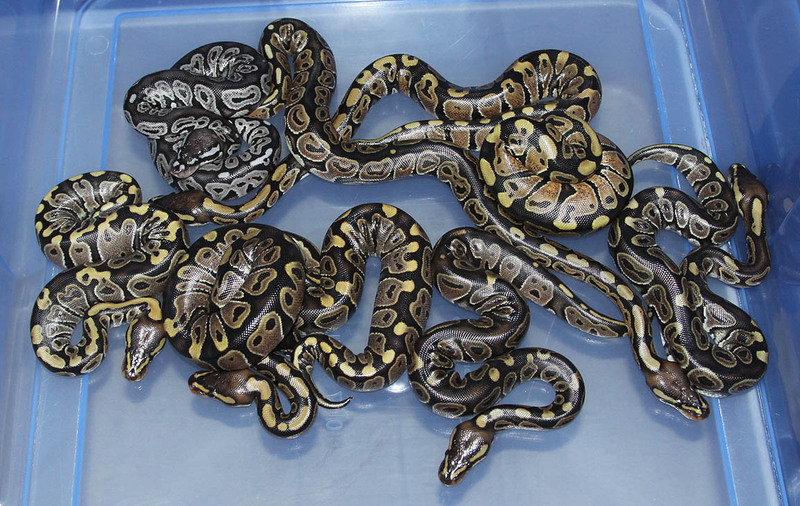 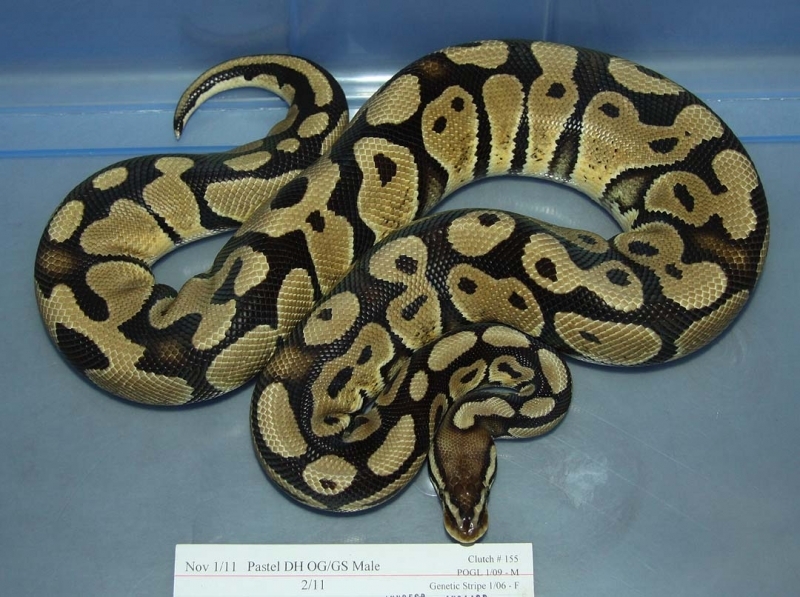 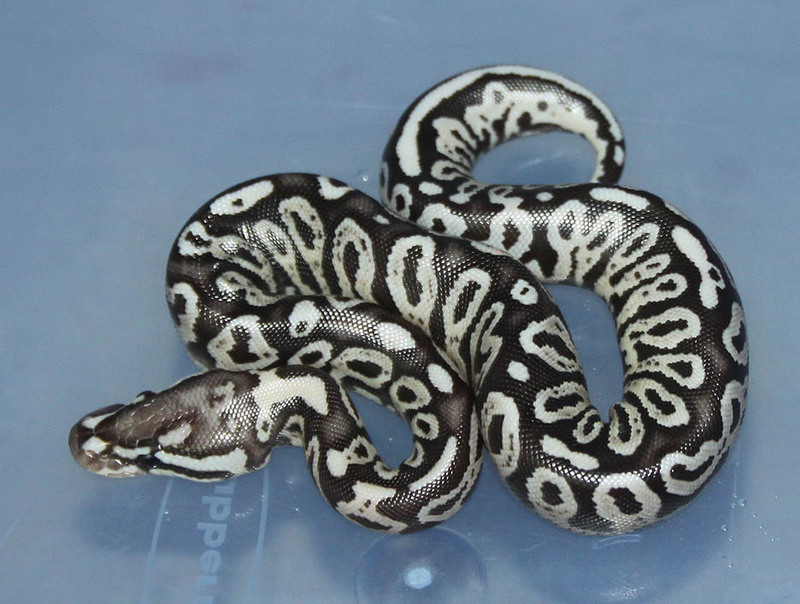 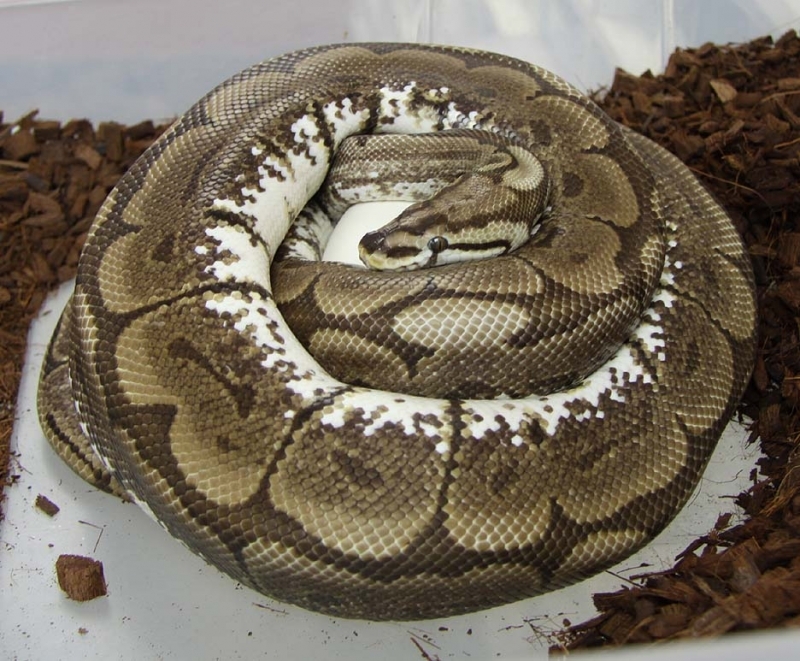 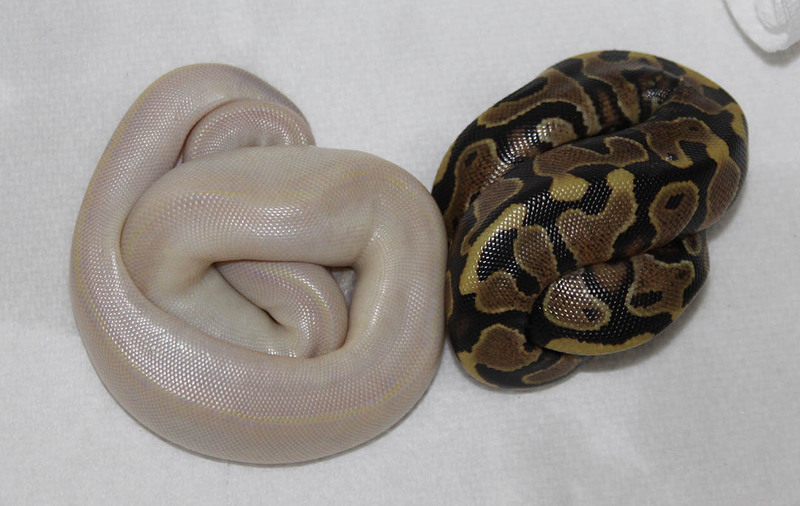 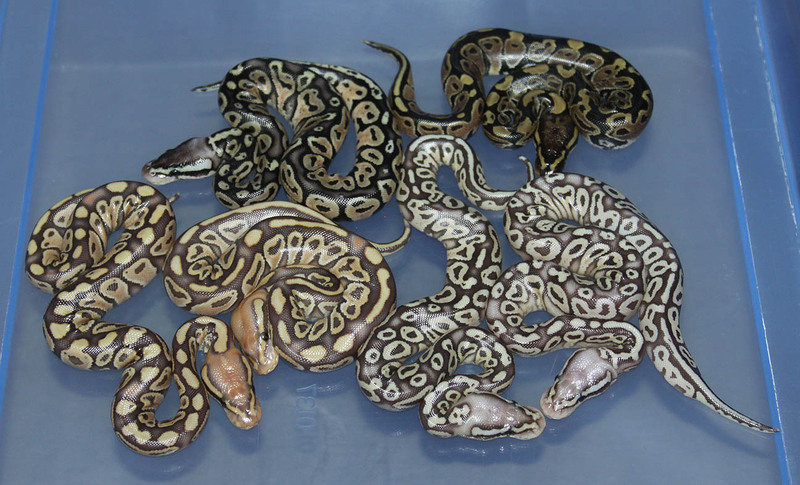 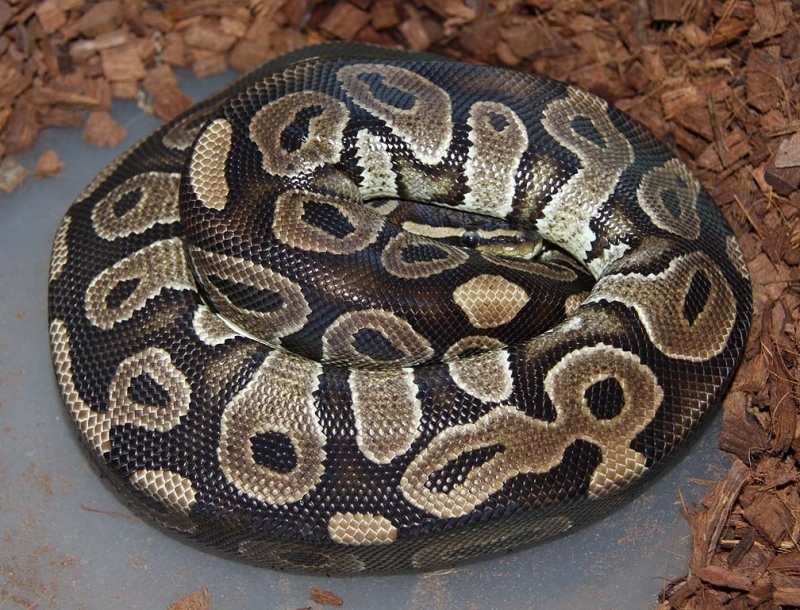 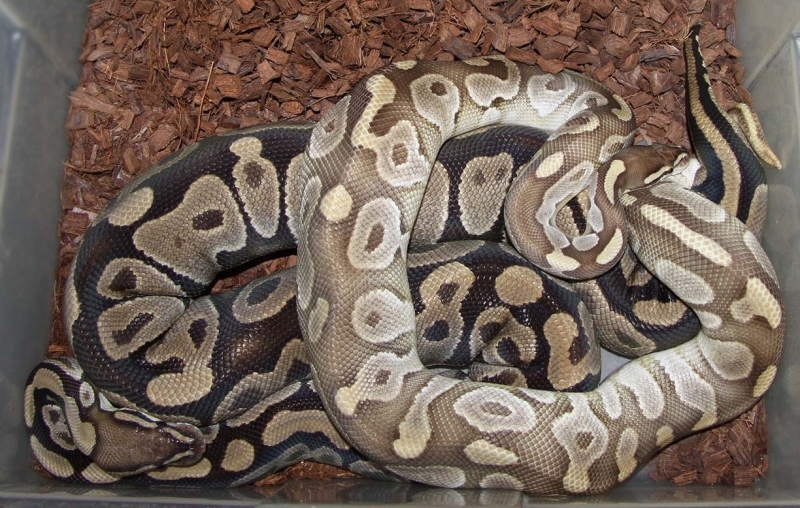 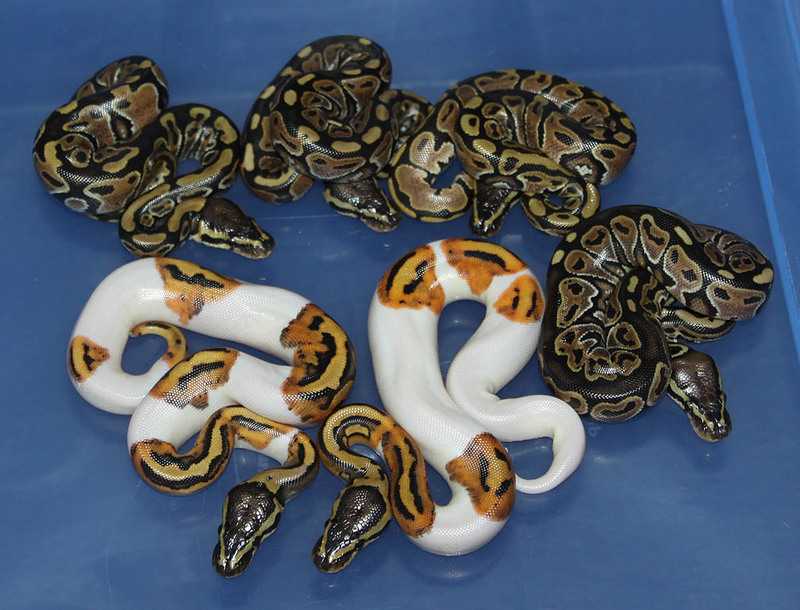 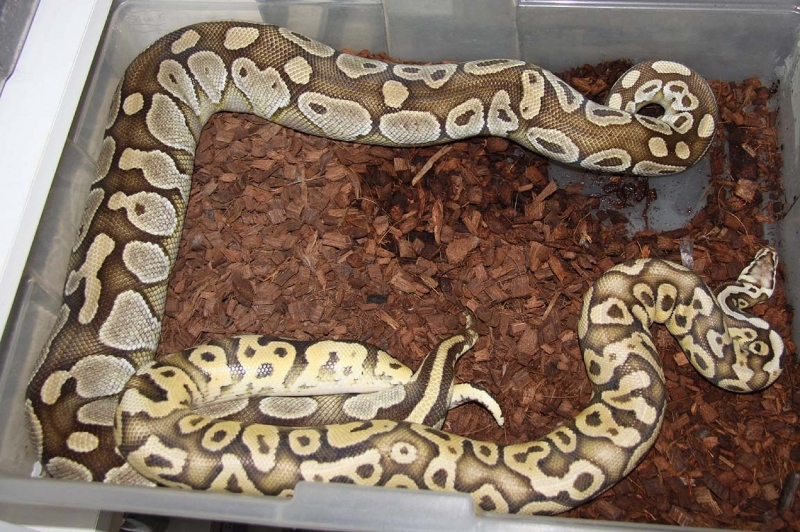 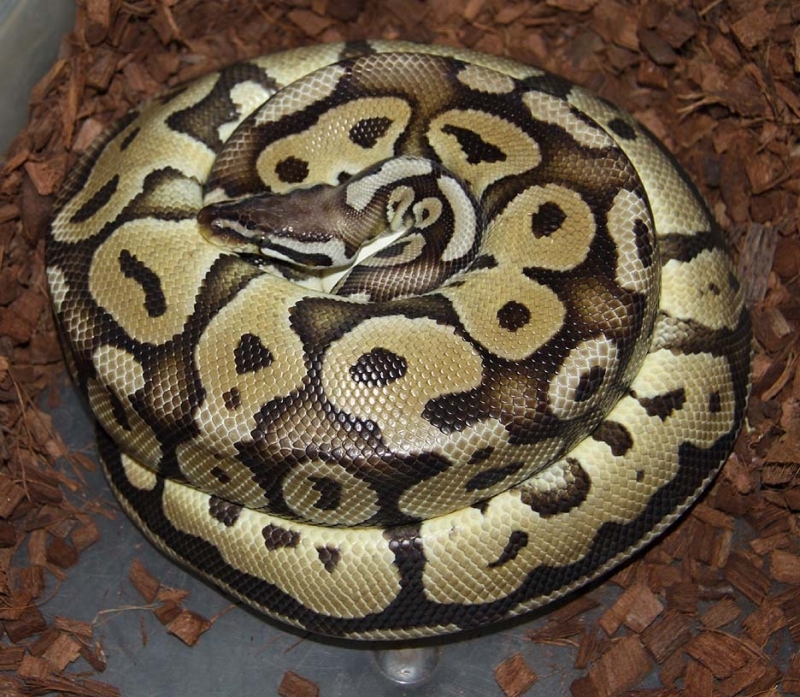 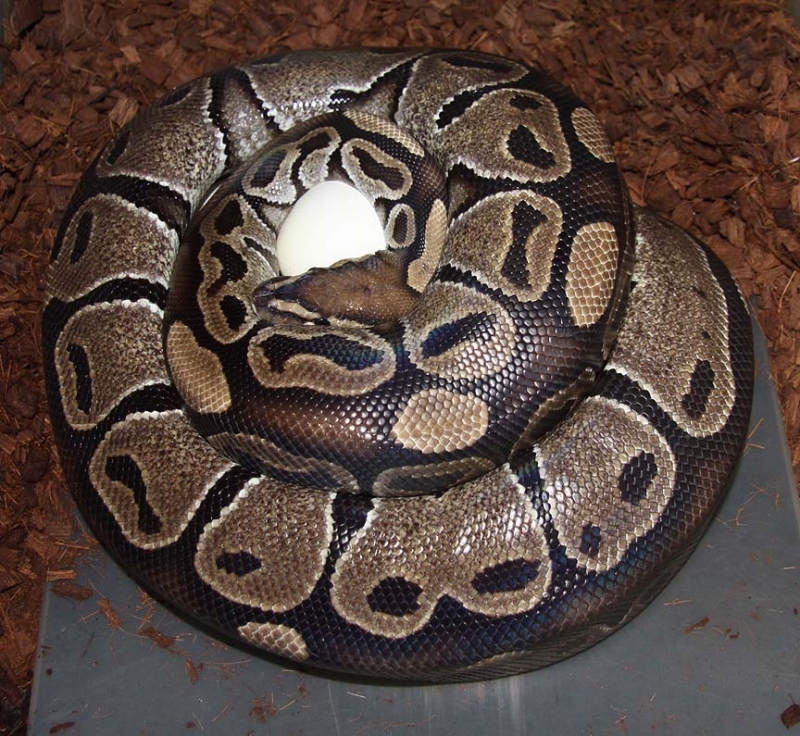 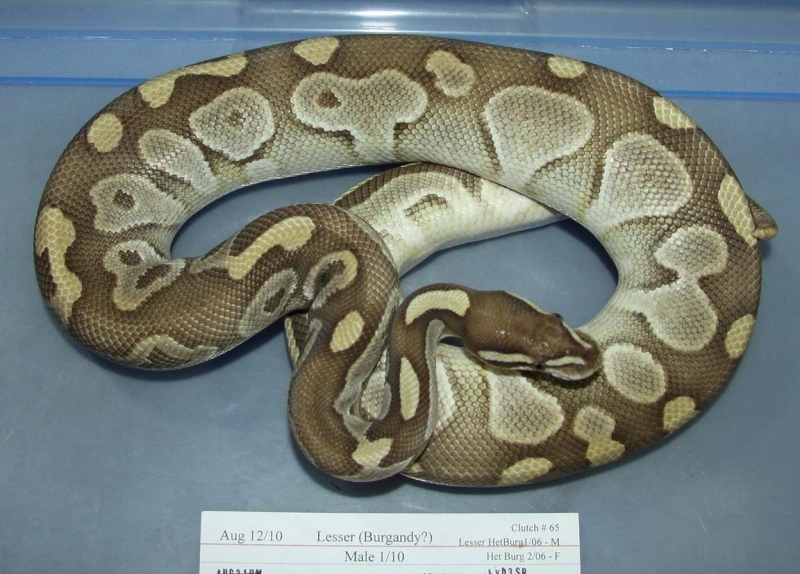 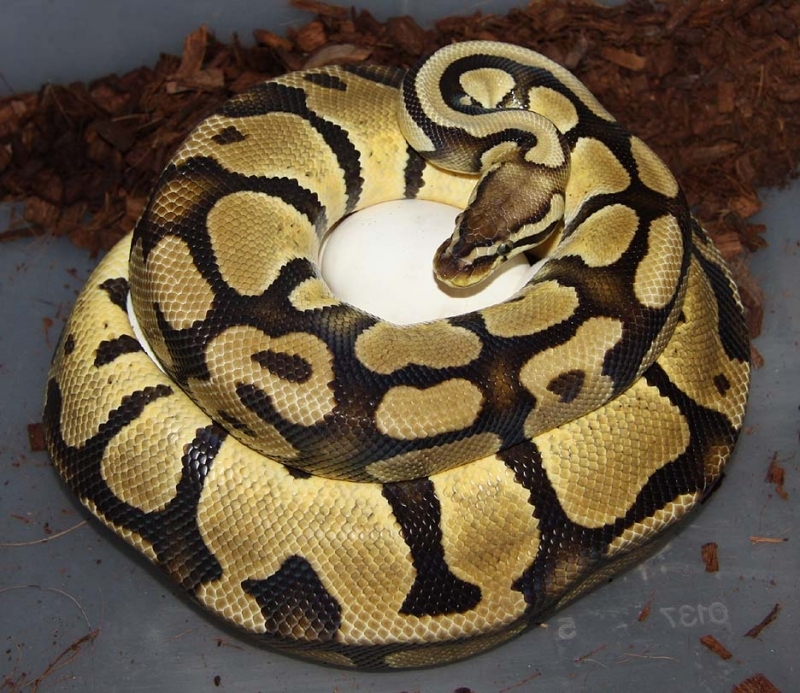 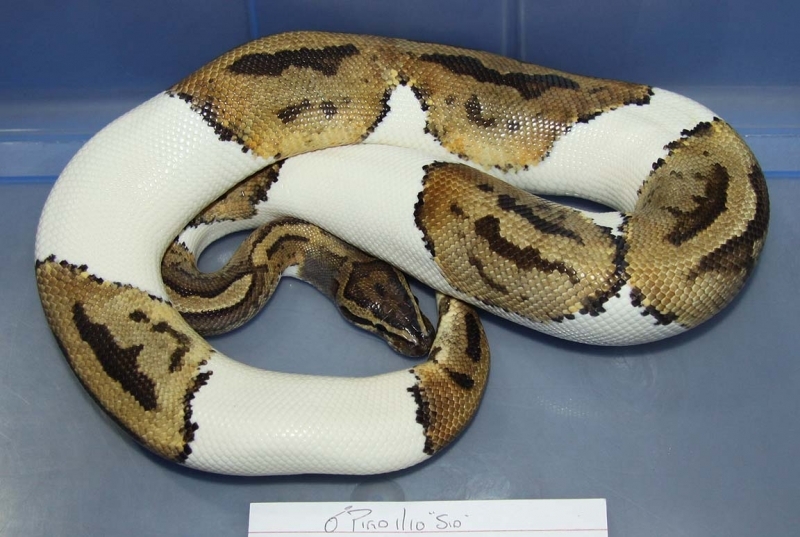 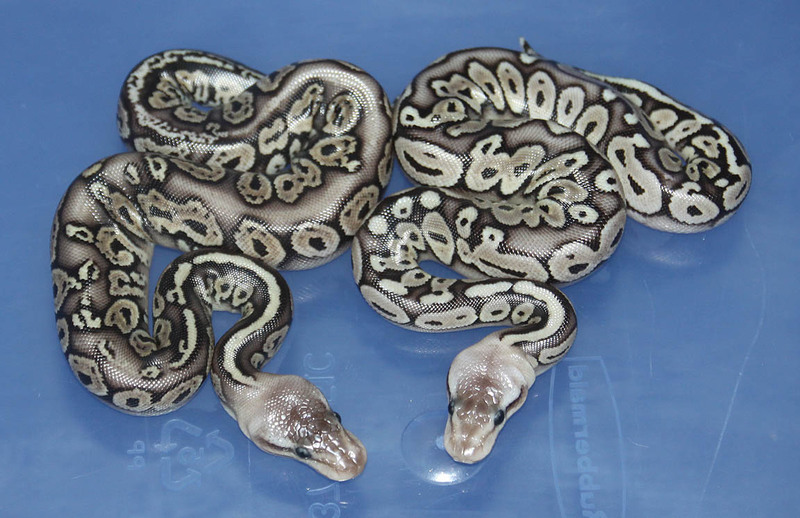 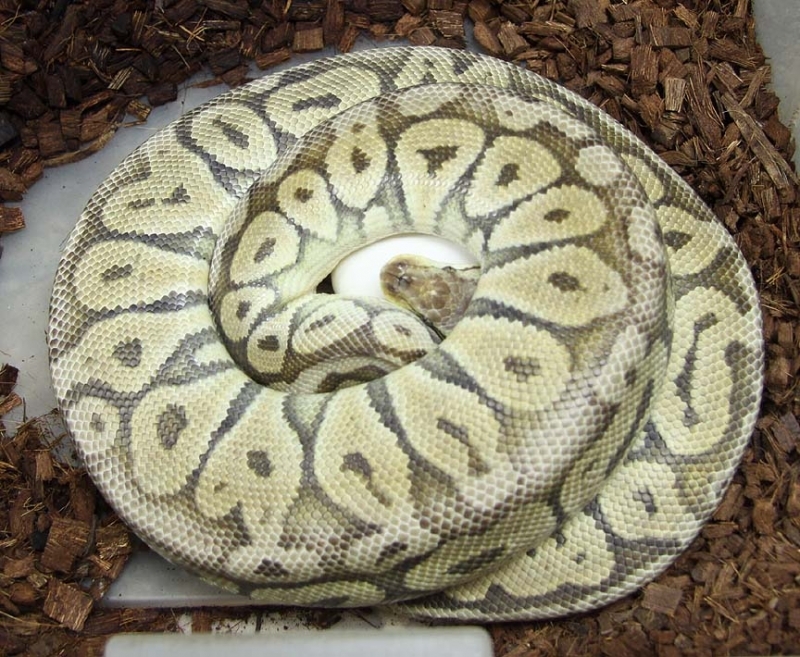 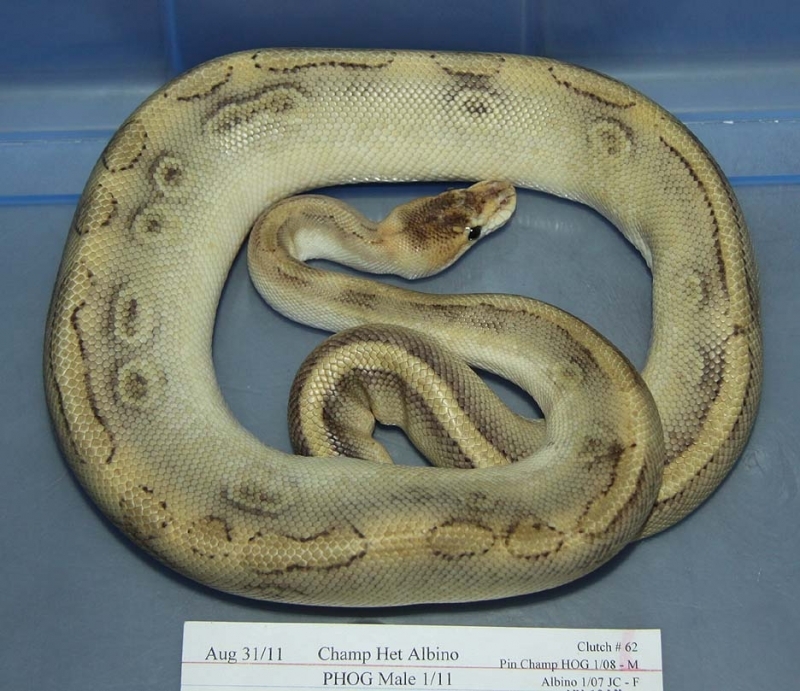 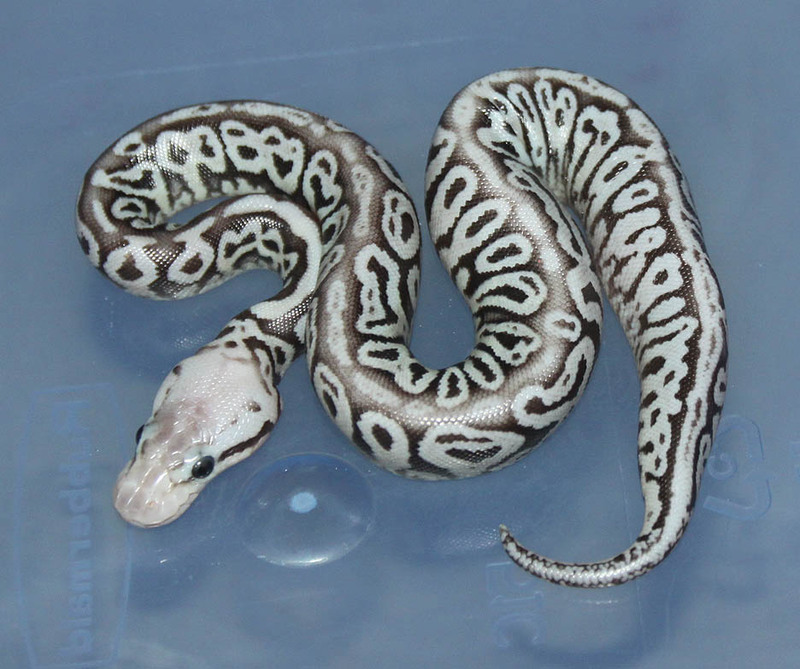 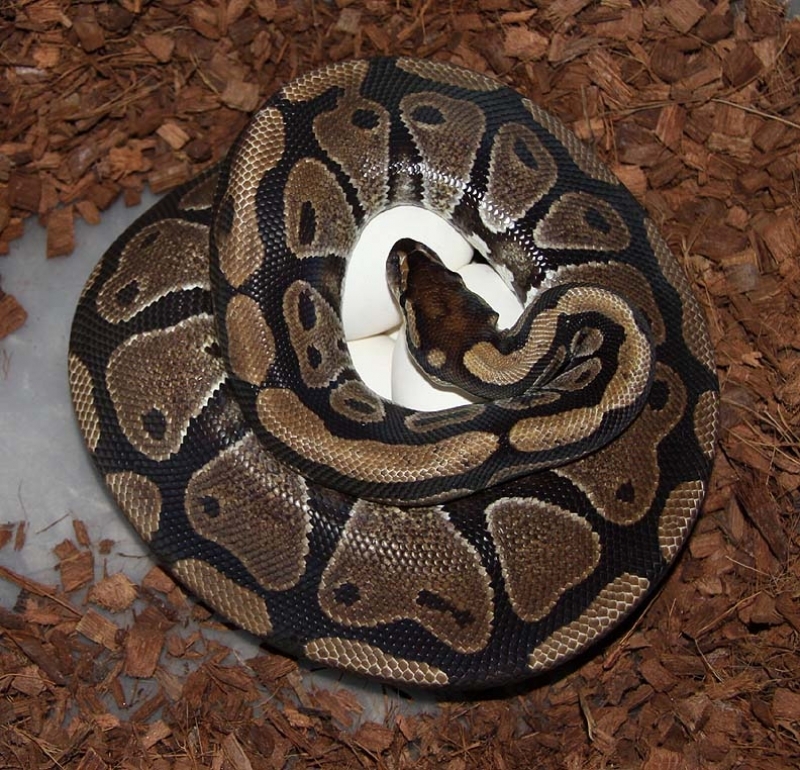 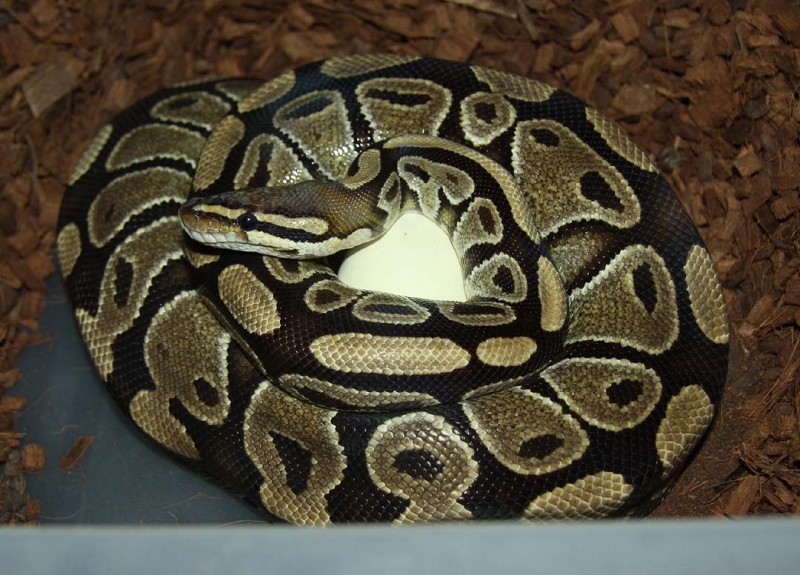 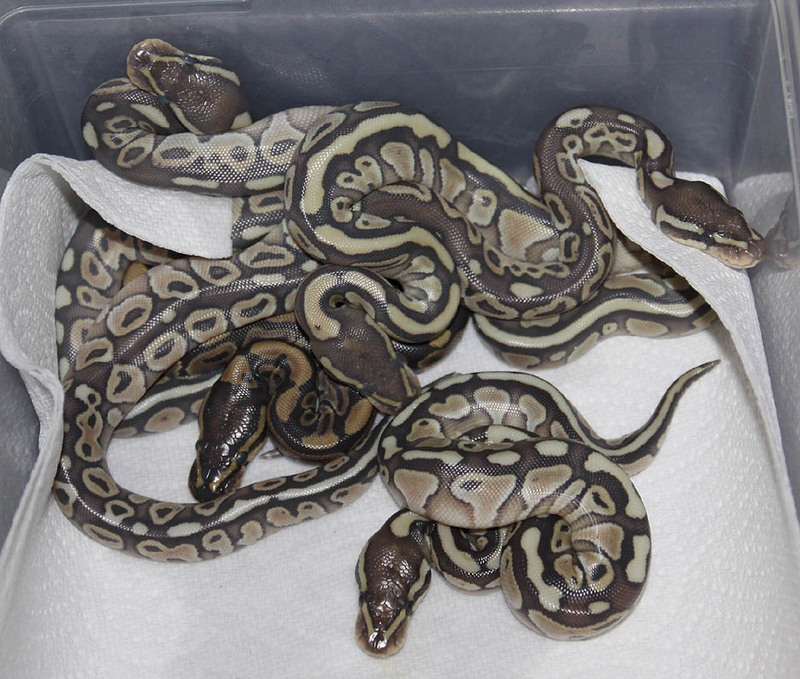 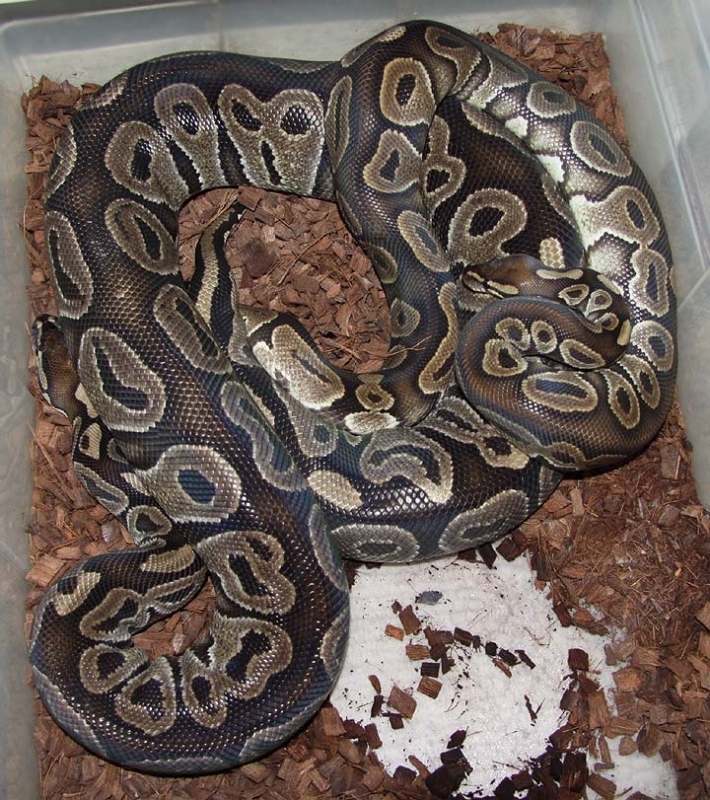 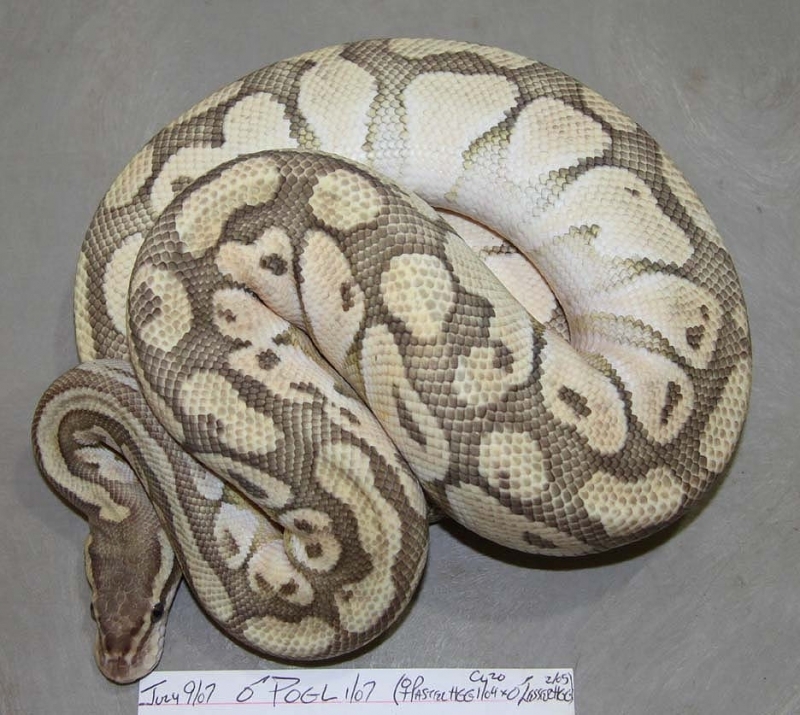 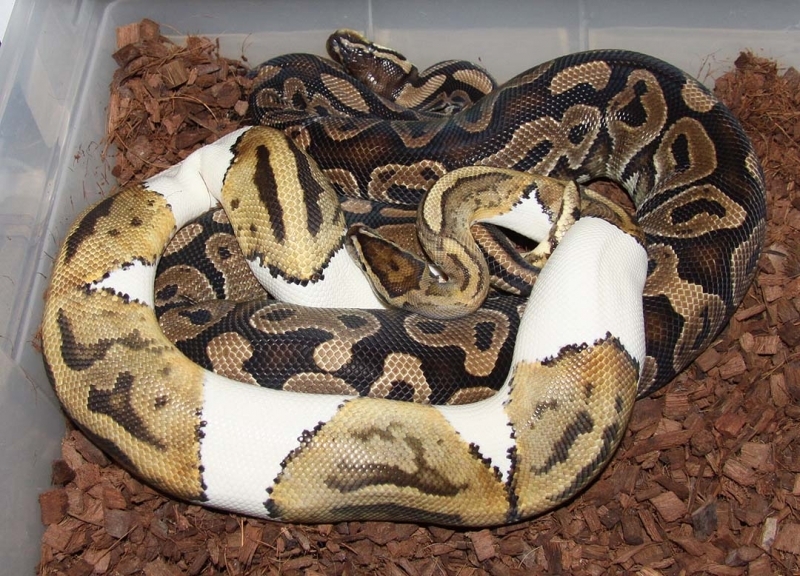 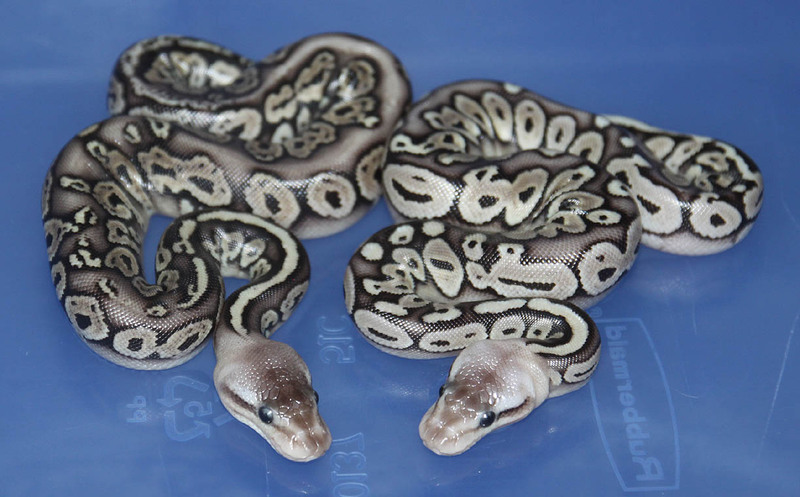 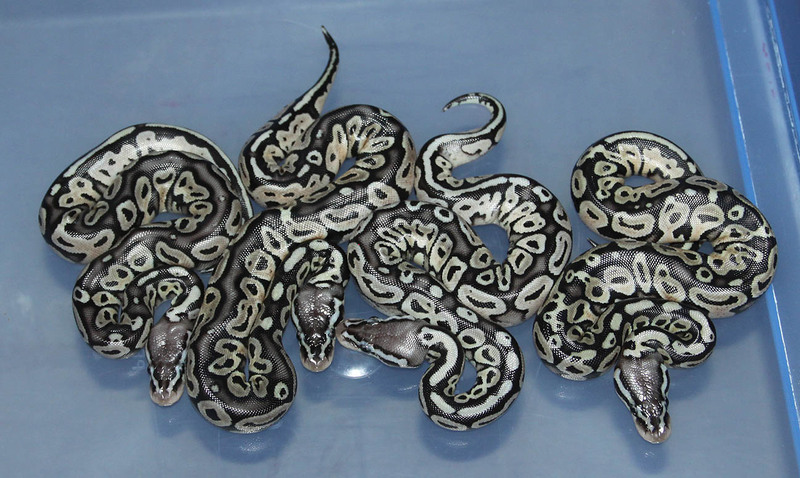 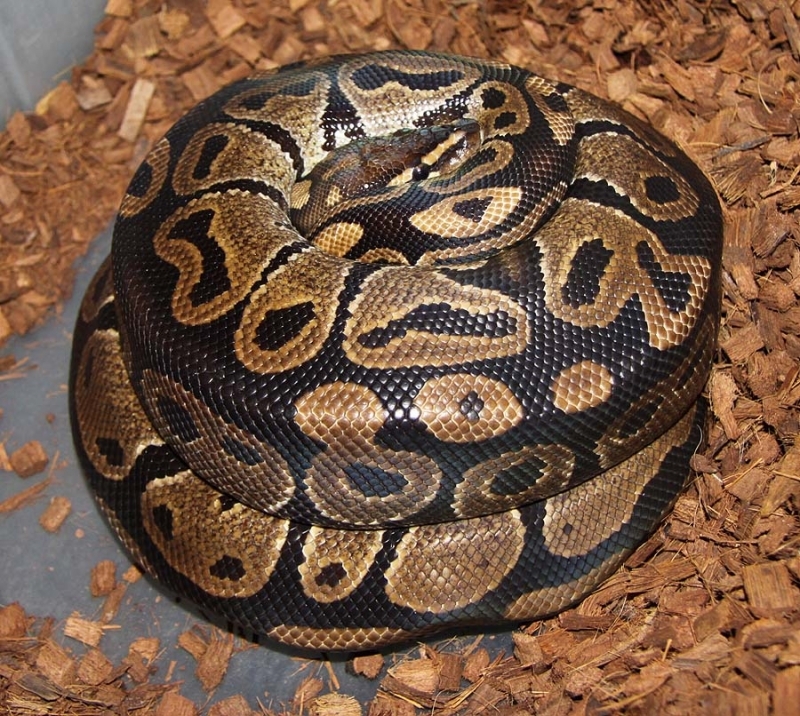 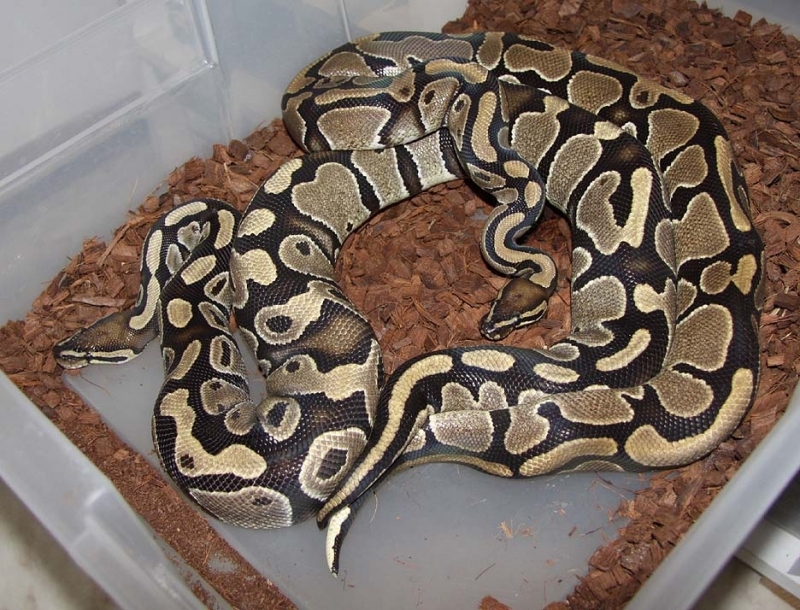 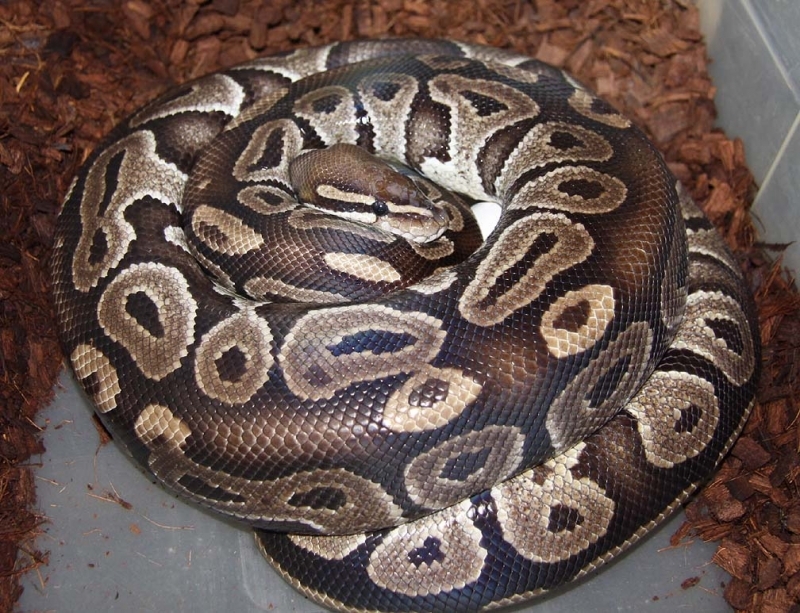 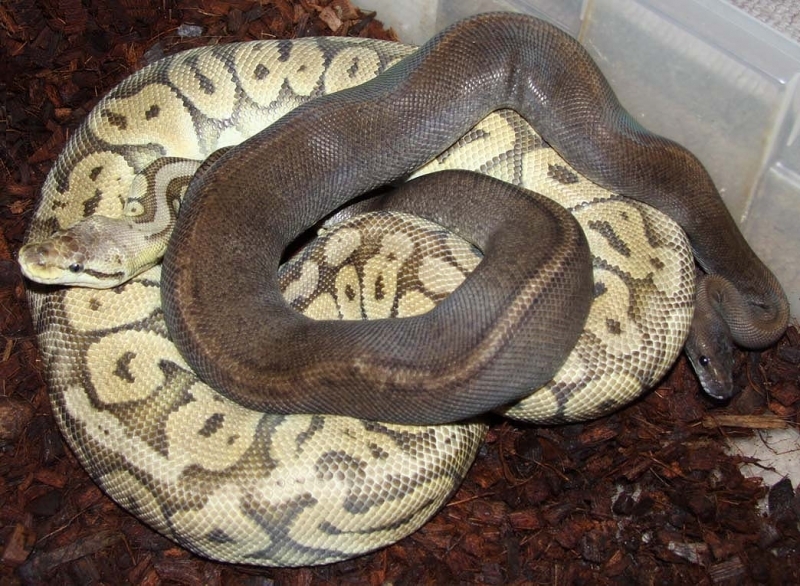 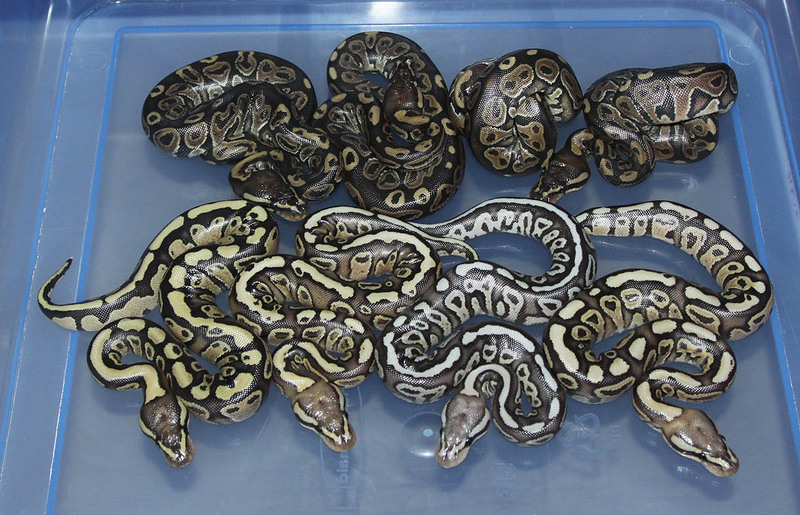 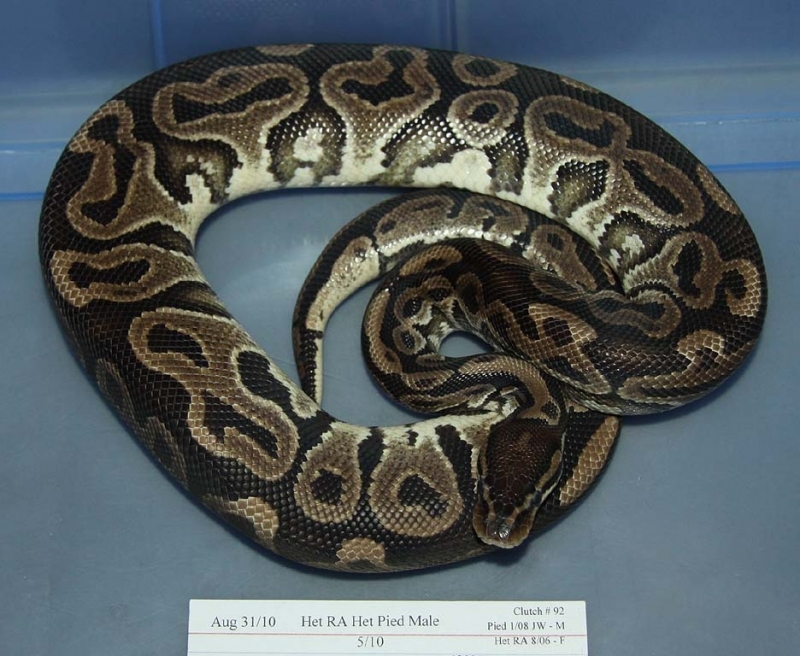 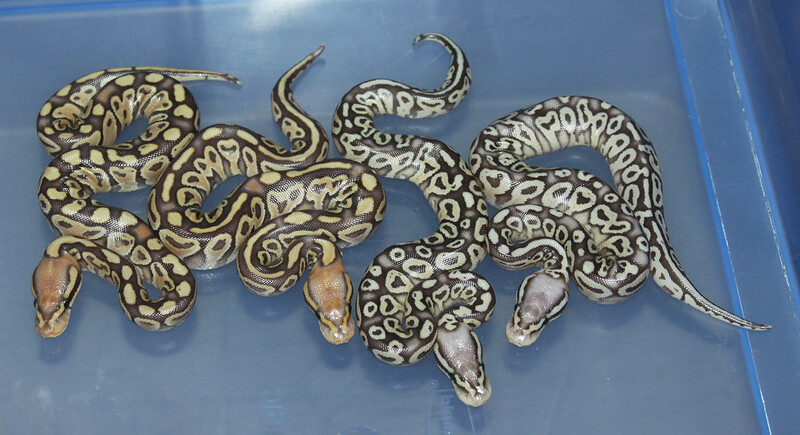 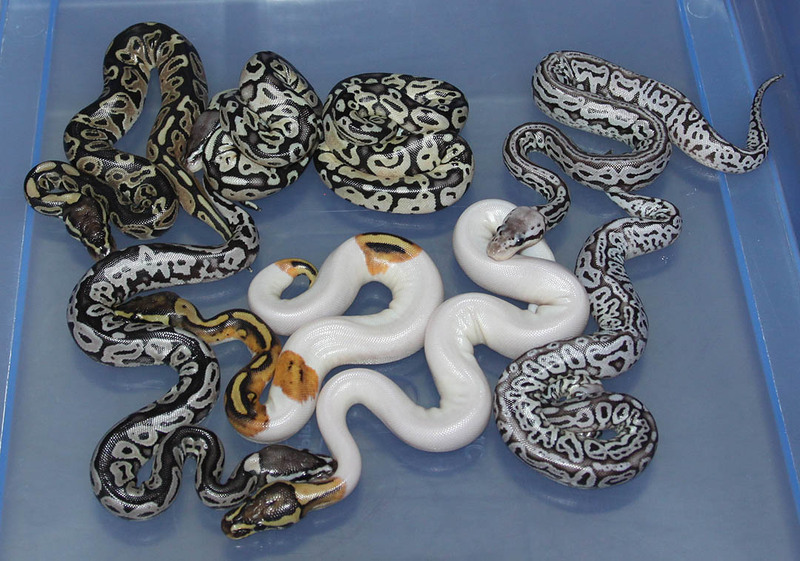 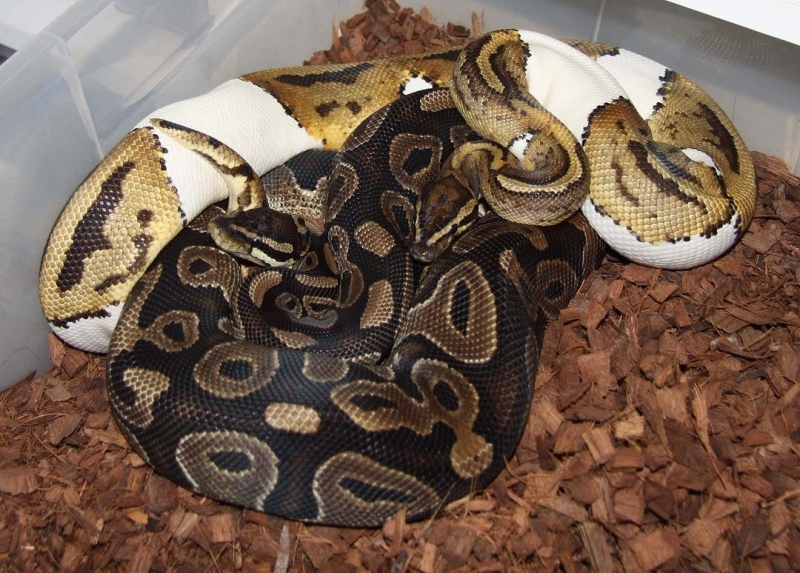 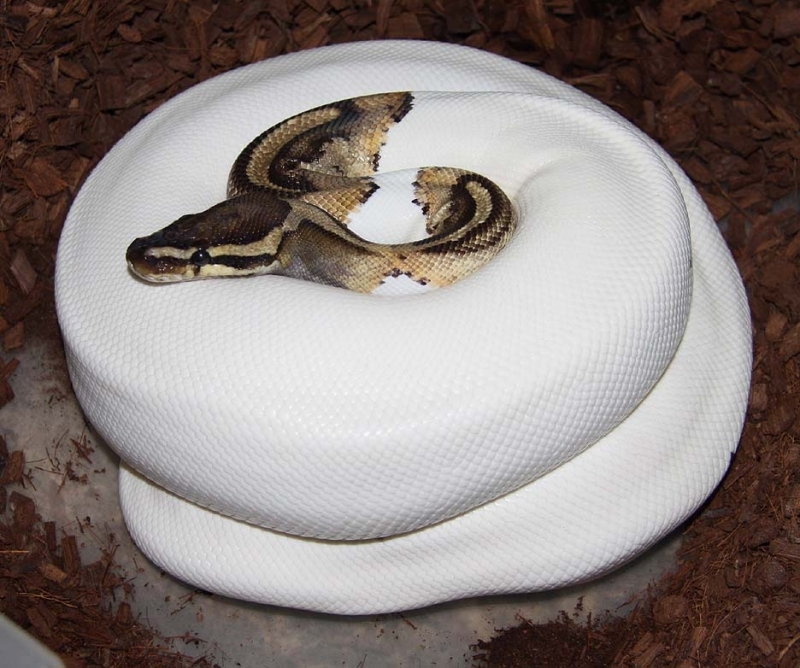 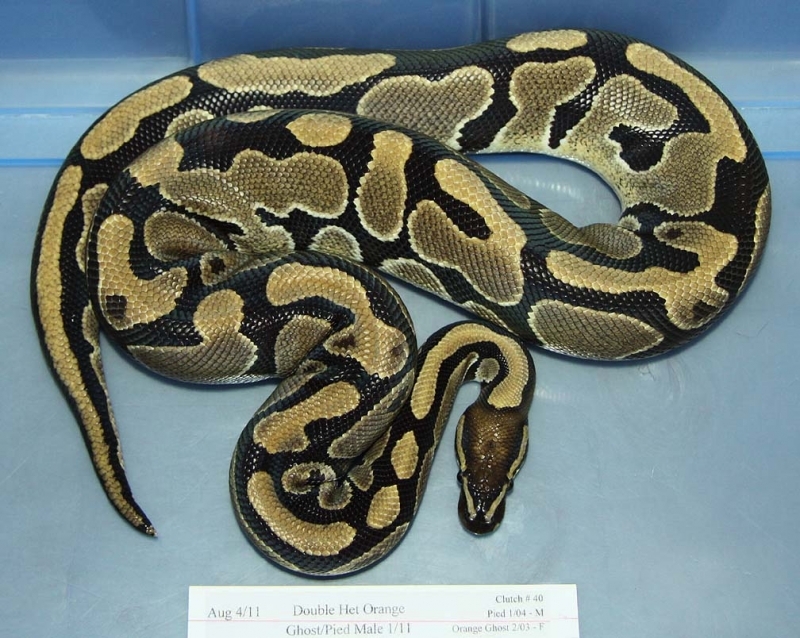 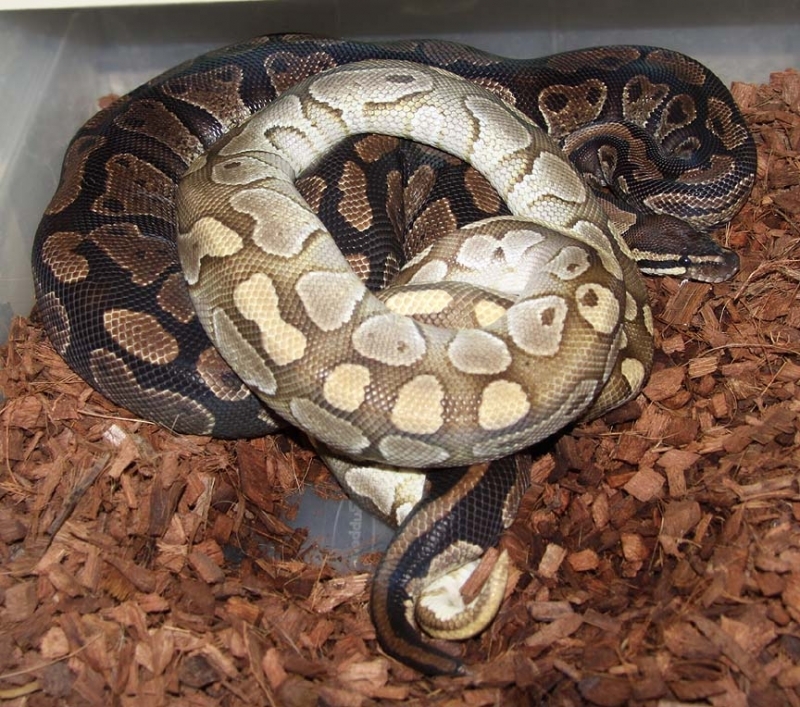 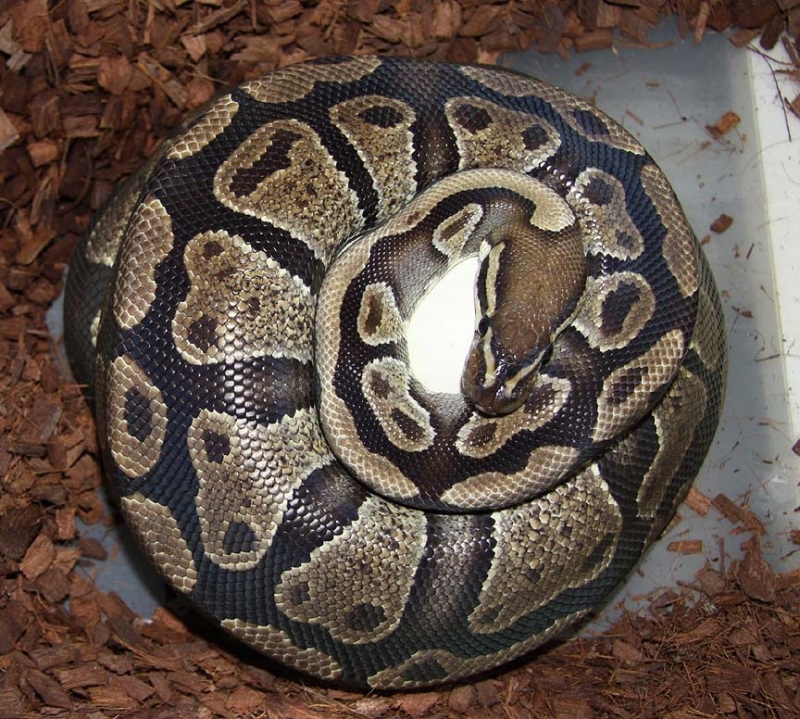 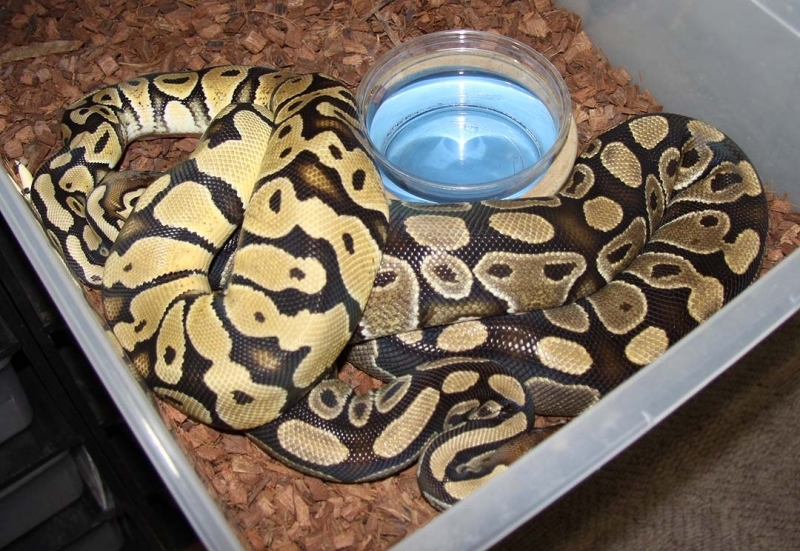 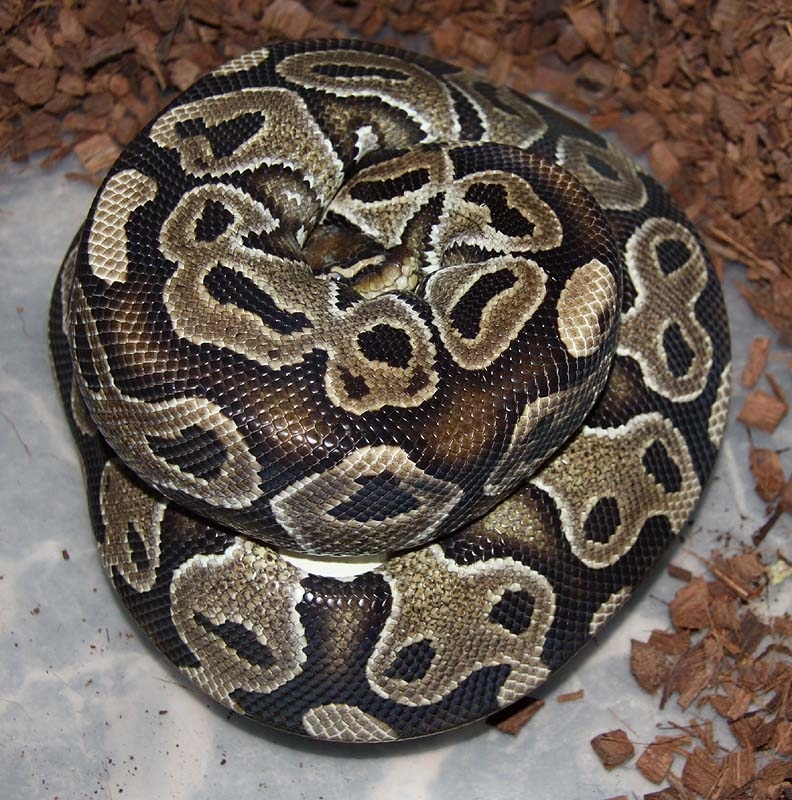 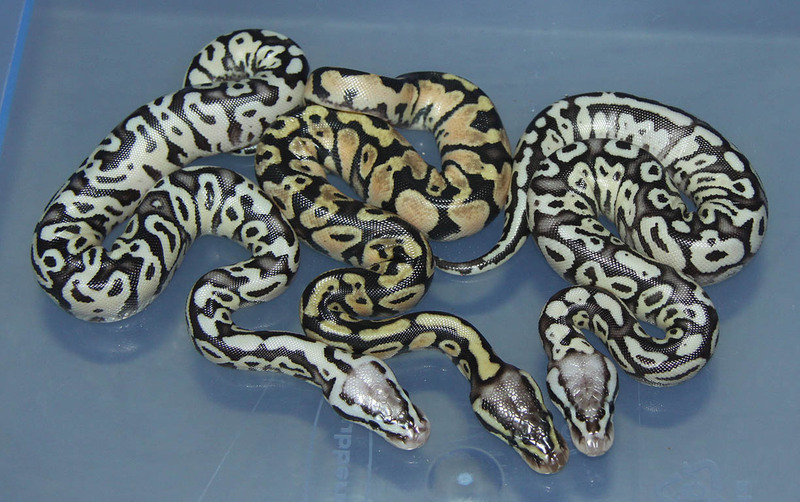 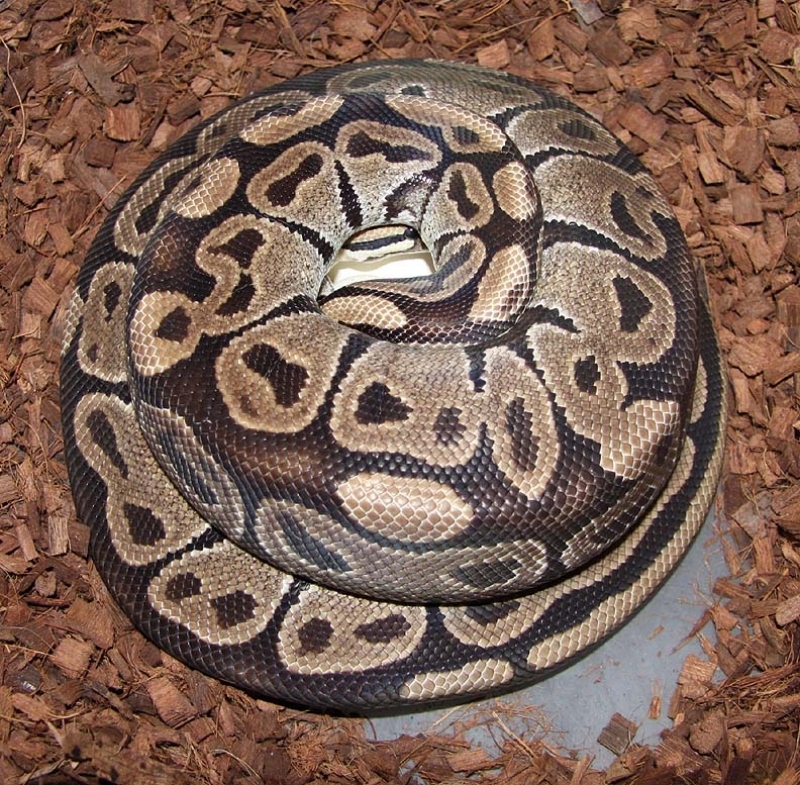 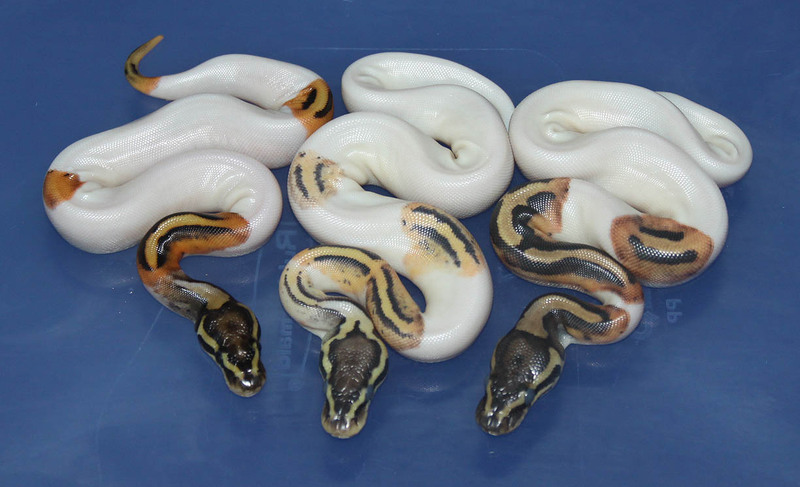 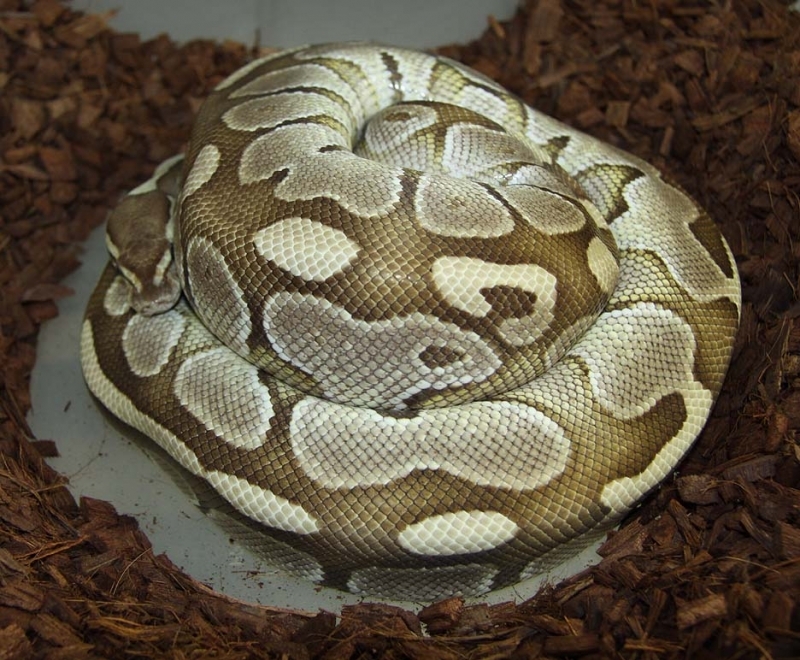 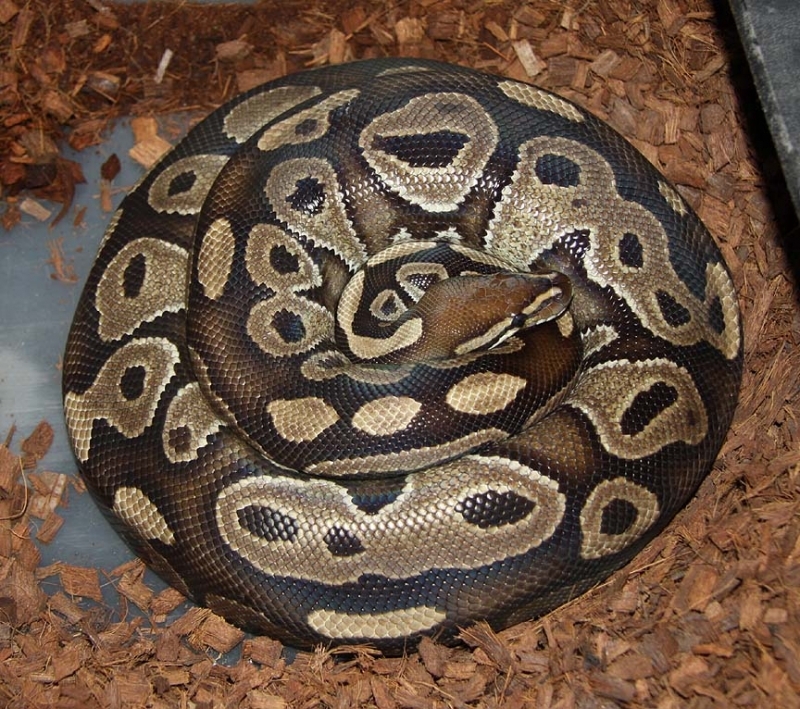 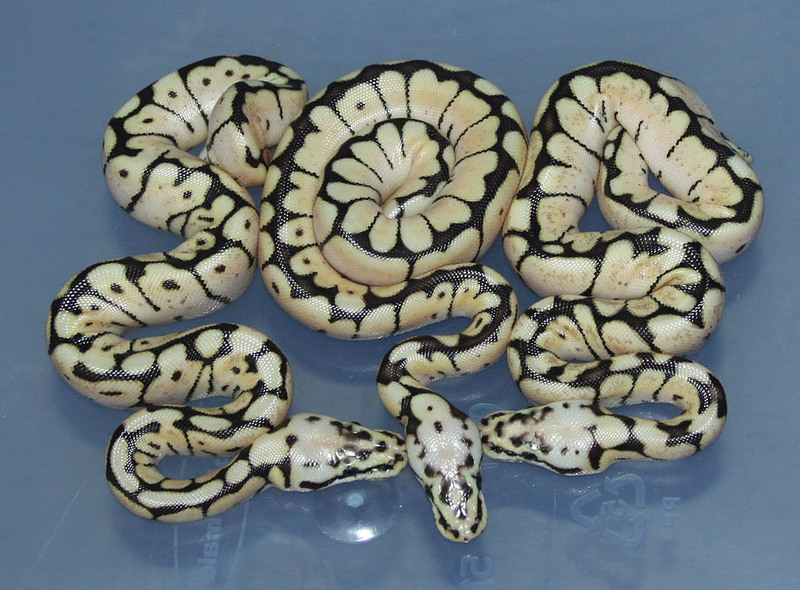 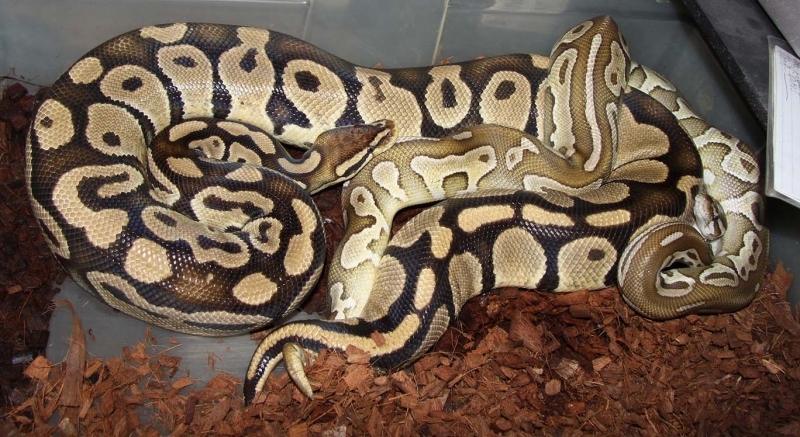 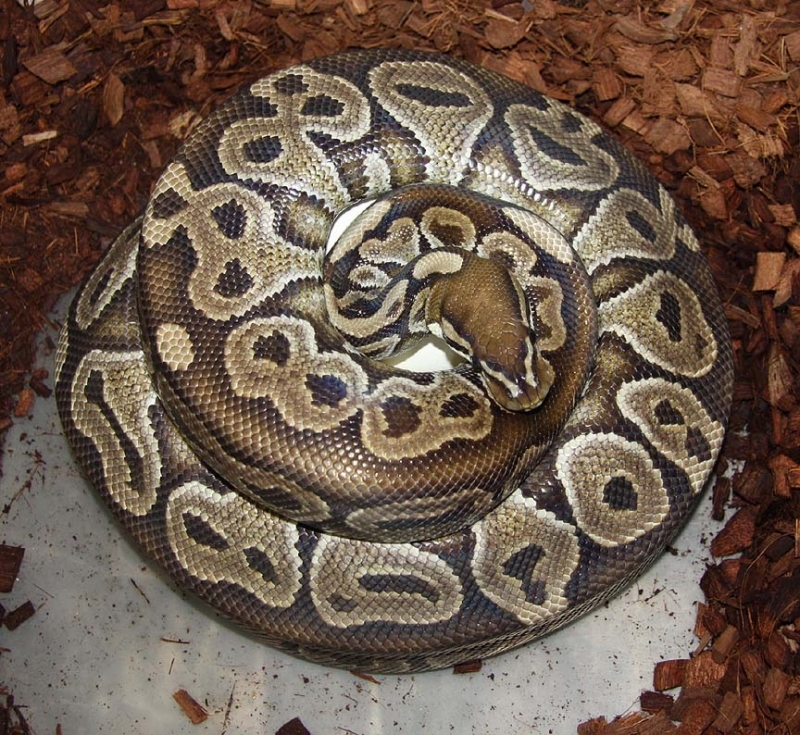 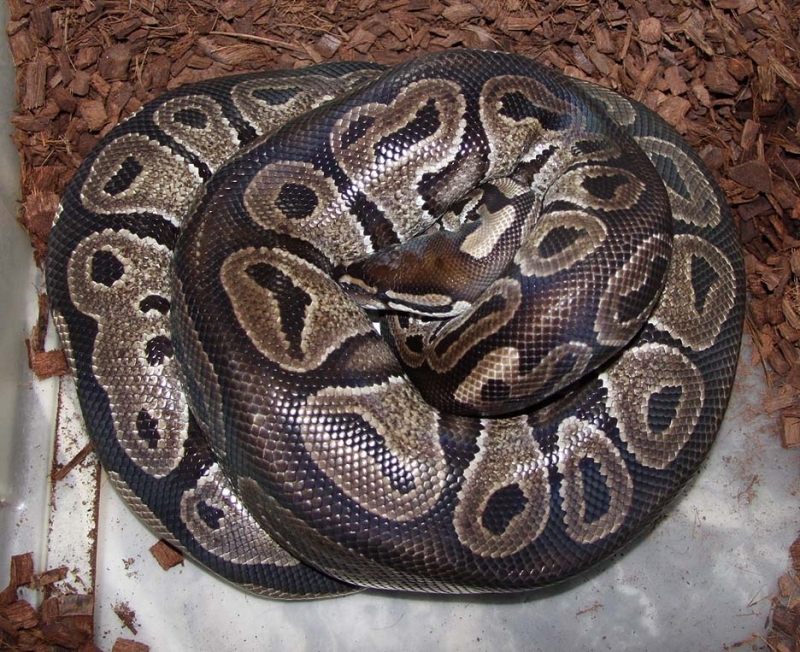 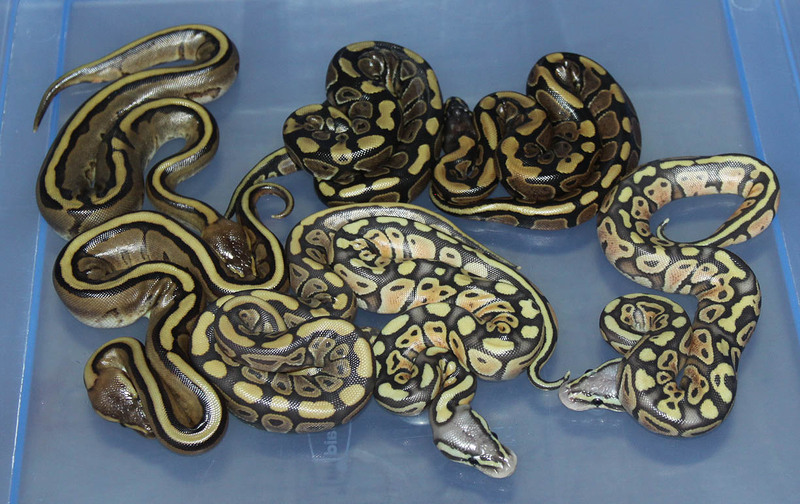 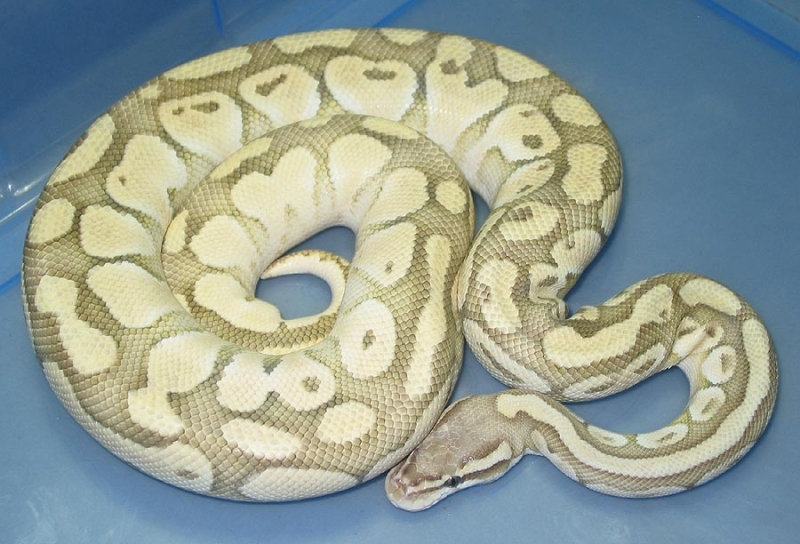 Description: Het RA Het Pied 5/10 & 8/10 x Pastel Het RA Het Pied 1/11. 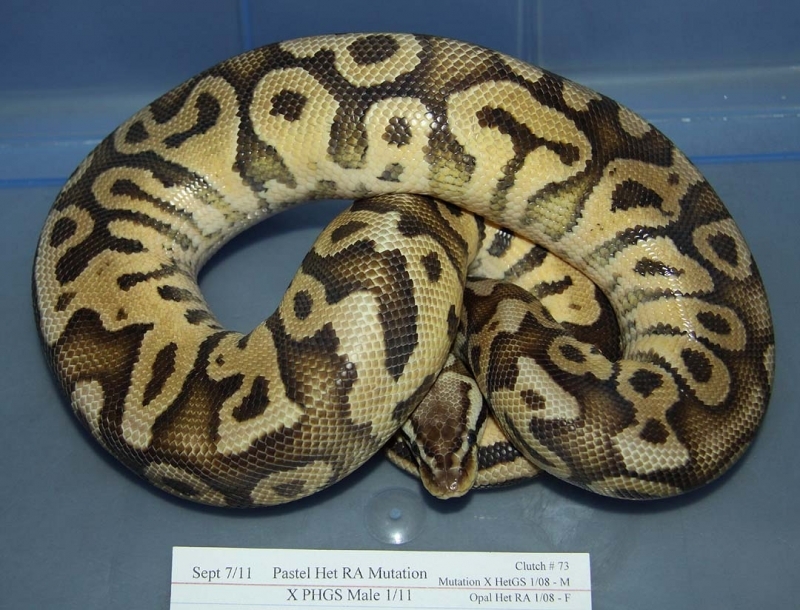 Description: Pied 1/10 "Sid" x Het RA Het Pied 11/10. 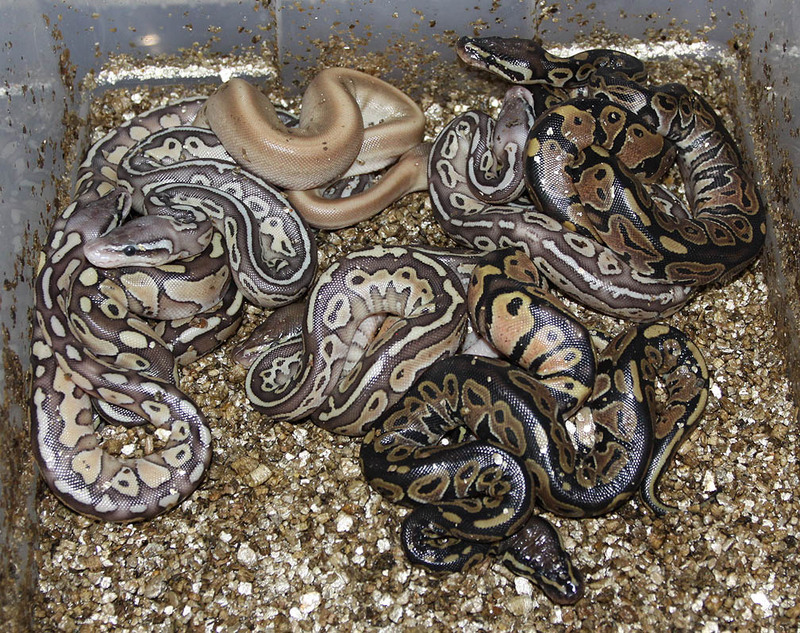 Description: Lesser "Burgandy" 1/10 x Het Burgandy 4/06. 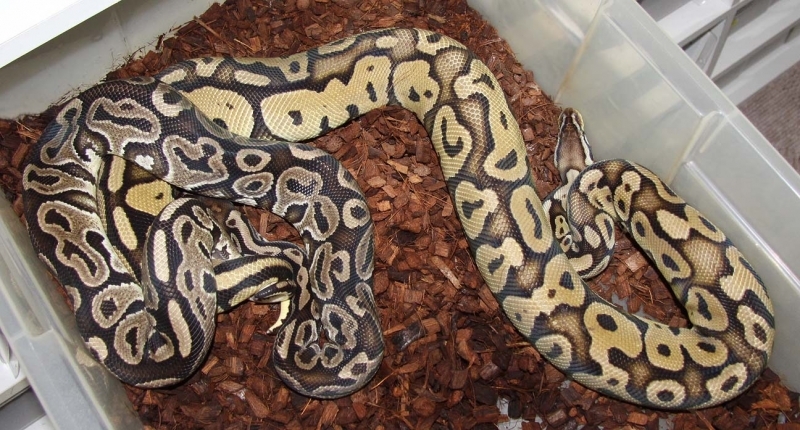 Description: Mutation X Het RA 1/11 x Het RA 13/06. 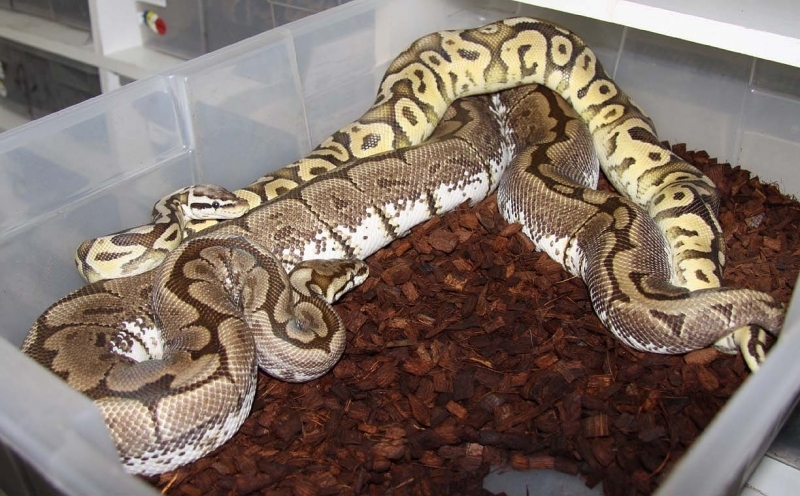 Description: POGL (Green) 1/07 x POGL (Green) 1/10. 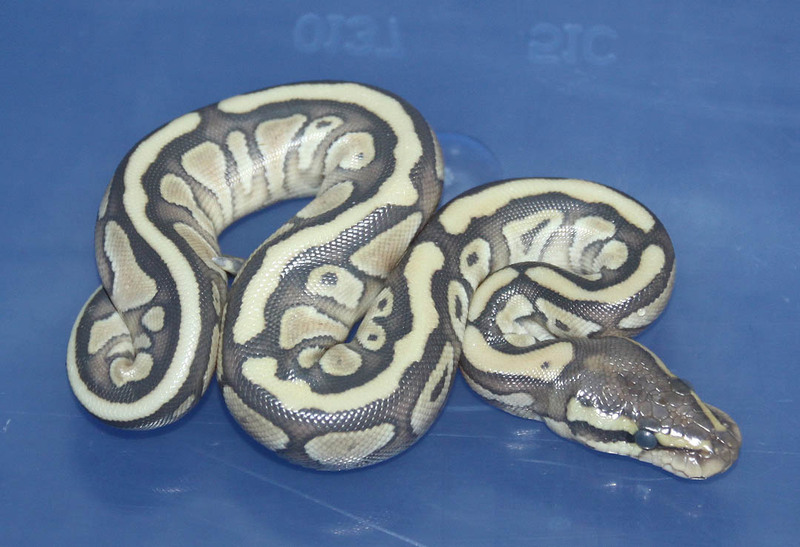 Description: Pied 1/06 "Russell" x Pastel Het Pied 1/10. 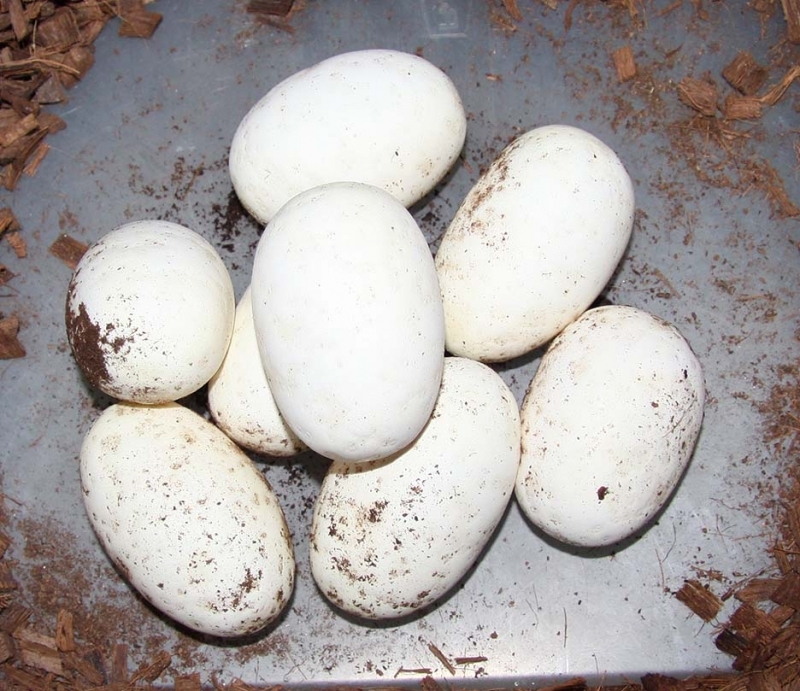 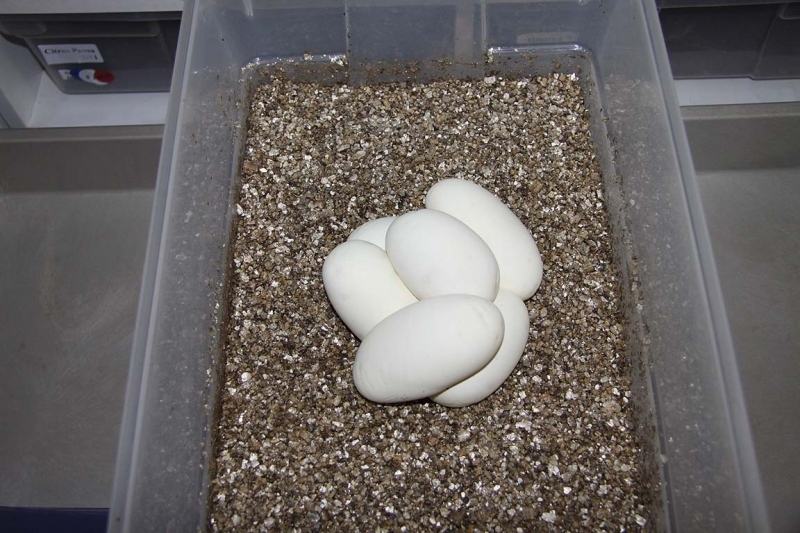 The 1 Pied took forever to come out of the egg holding up the rest of the clutch (that is why they are in shed in the pics). 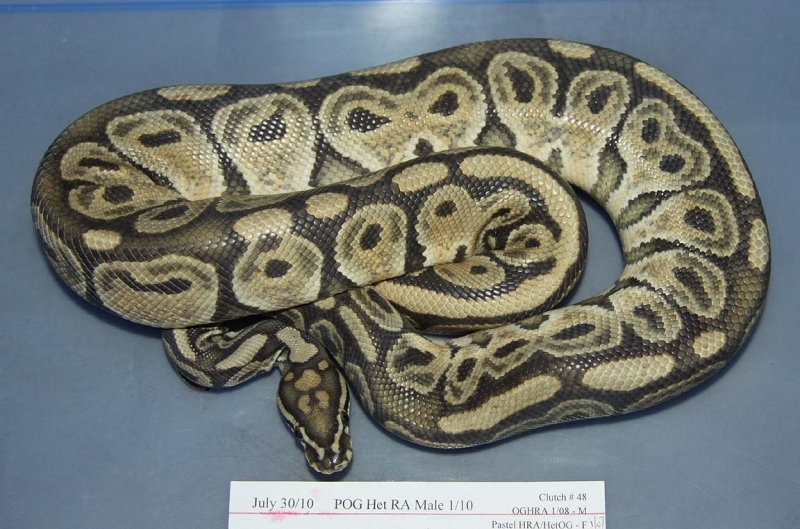 Description: POG Het RA 1/10 x HY Lesser PHOG 1/10. 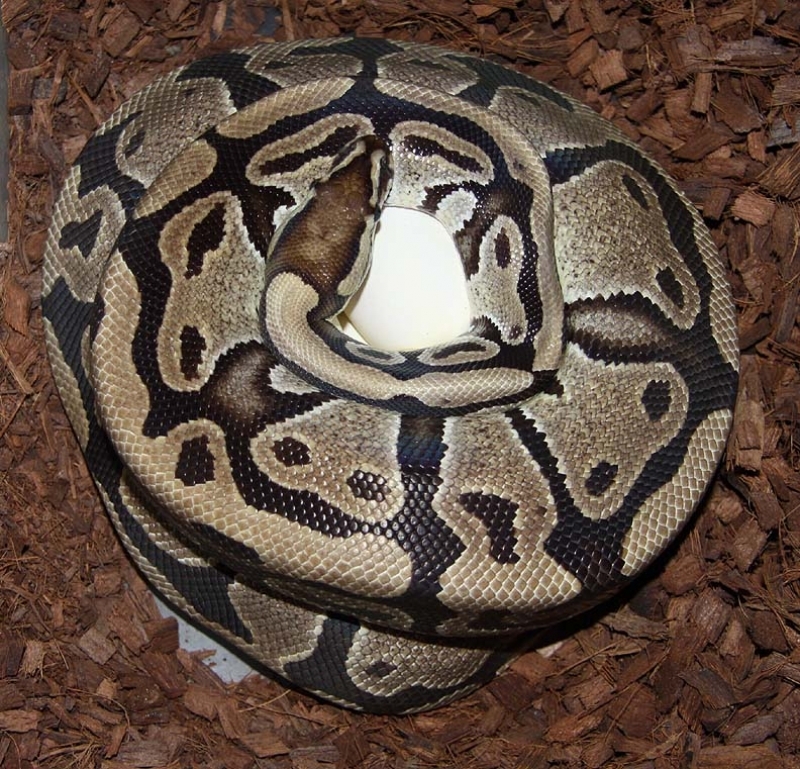 Again, 1 took extra long to exit the egg, thus most are in shed in the pics. 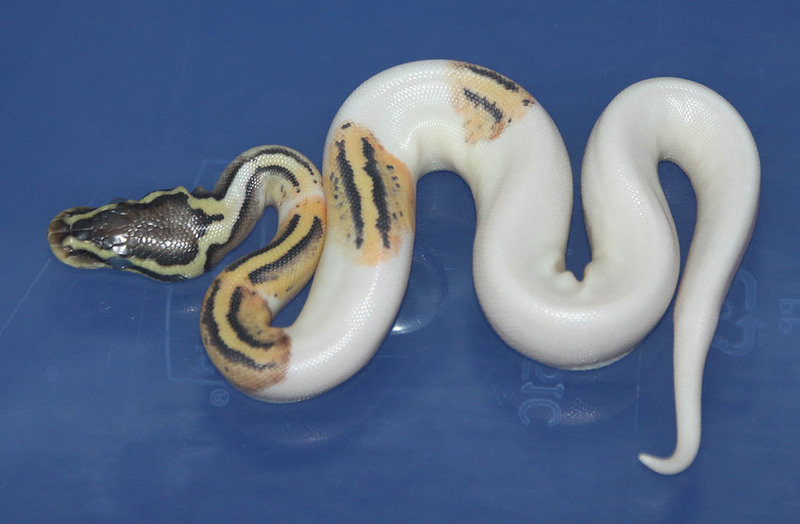 Description: Pastel Red Axanthic Caramel 1/11 x Pied 1/10. 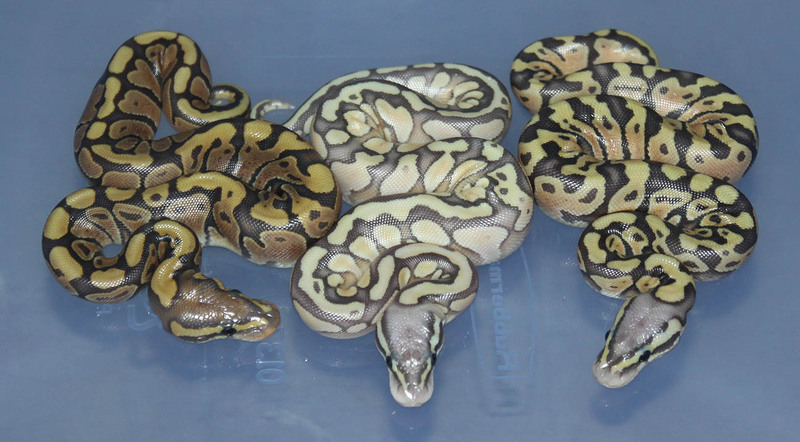 I've been looking forward to the Pied x Caramel clutches! 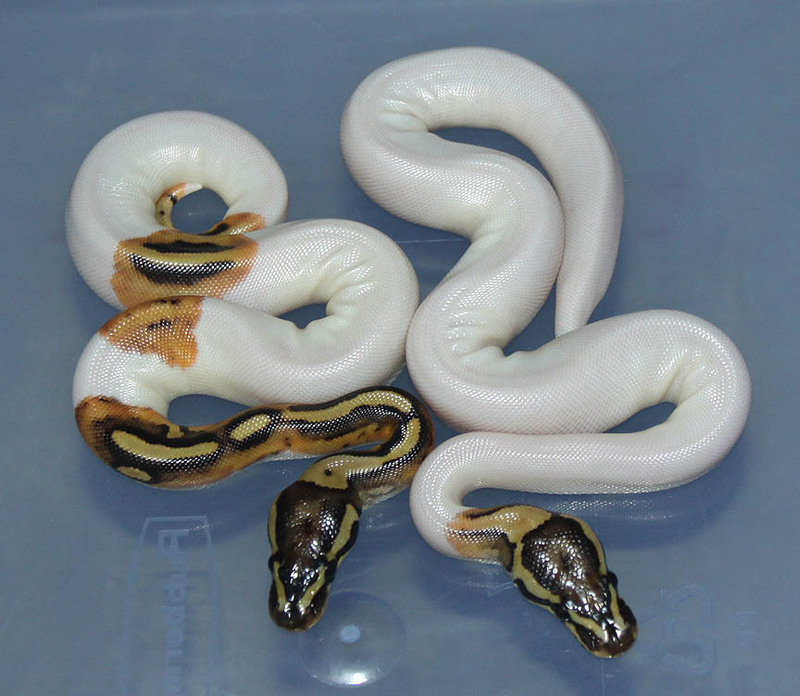 Description: Pastel Champagne Het Albino 1/11 x Black Stripe Het Albino 7/06. 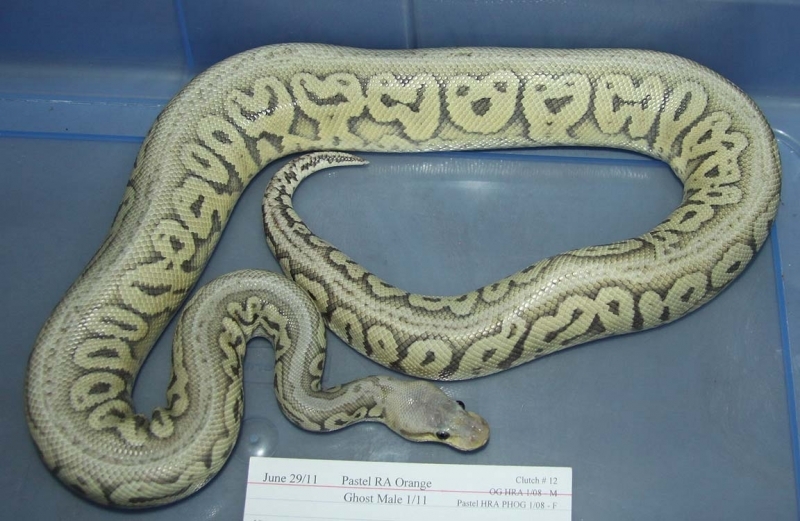 Description: Pastel Lavender Het GS 1/10 x Pastel GS 1/07. 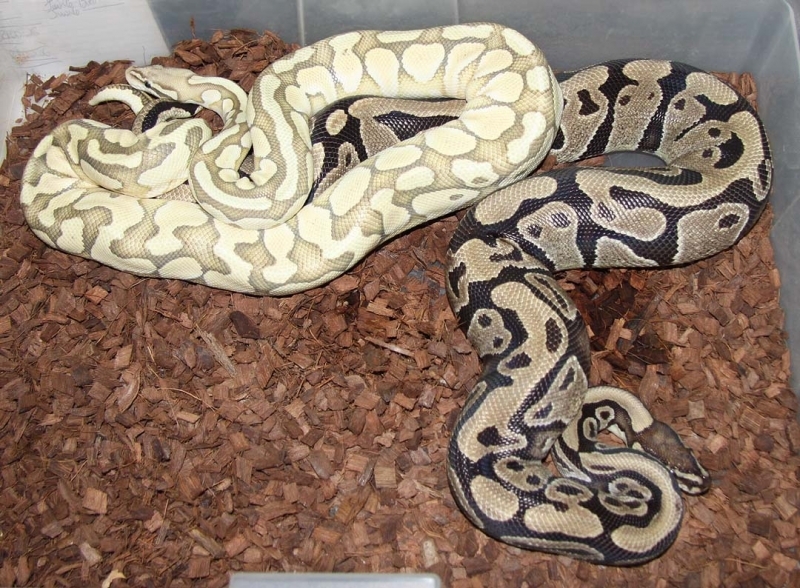 Description: Champagne Het Albino 1/11 x Het Albino 3/08. 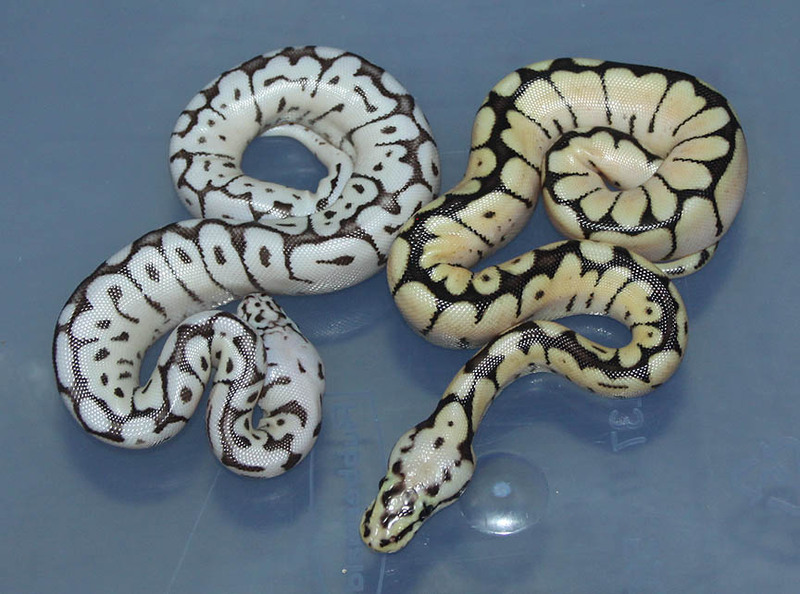 These are really nice Champagnes! 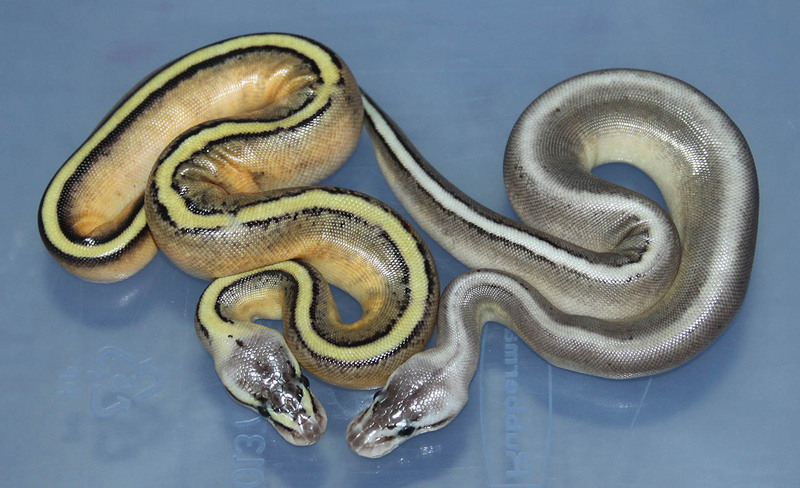 Description: Lesser Het RA Het Genetic Stripe 1/10 x Pastel Het Genetic Stripe 5/07. 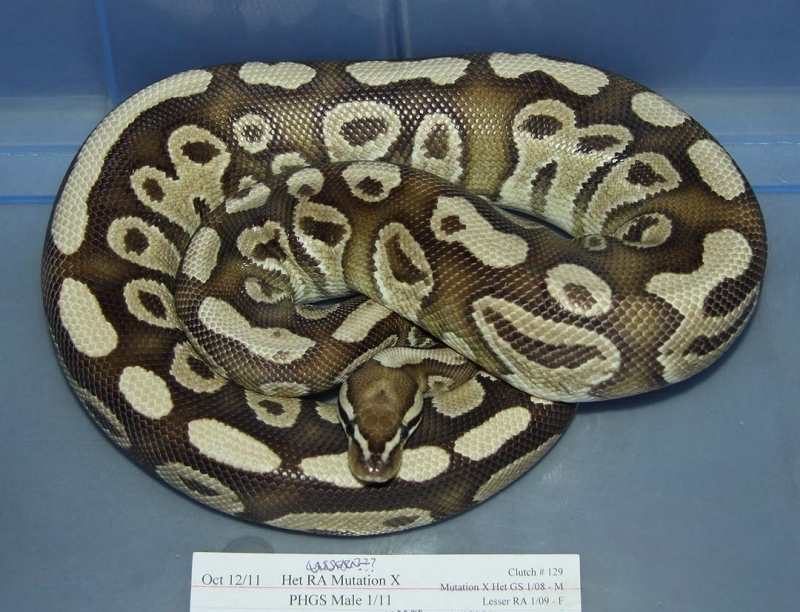 Description: Pied 1/10 "Sid" x Het RA Het Pied 5/10. 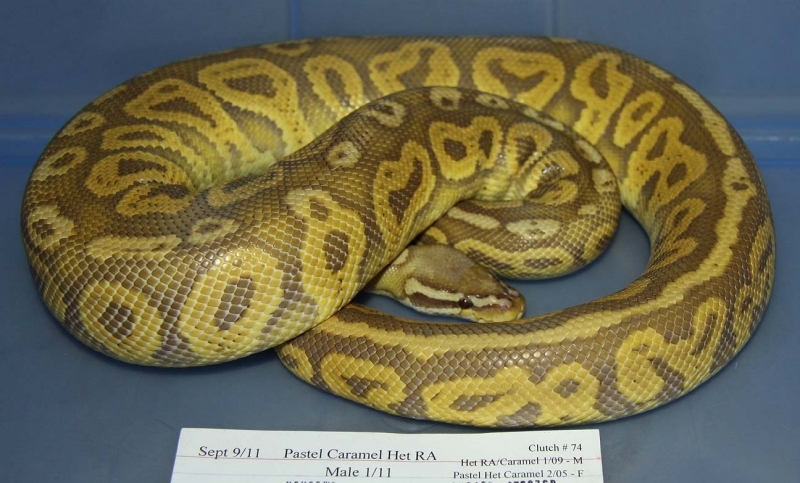 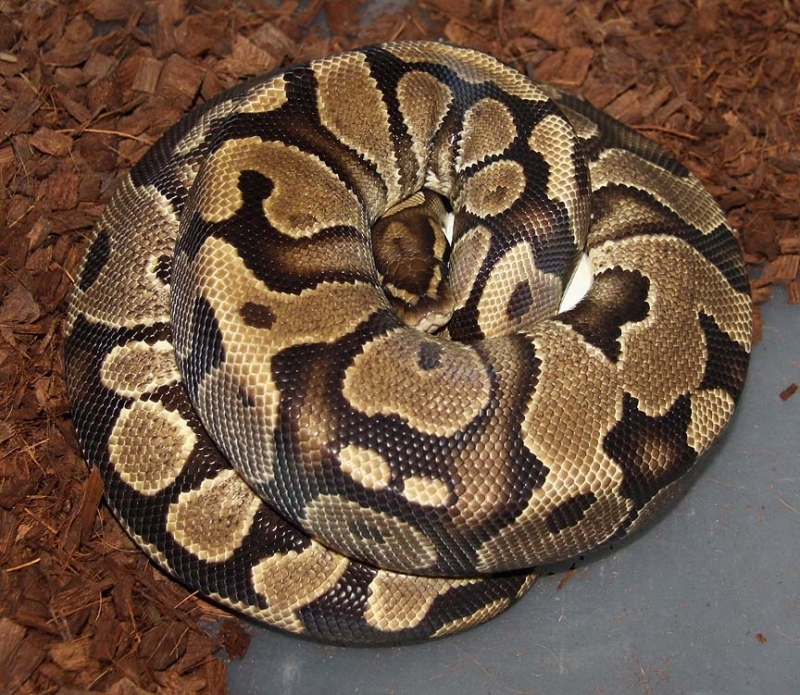 Description: Pastel Caramel Het RA 1/11 x Het RA Het Caramel 3/09. 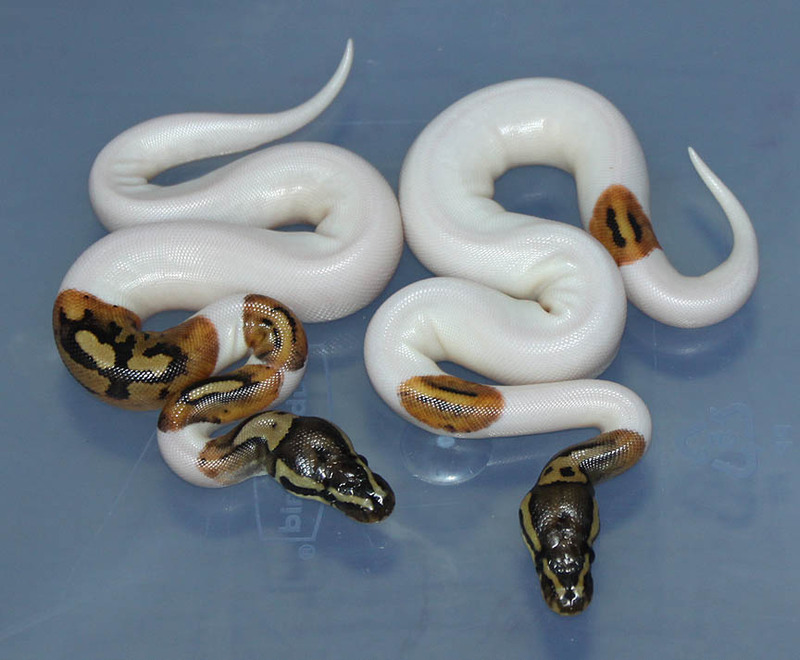 Description: POGL (Orange Ghost) 1/09 x HY Het OG 18/06. 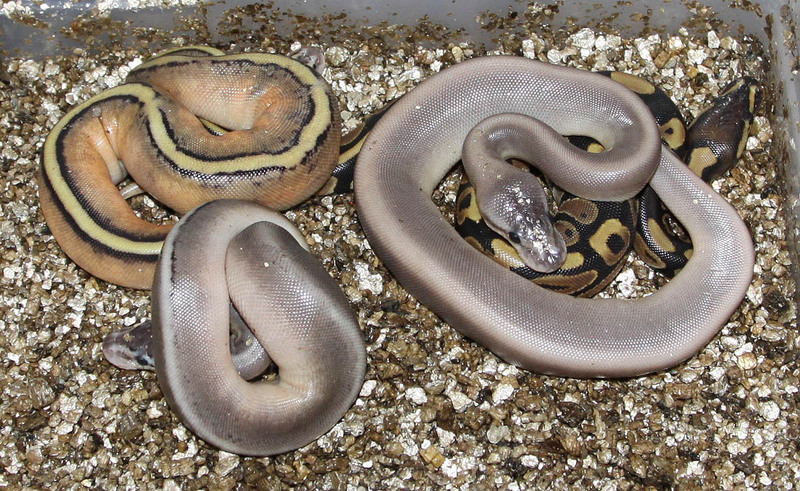 These are from a NERD line Orange Ghost bred to a Woods line Orange Ghost derived from my CH High Yellow bloodline. 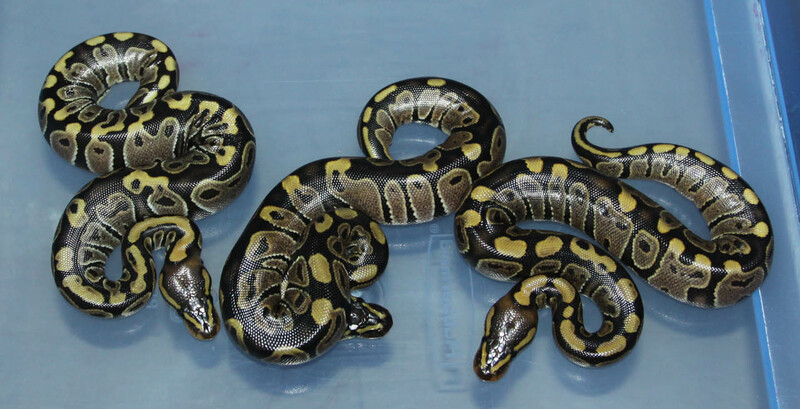 Description: Citrus Puma 1/11 x HY YB 3/09. 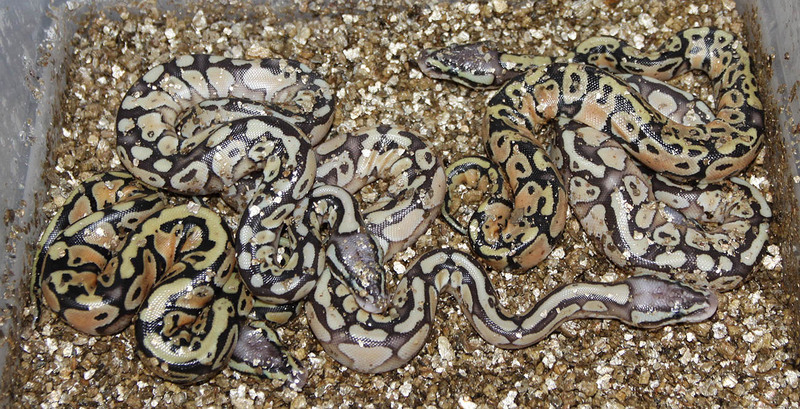 Description: Super Pastel Genetic Stripe 1/11 x Black Stripe Het GS 1/08. 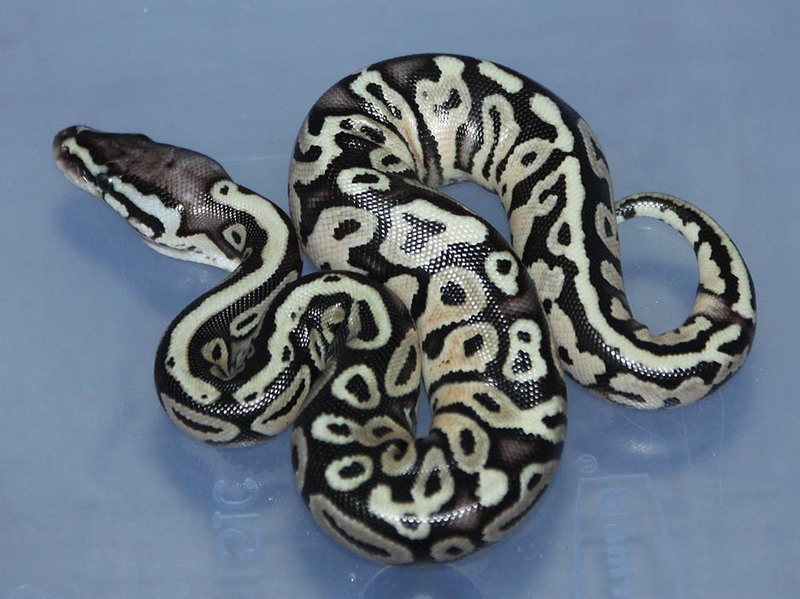 Description: Mutation X Pastel Het RA 1/11 x Lesser 13/07. 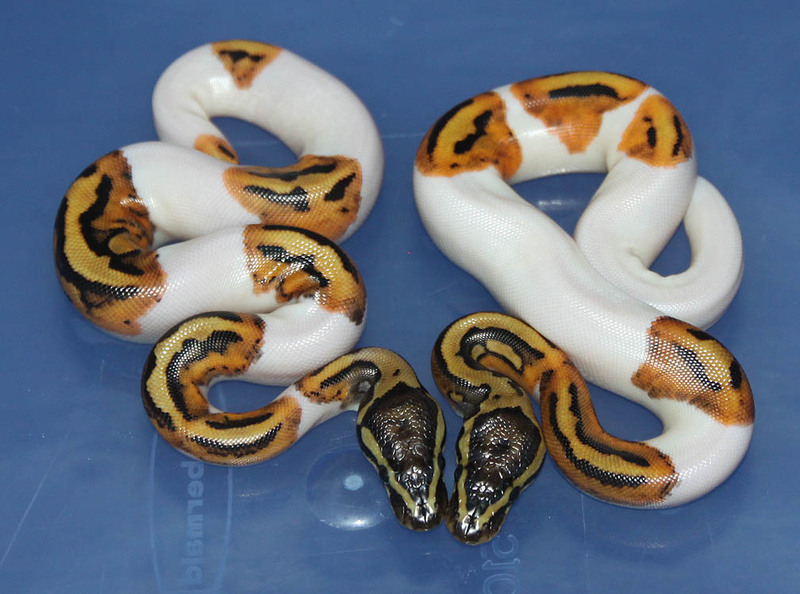 Description: POGL (Orange) 1/09 x HY PHOG 2/09. 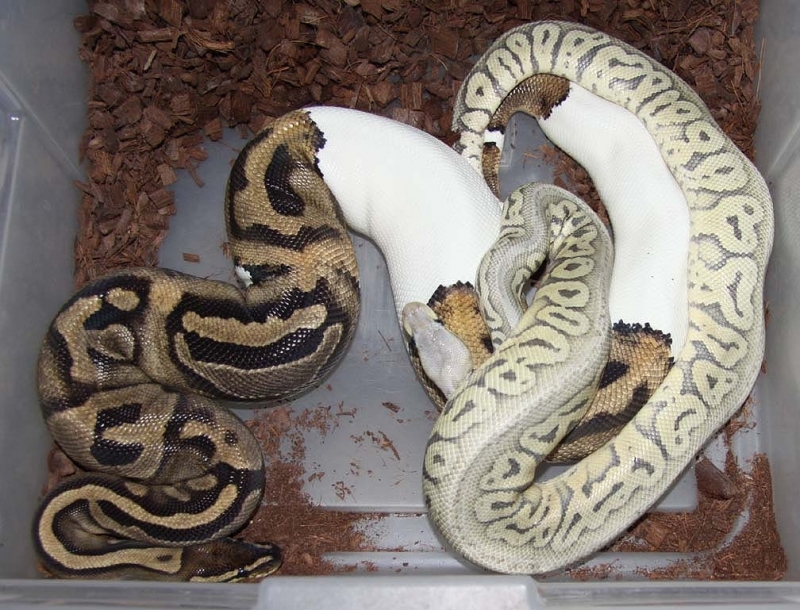 Description: Double Het Orange Ghost/Pied 1/11 x Double Het Orange Ghost/Pied 2/10. 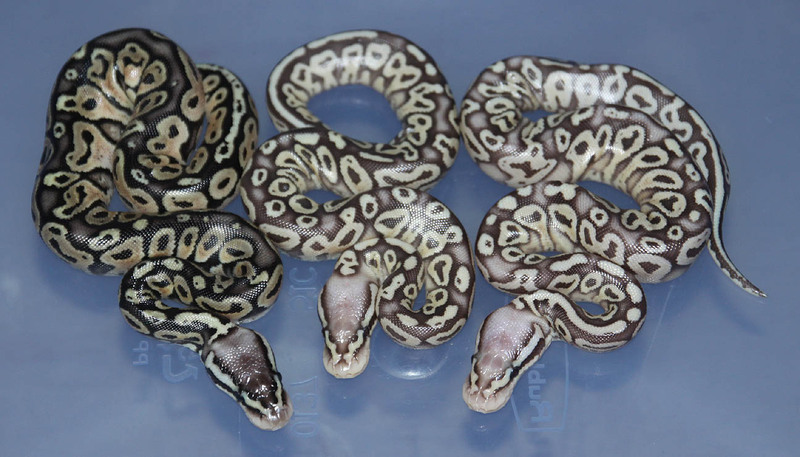 Description: Chocolate Het RA 3/11 x Het RA 9/06. 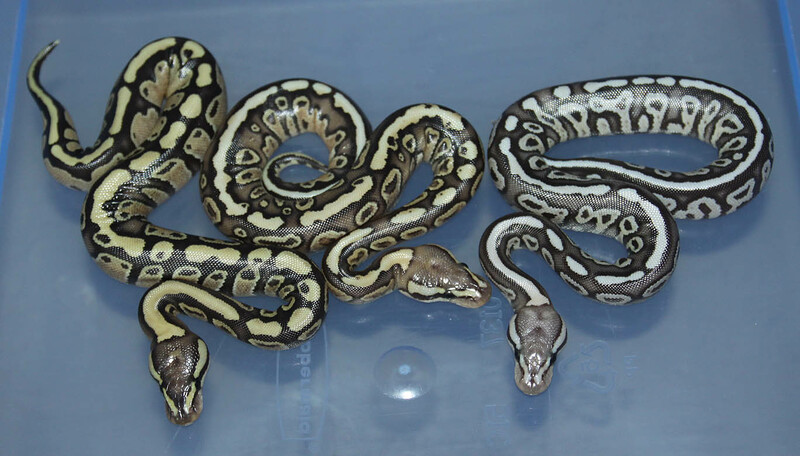 Description: Lesser Het CS 1/07 x Het CS 1/06. 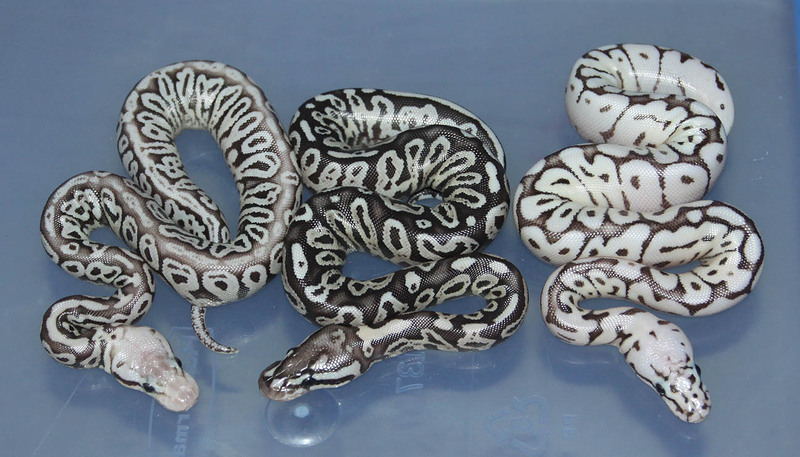 I've been trying to prove out the "Cinny Stripe" or "Melted Stripe" project for a number of years. 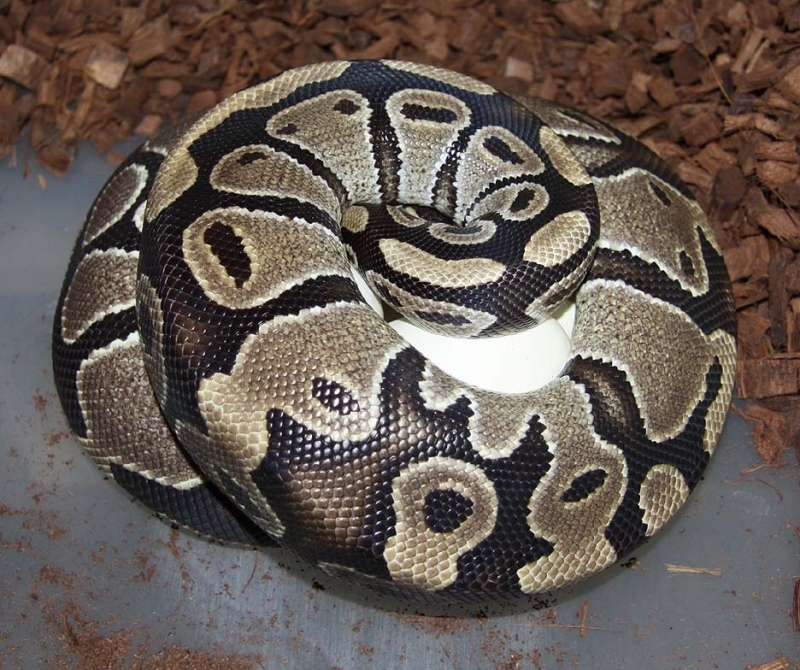 This will also be my last "kick at the can" for this project this year. 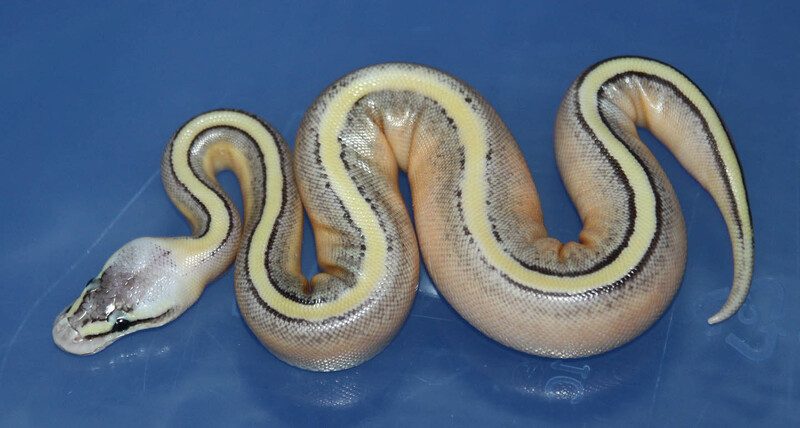 Description: Pastel Banded 1/11 x Lesser Banded 1/10. 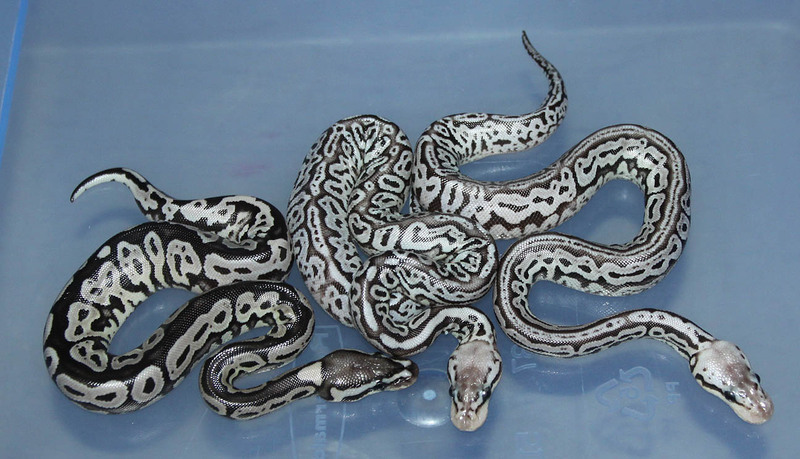 This is the Woods line recessive. 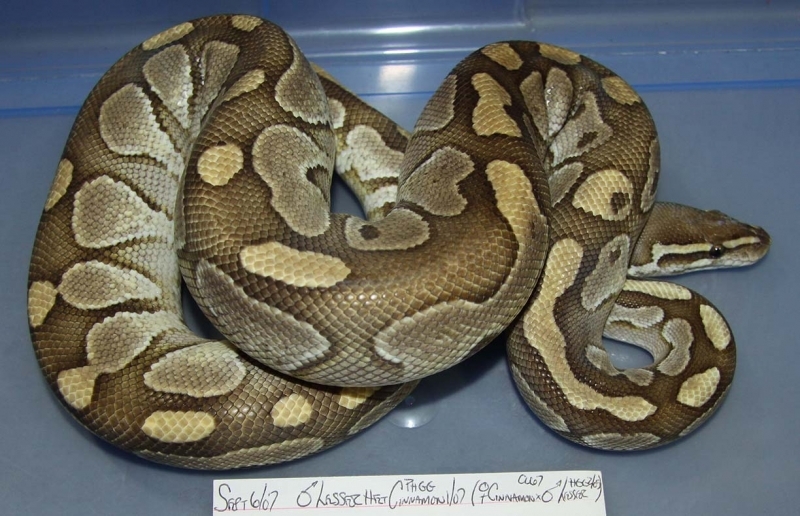 Description: Het Granite 2/10 x Het Granite 1/10. 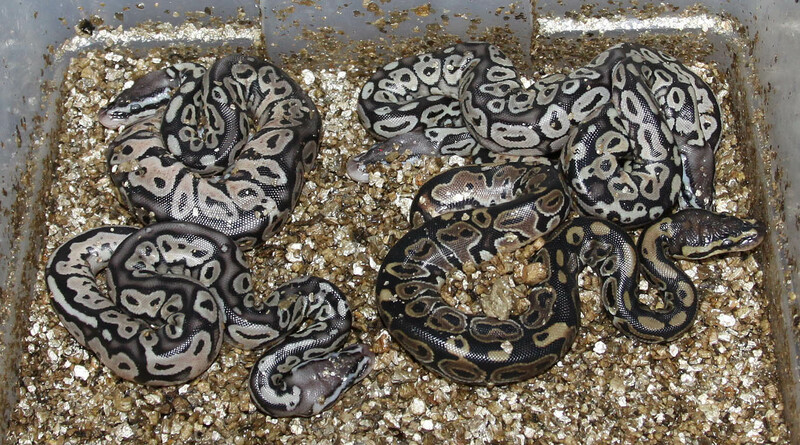 Description: Split Neck 6/11 x Het Split Neck 6/11. 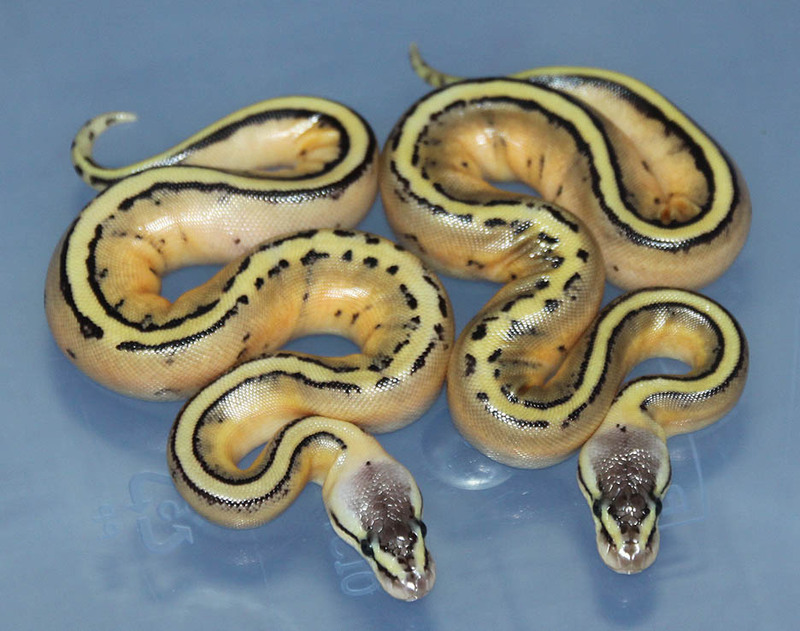 Description: Pastel Genetic Stripe Het RA 3/11 x Het RA Het Genetic Stripe "Ringer" 1/07. 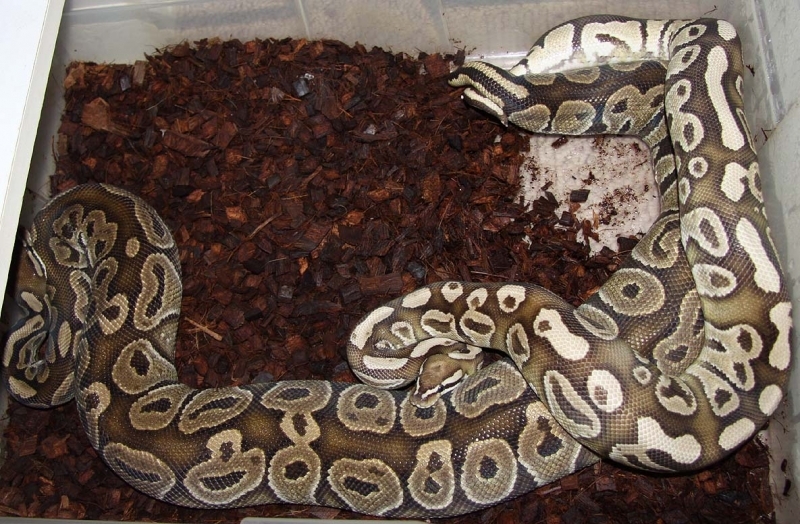 Description: Mutation X Het RA 1/11 x Het RA 11/06. 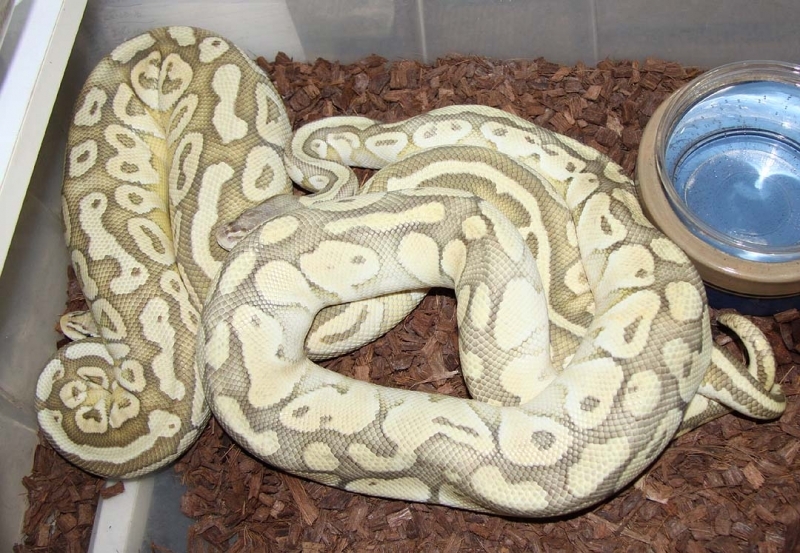 Description: Pastel Green Ghost HRA 1/11 x Pastel Lesser RA PHGG 1/11. 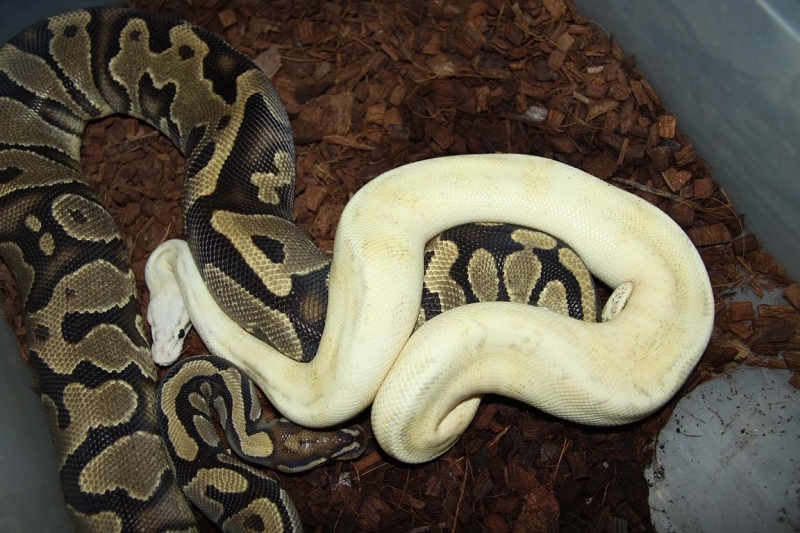 The female proved out to be a het Green Ghost! 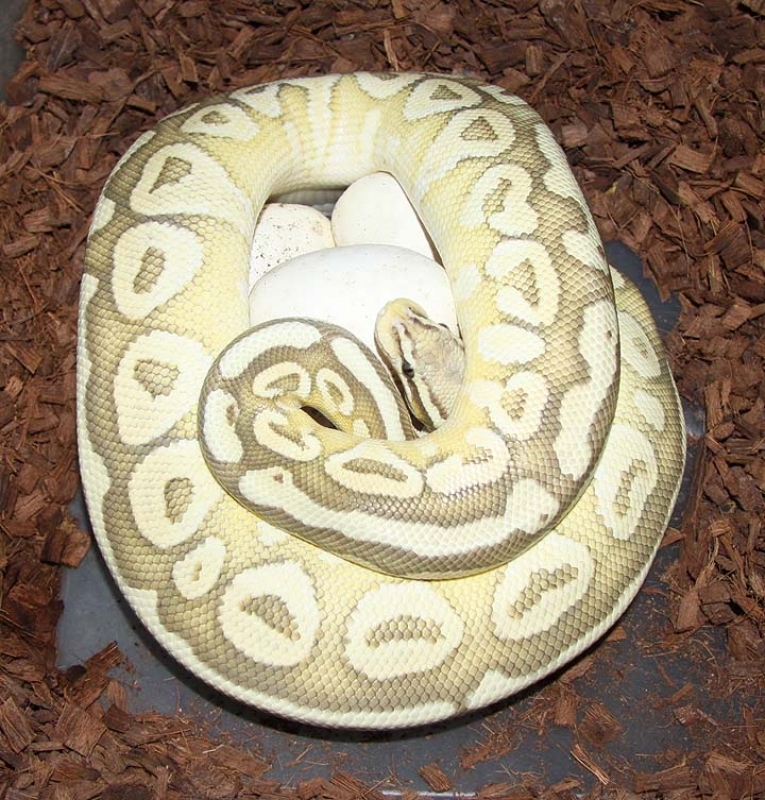 Awesome clutch!! 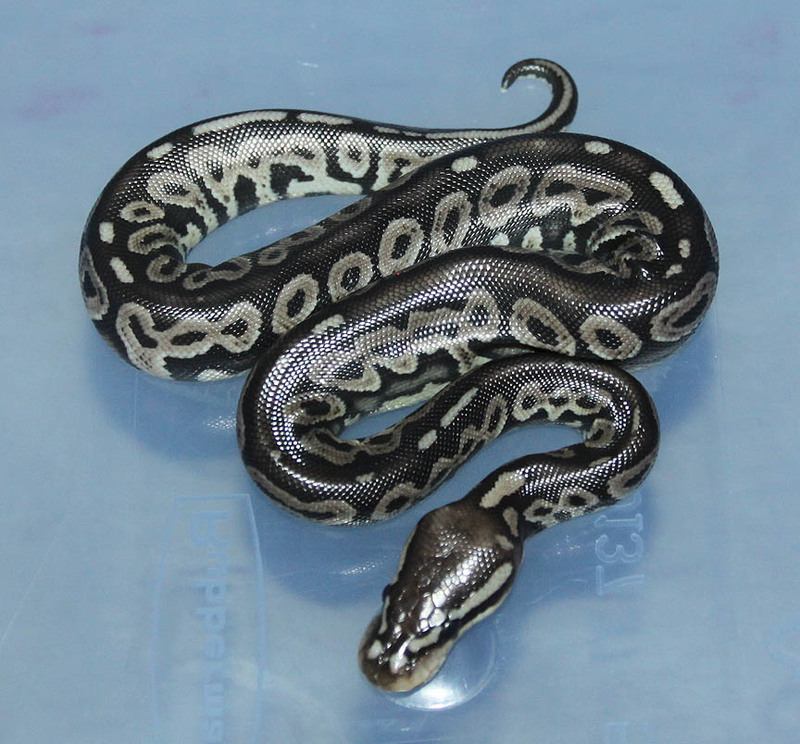 Description: Pastel Genetic Stripe Het RA 2/11 x Het GS 1/06. 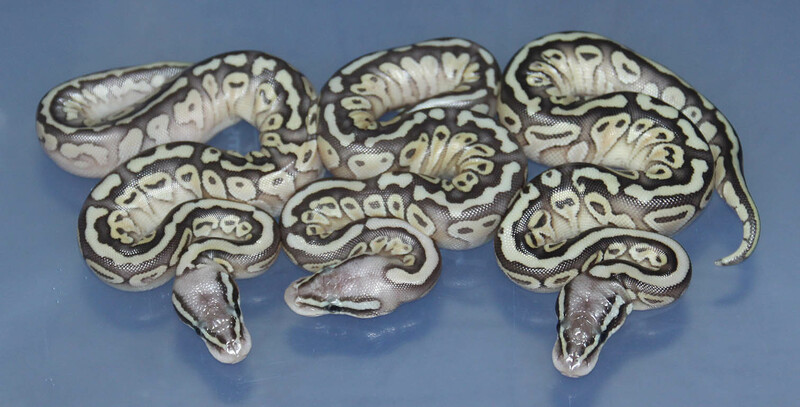 Description: Pastel Lesser Double Het Green Ghost/Genetic Stripe 2/11 x Super Pastel Double Het Green Ghost/Genetic Stripe 1/10. 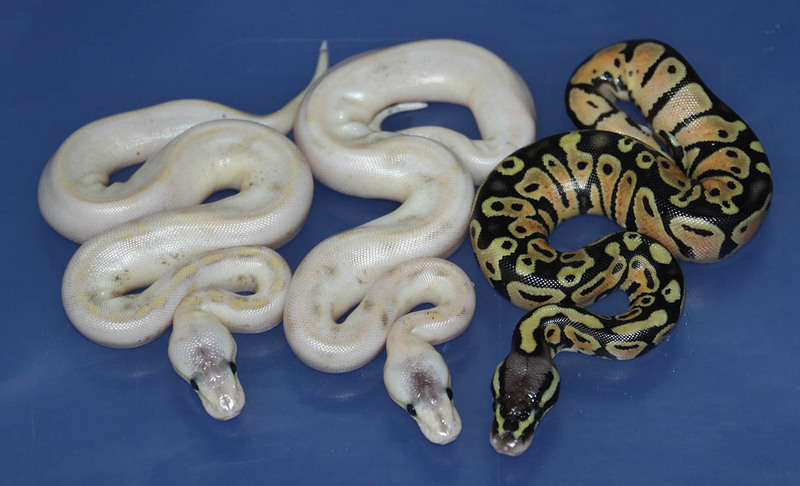 I've produced some light Green Ghosts and dark Green Ghosts this year. 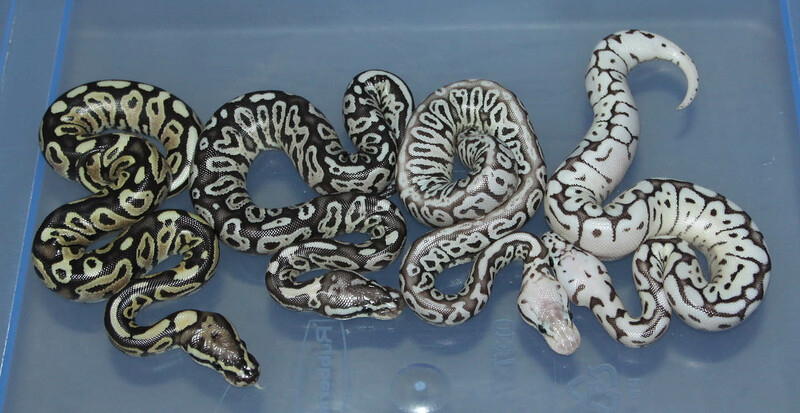 These are more on the darker end. 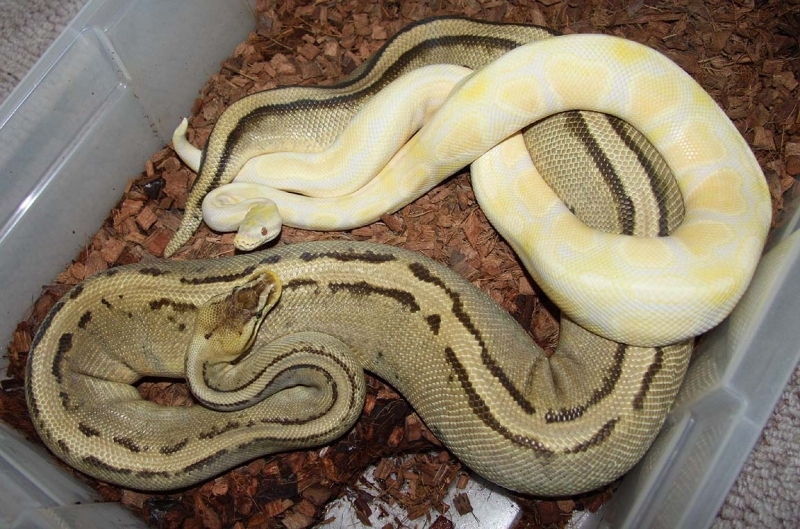 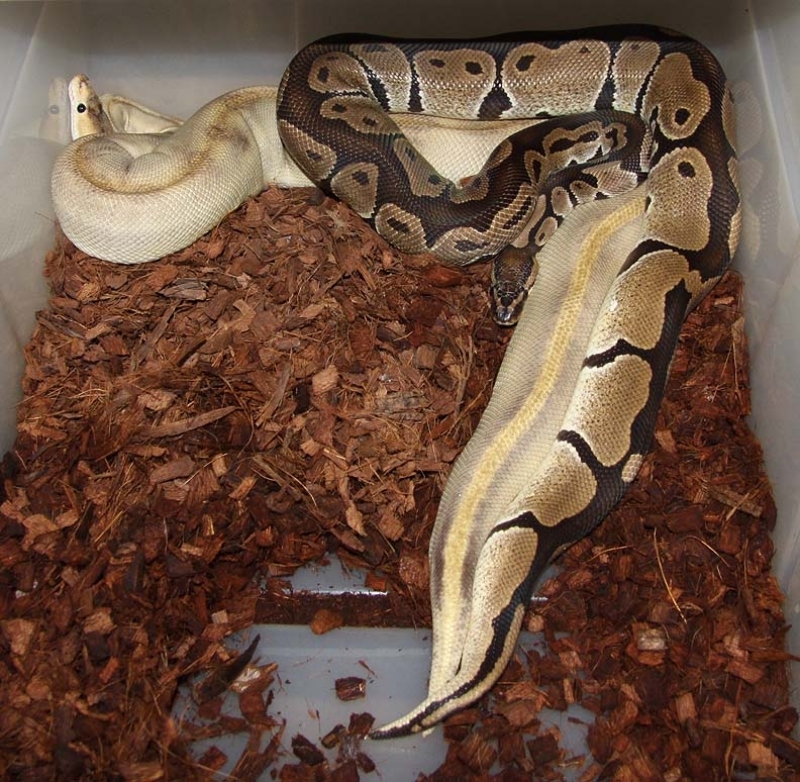 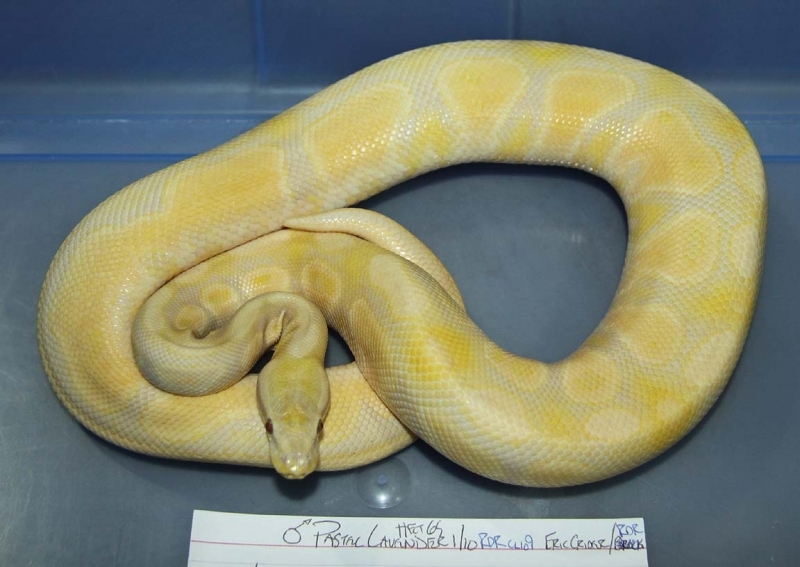 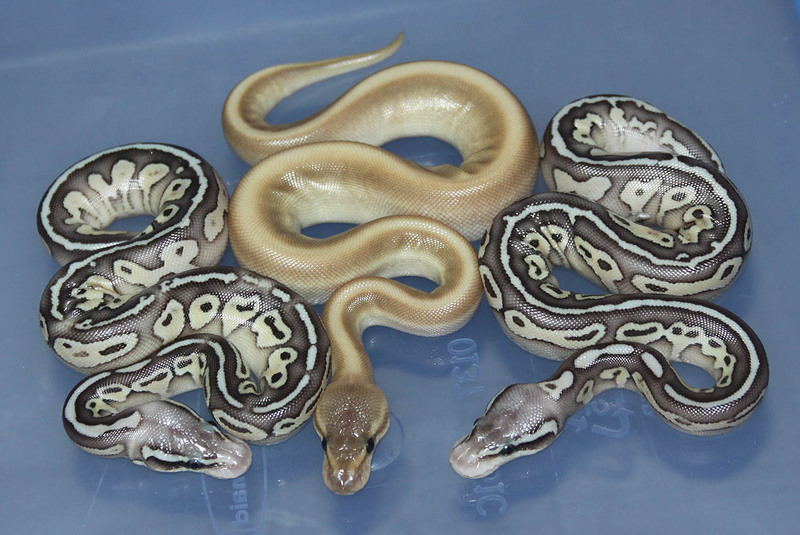 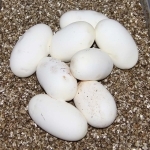 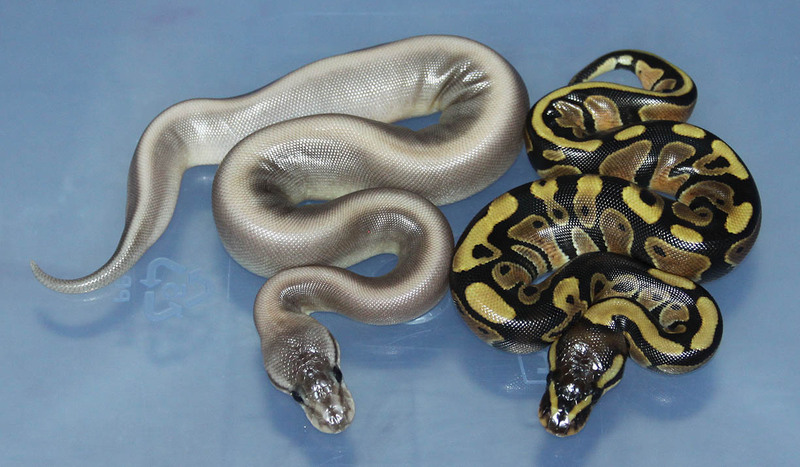 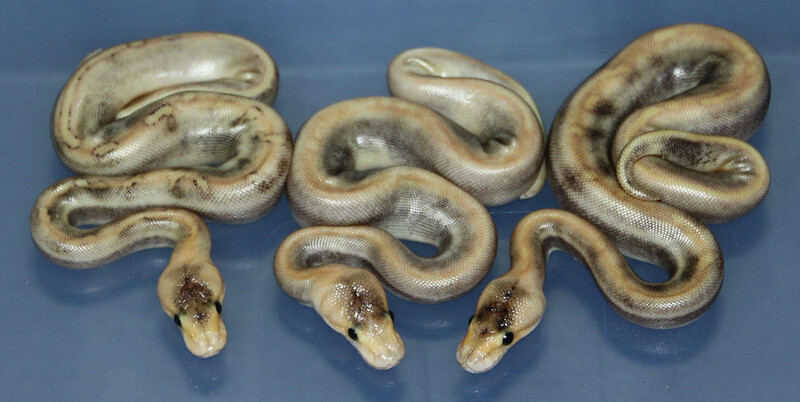 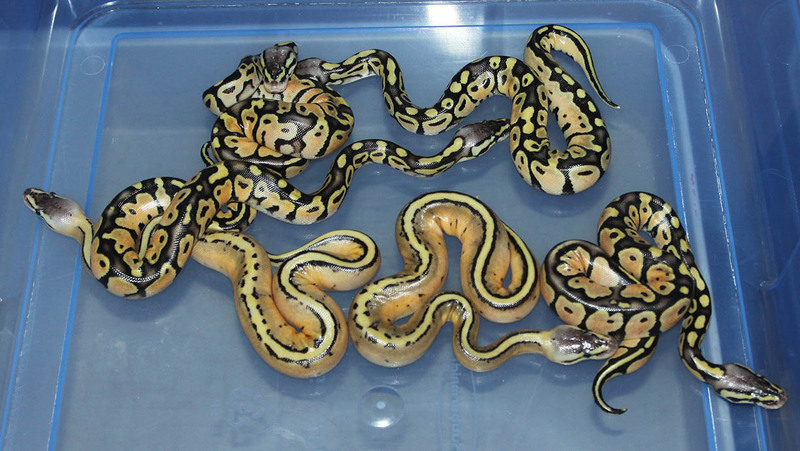 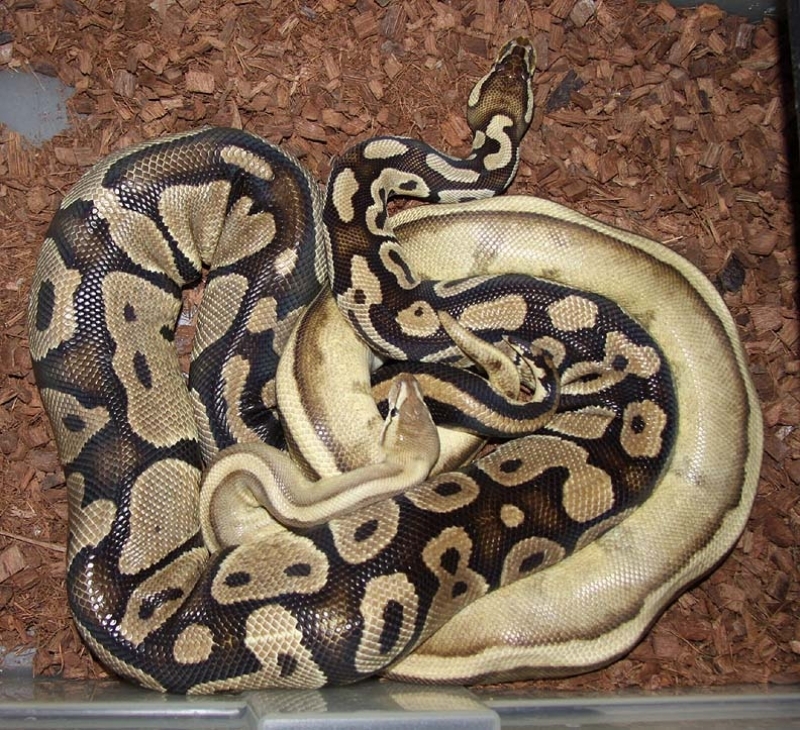 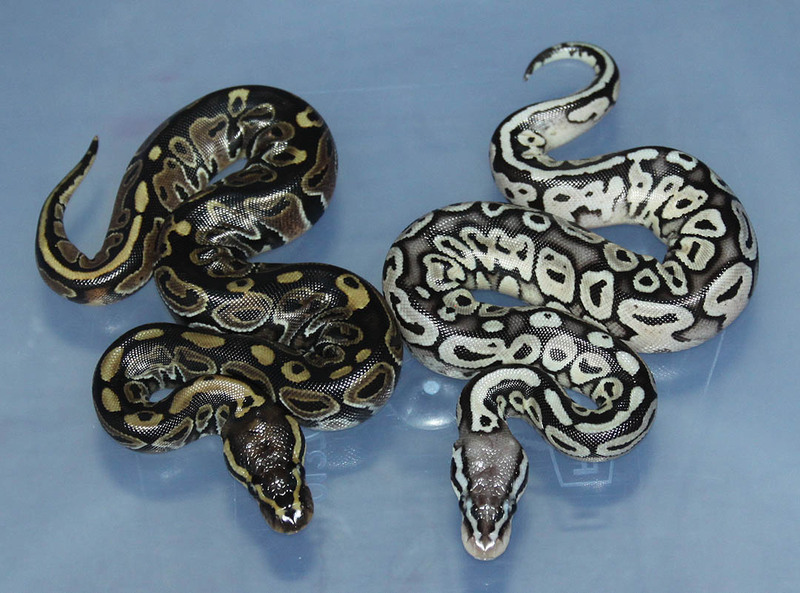 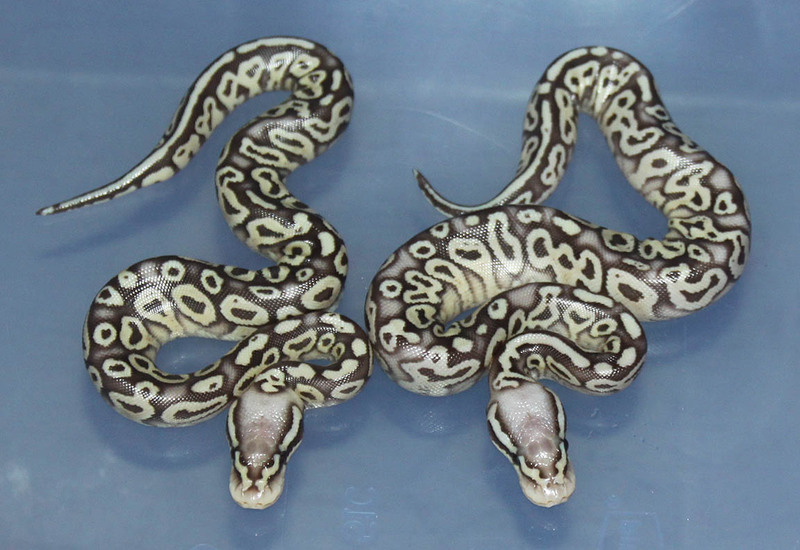 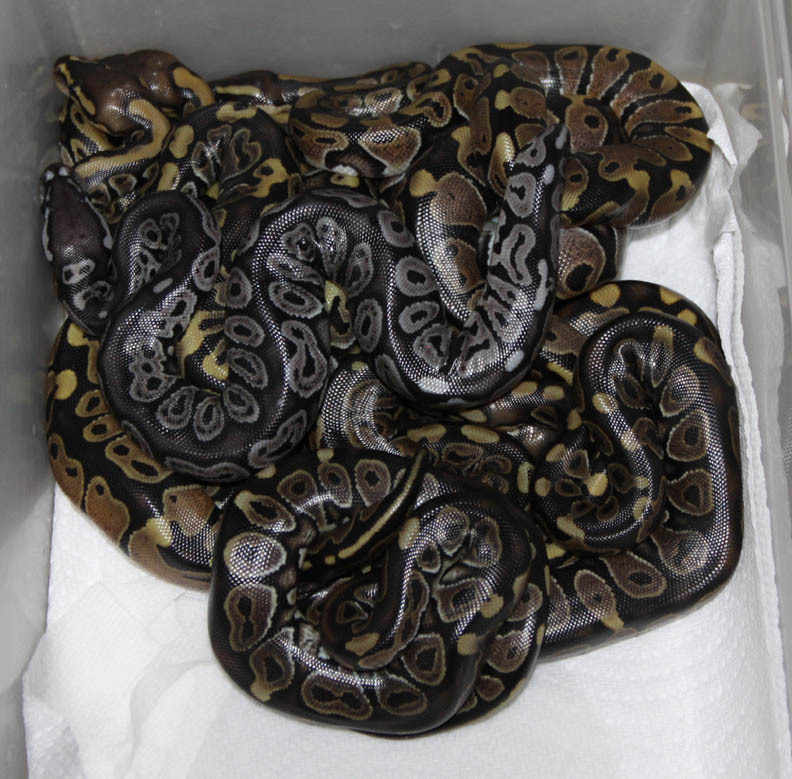 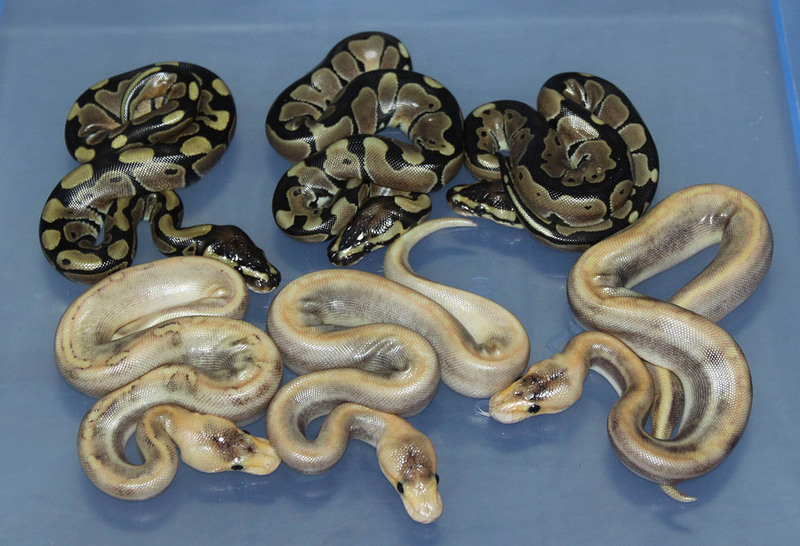 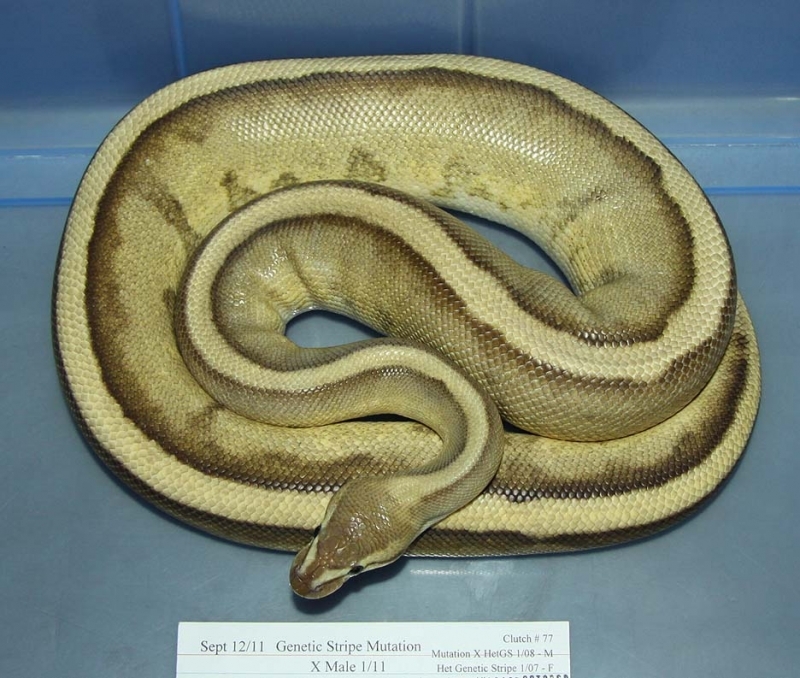 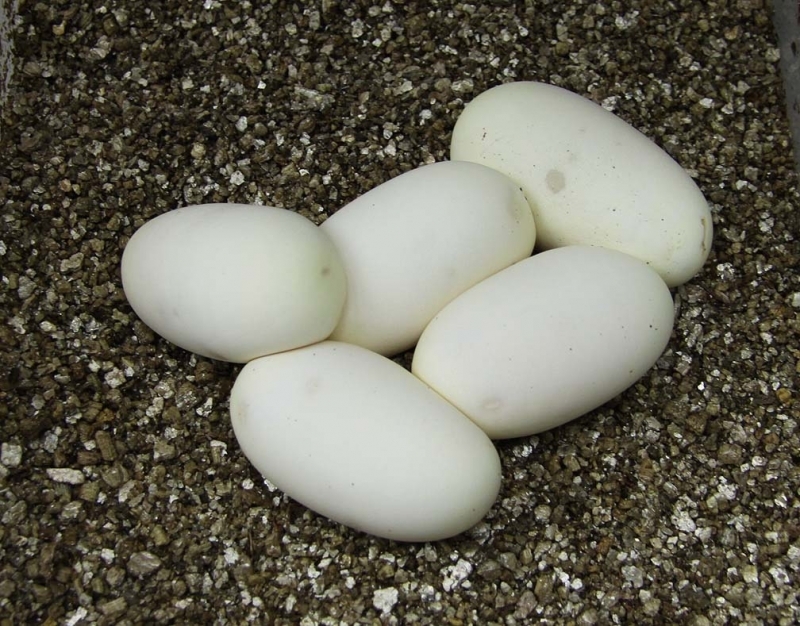 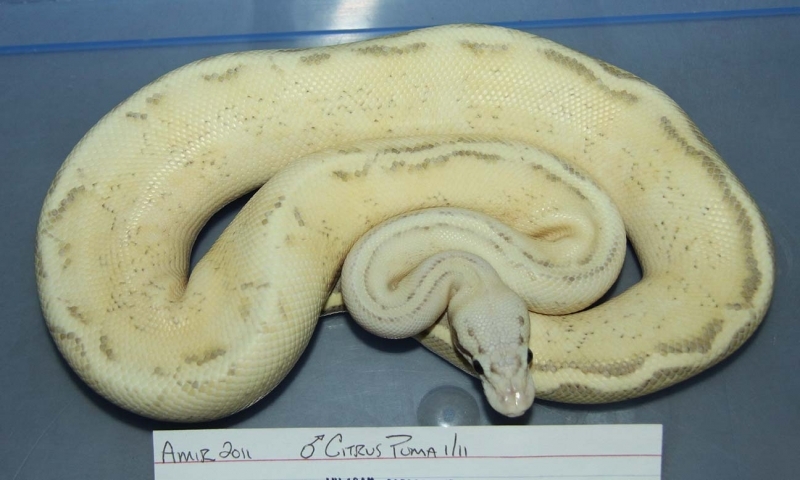 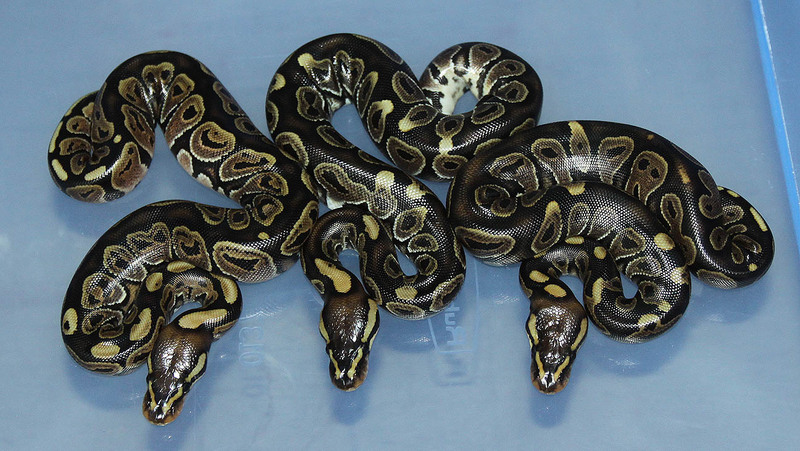 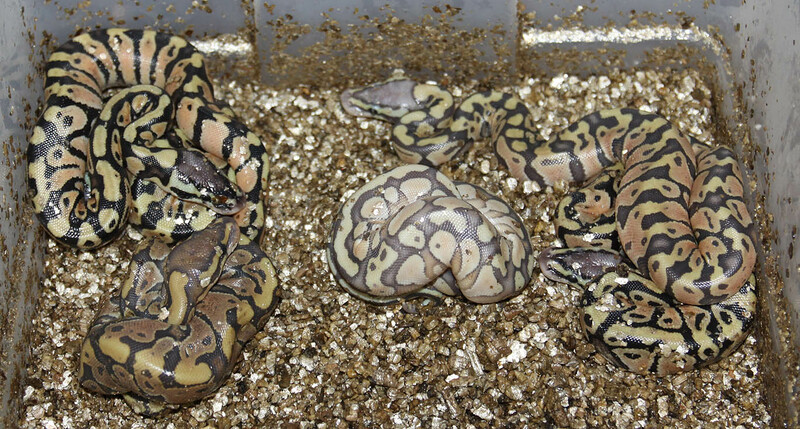 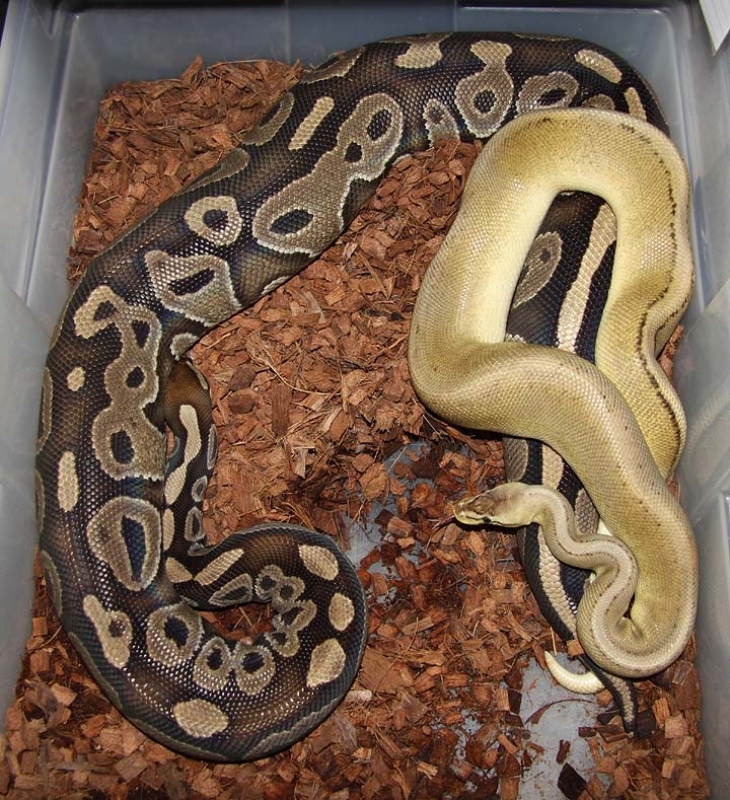 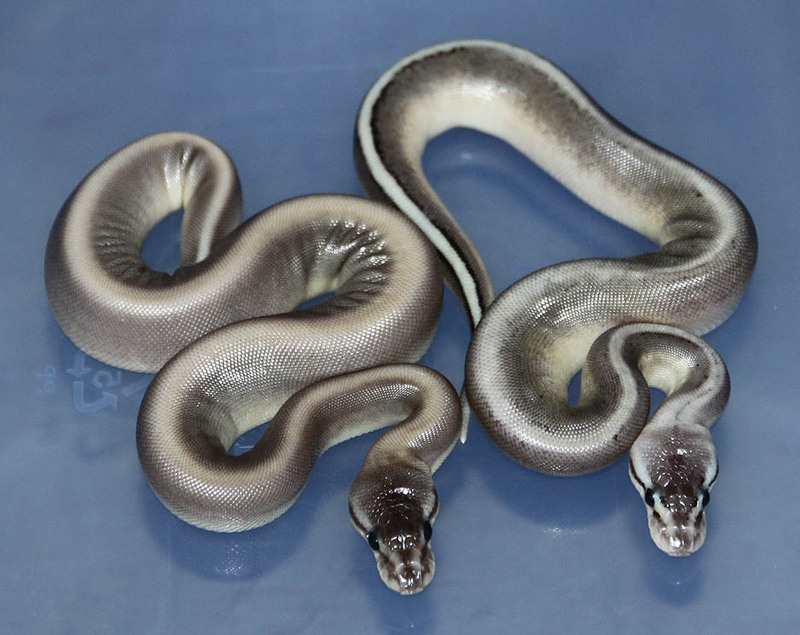 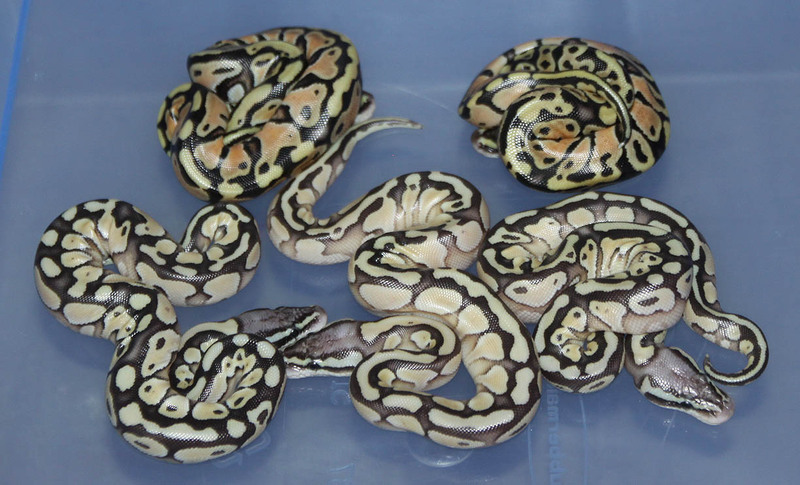 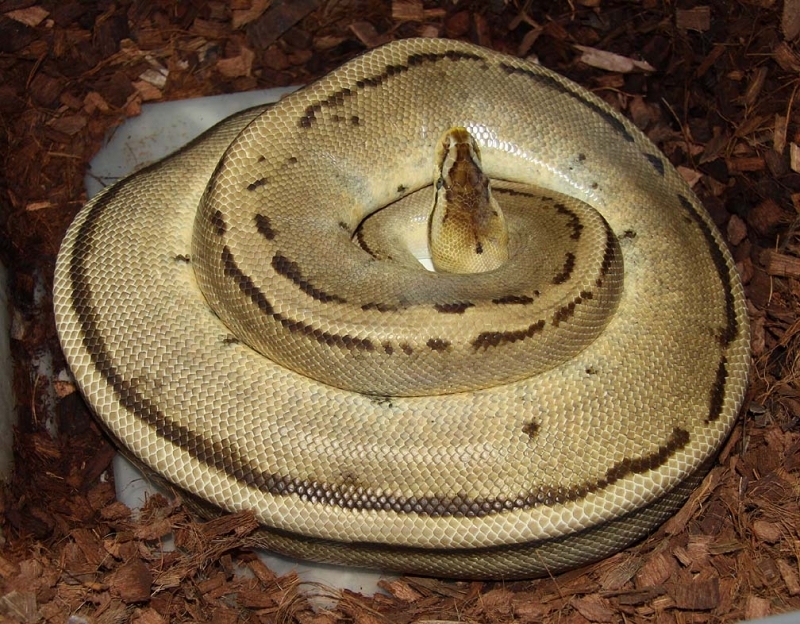 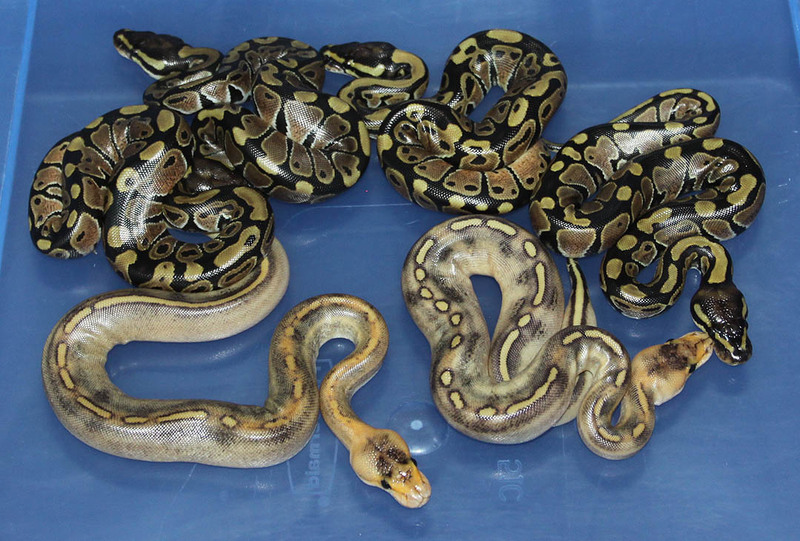 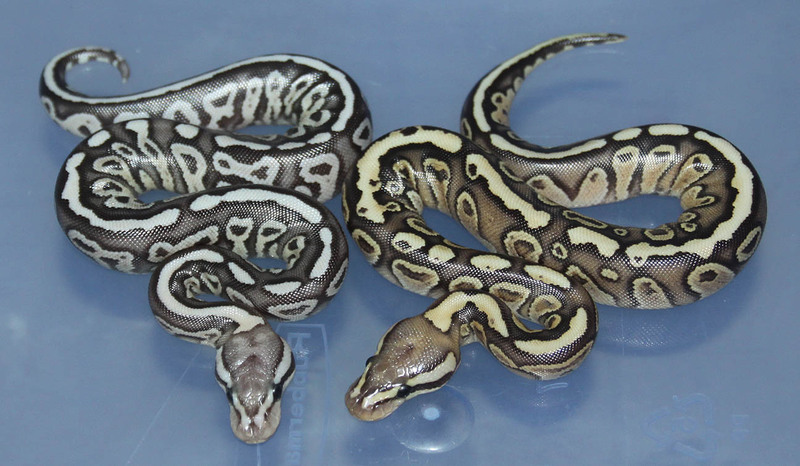 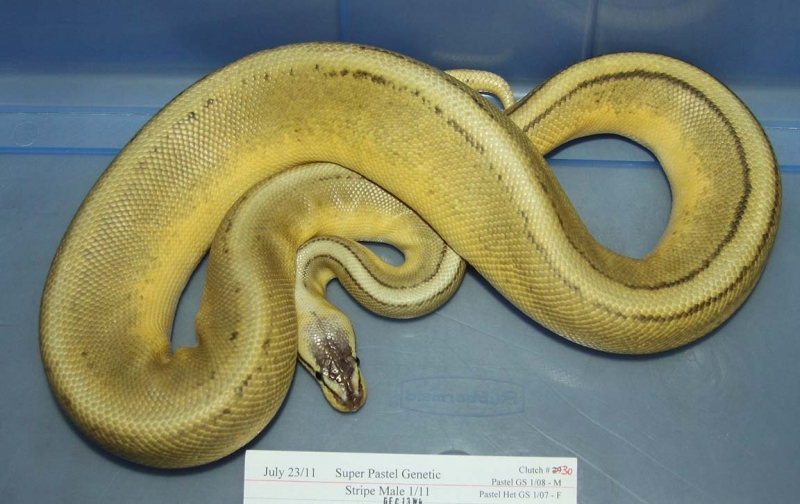 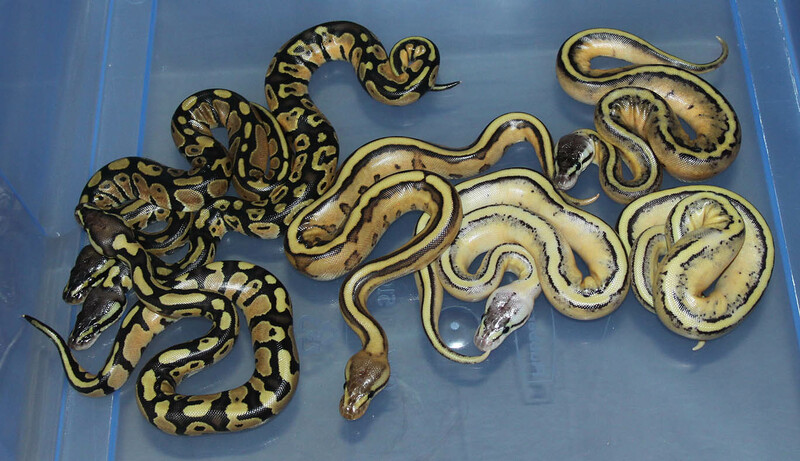 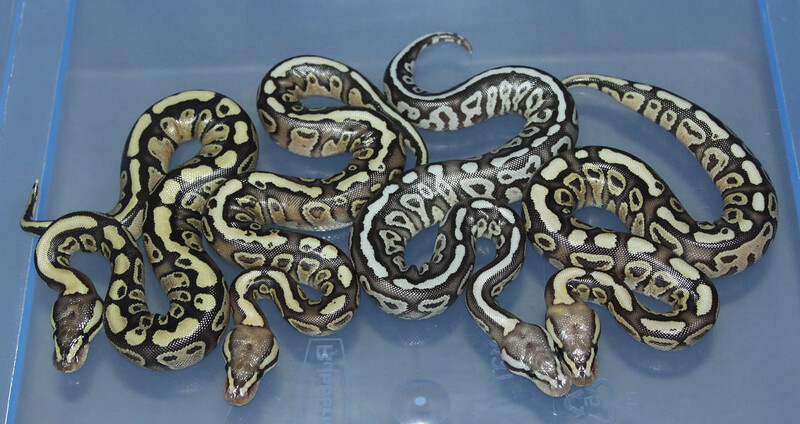 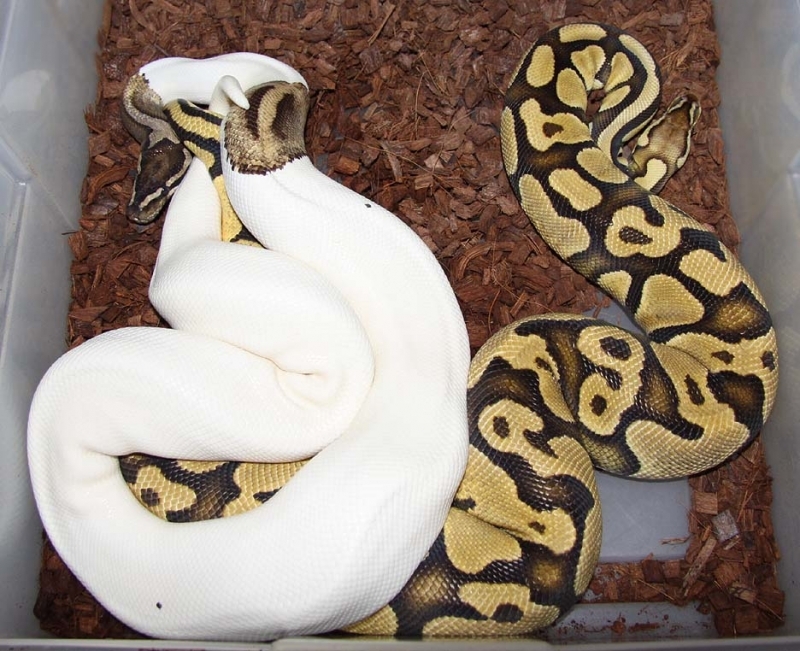 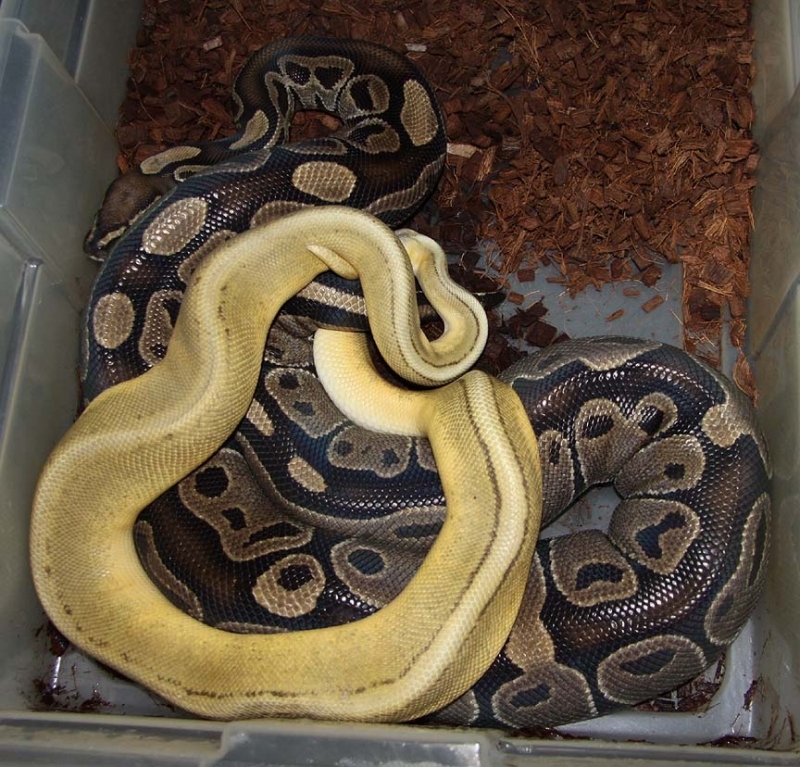 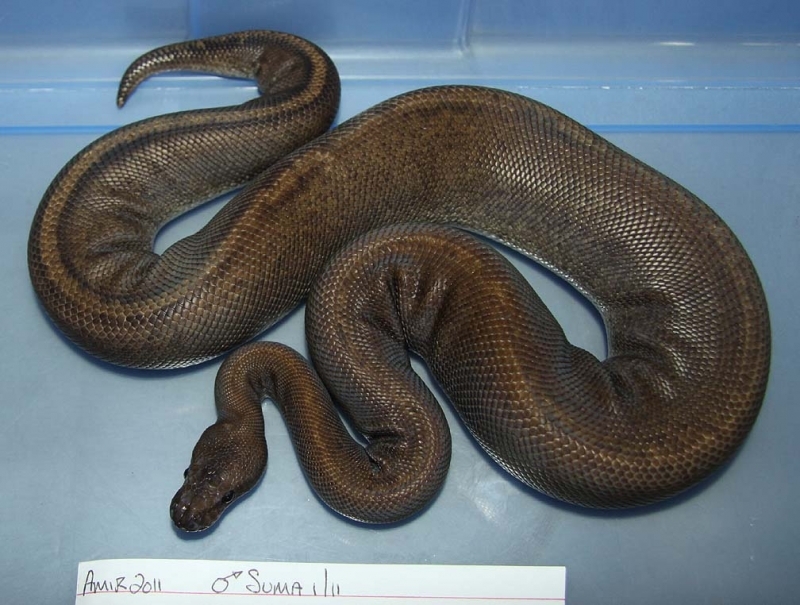 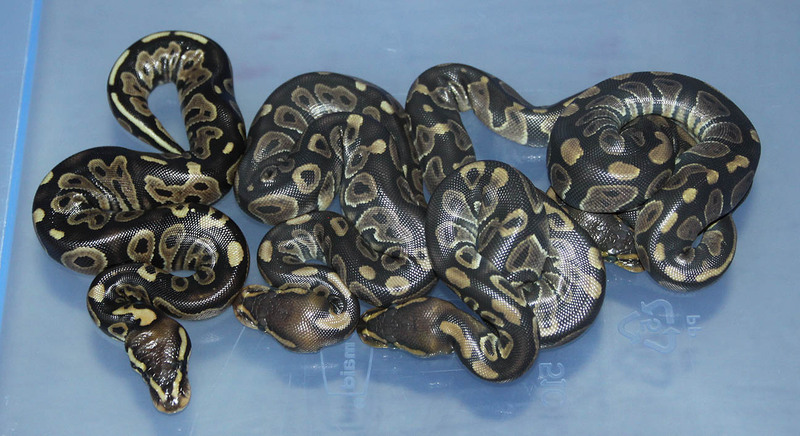 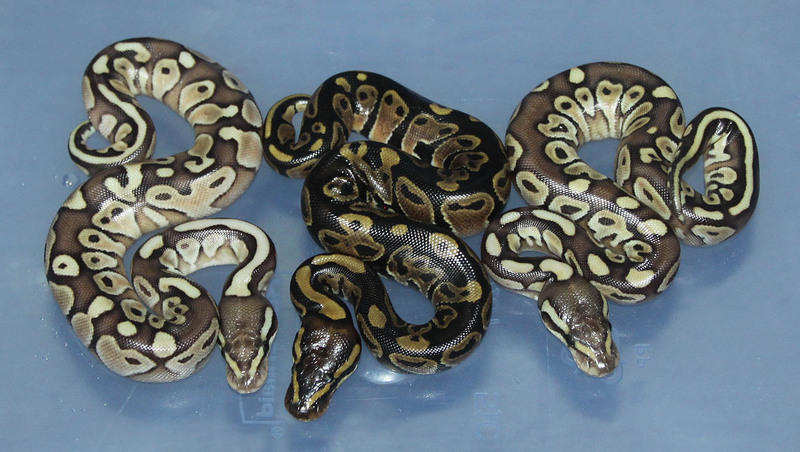 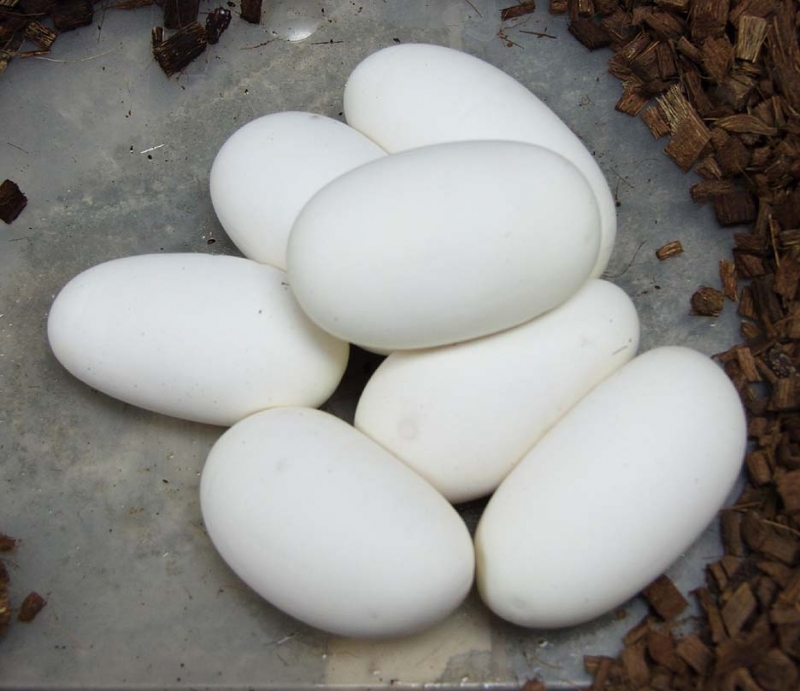 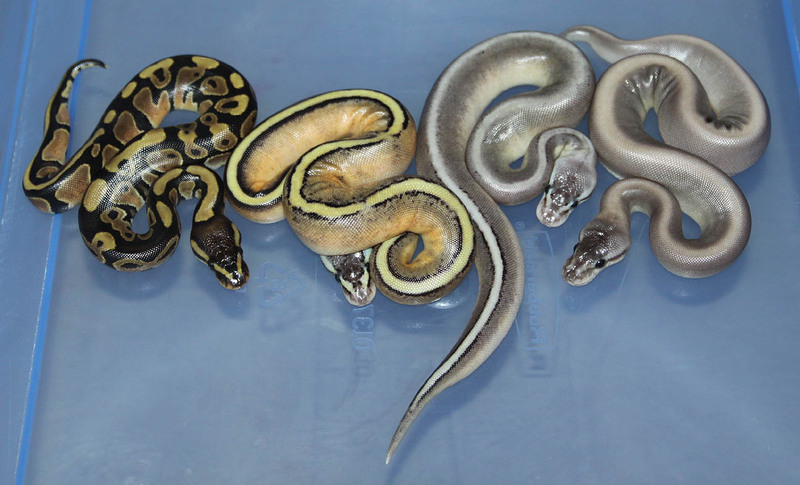 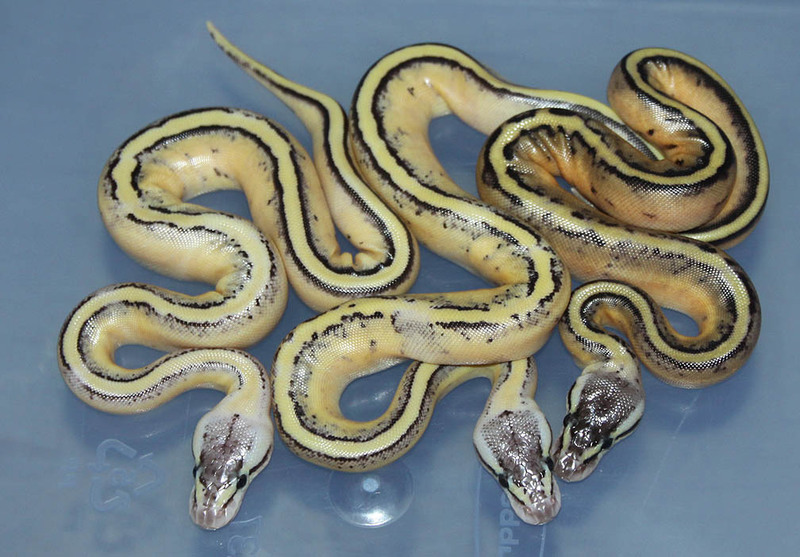 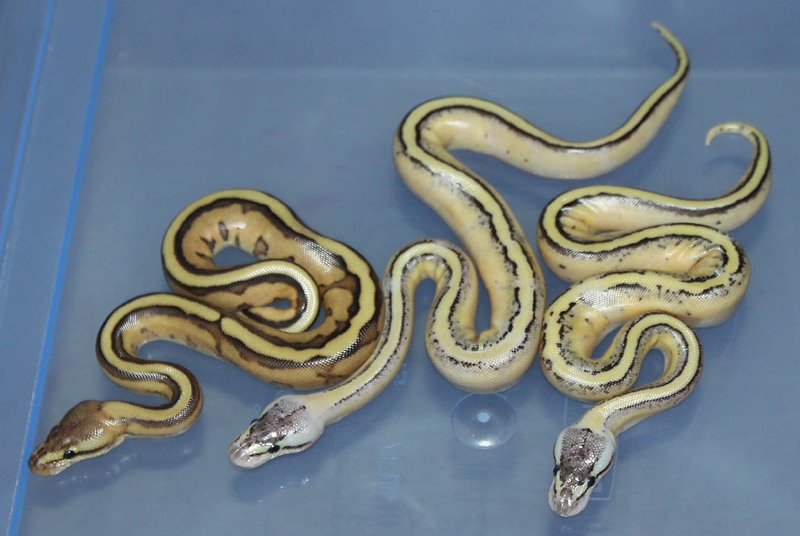 Description: Citrus Puma 1/11 x Het RA Yellow Belly 1/10. 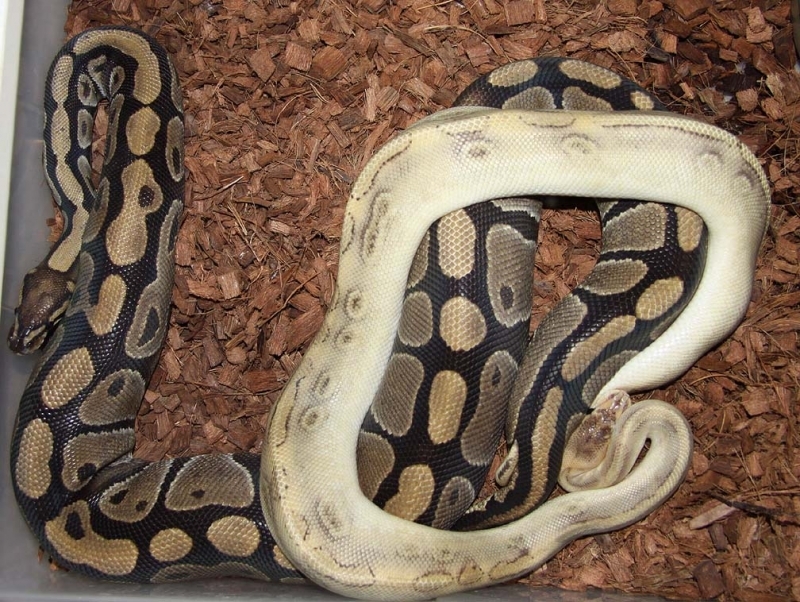 Description: Lesser YB 1/10 x YB 6/08 JS. 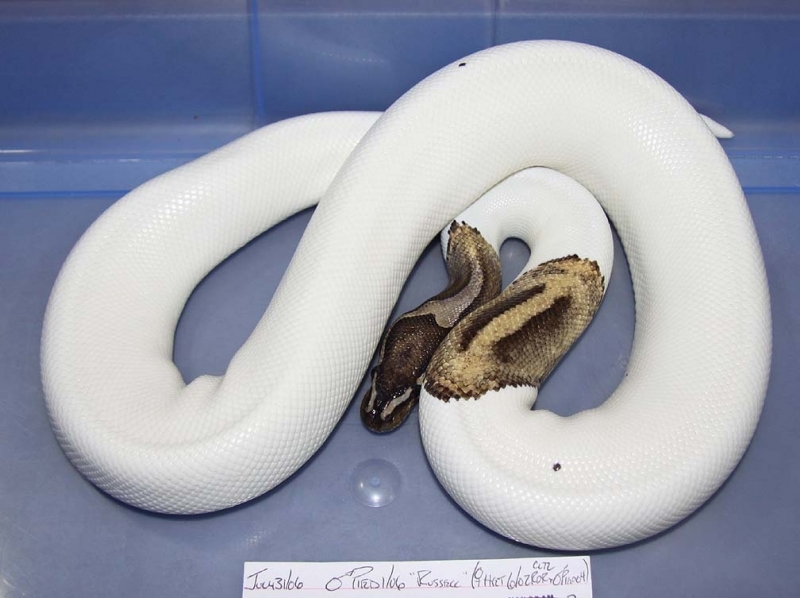 Description: Toffino 1/11 x Het RA Het Albino 1/09. 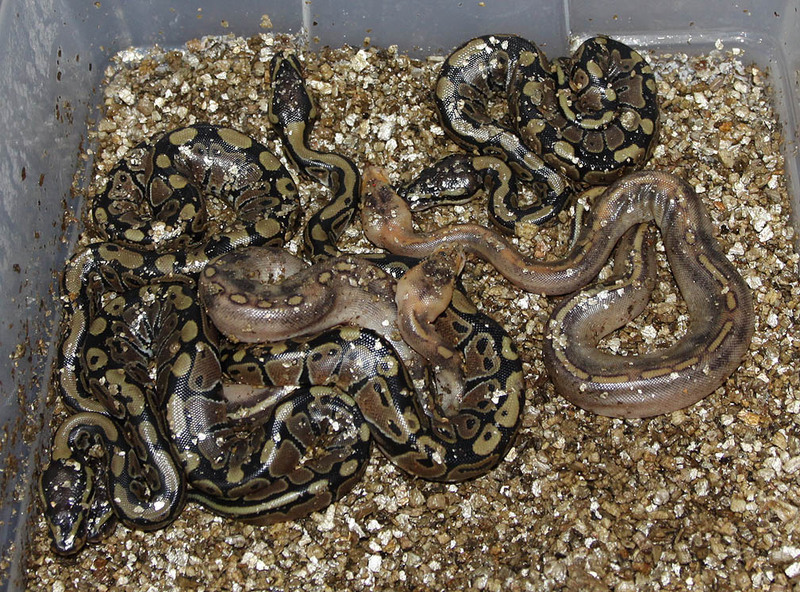 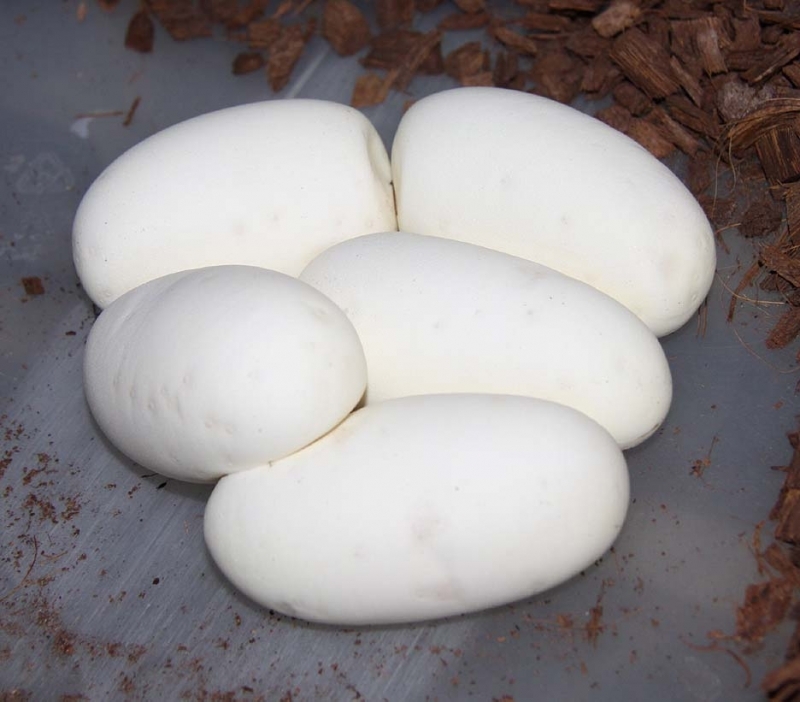 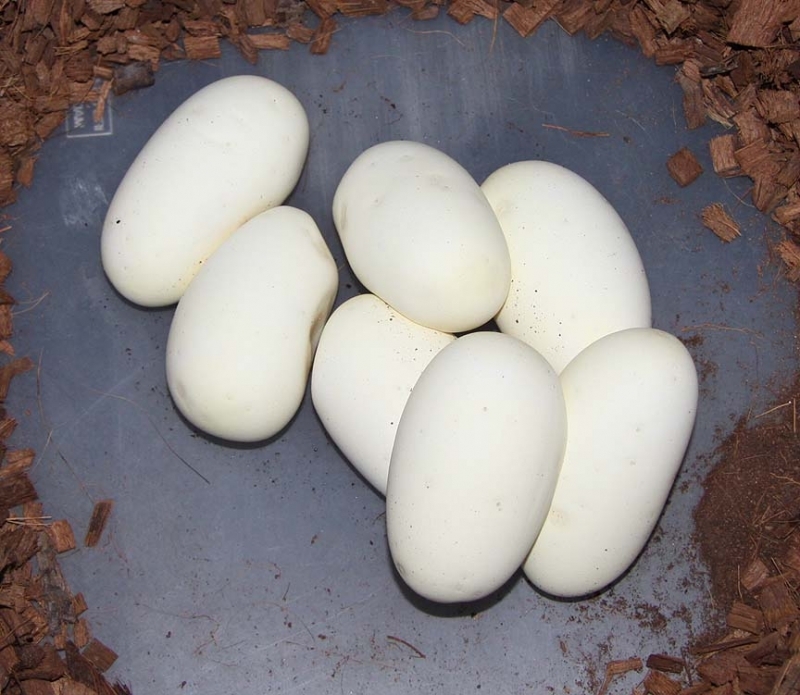 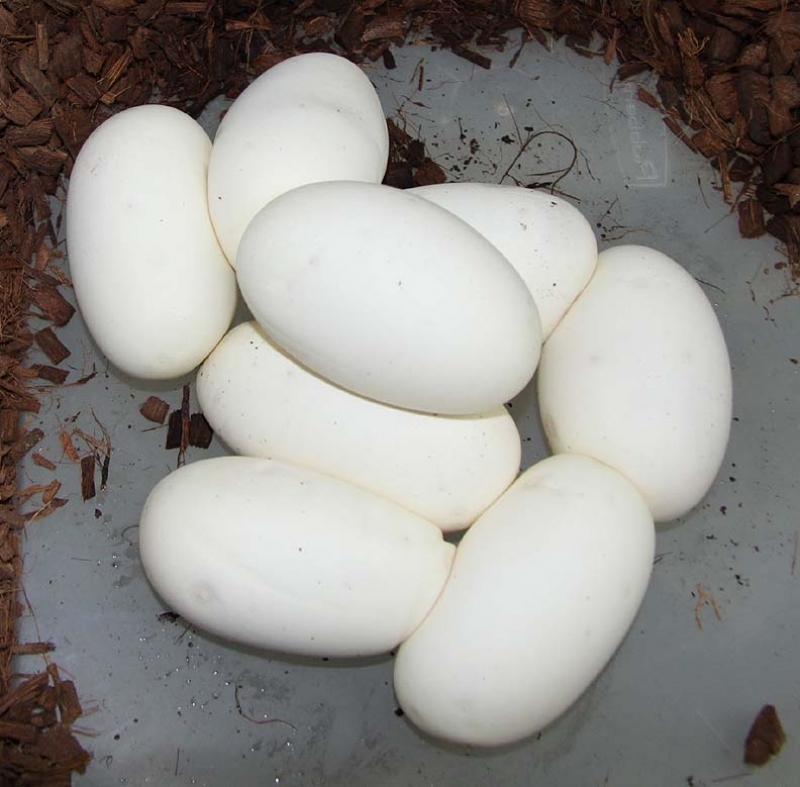 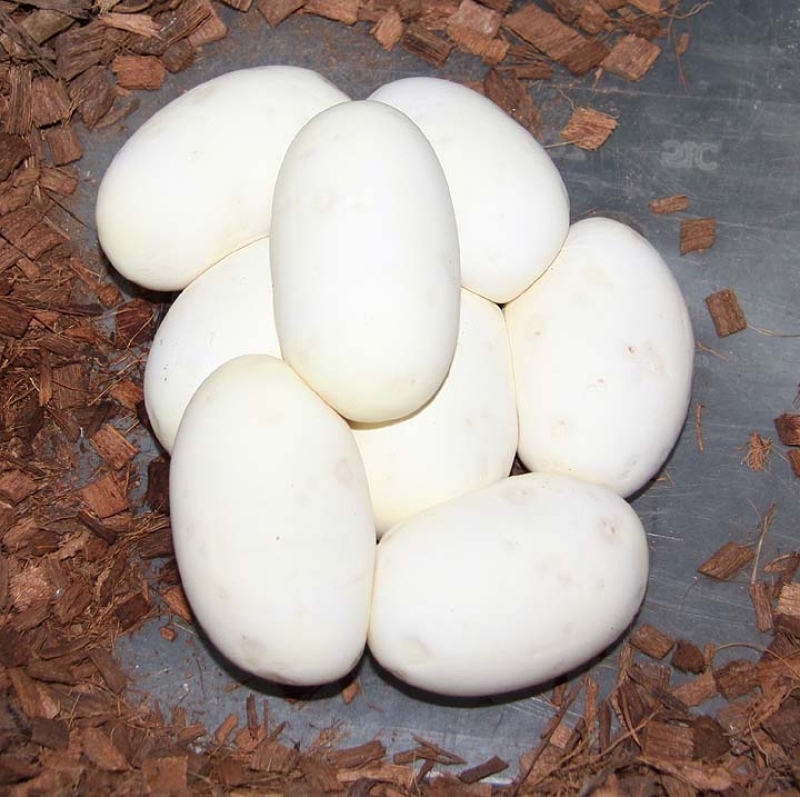 Description: Pastel Chocolate Het RA 2/11 x Het RA 8/06. 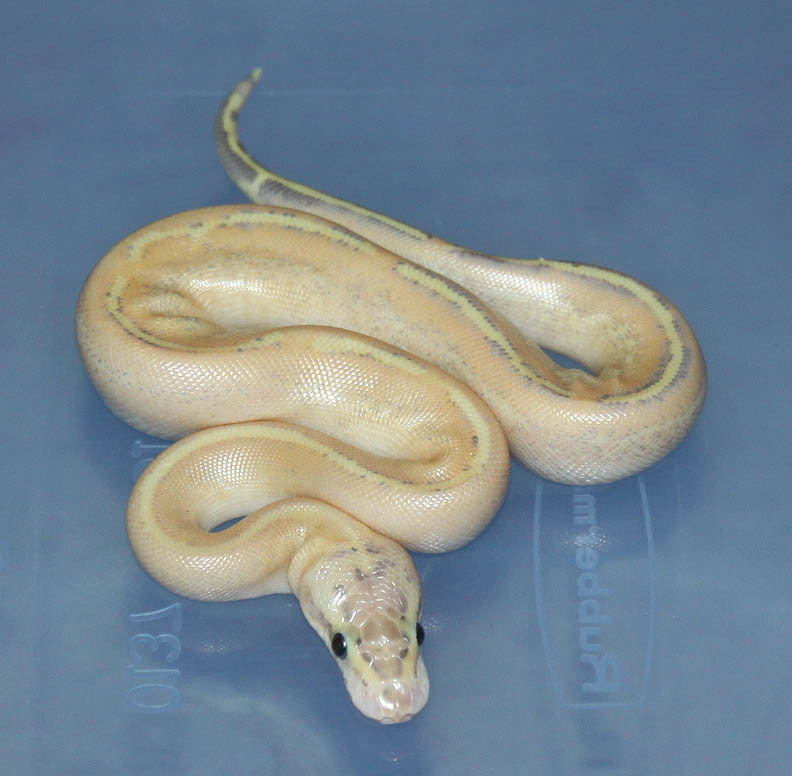 Description: RDR Pastel Lavender Het Genetic Stripe 1/10 x Pastel Genetic Stripe 2/10. 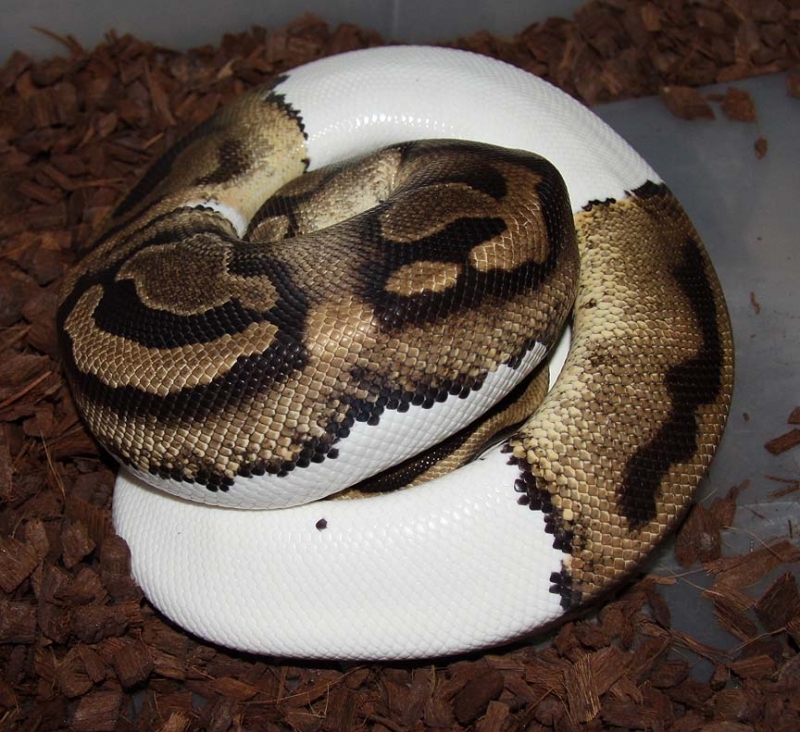 Description: Pied 1/10 "Sid" x Pastel Het Pied 2/11. 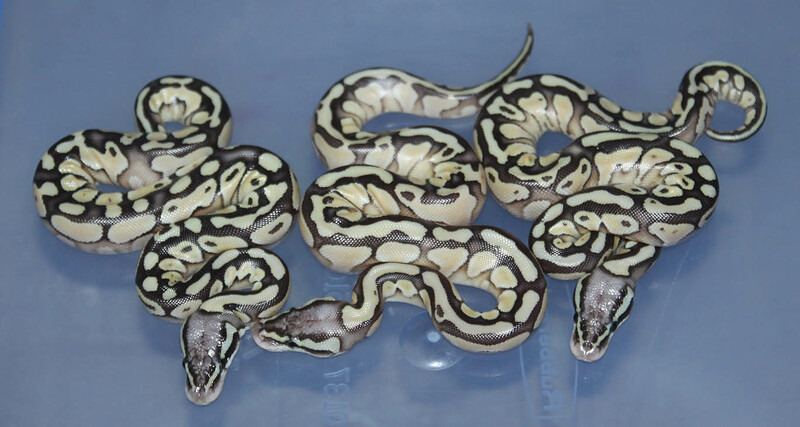 These guys hatched while we were away at the Chicago show. 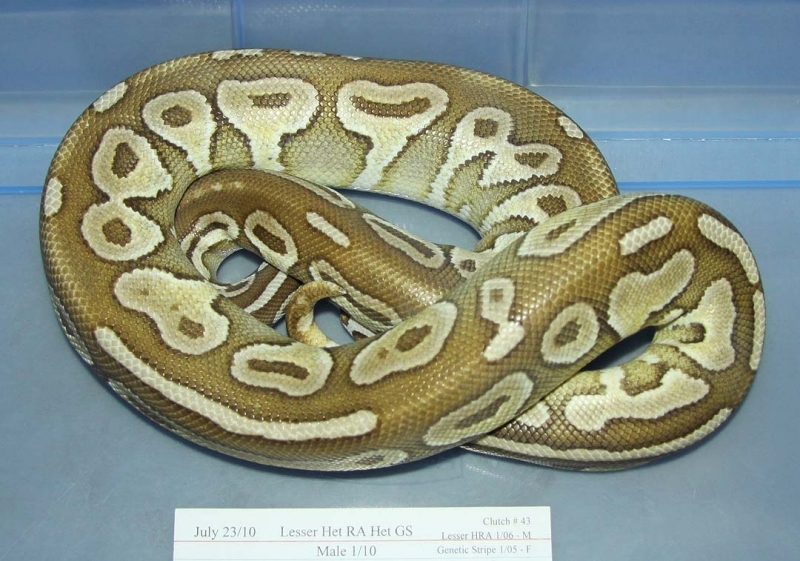 Description: Lucy (Lesser x Lesser) Het Orange Ghost 1/08 x HY 5/08. 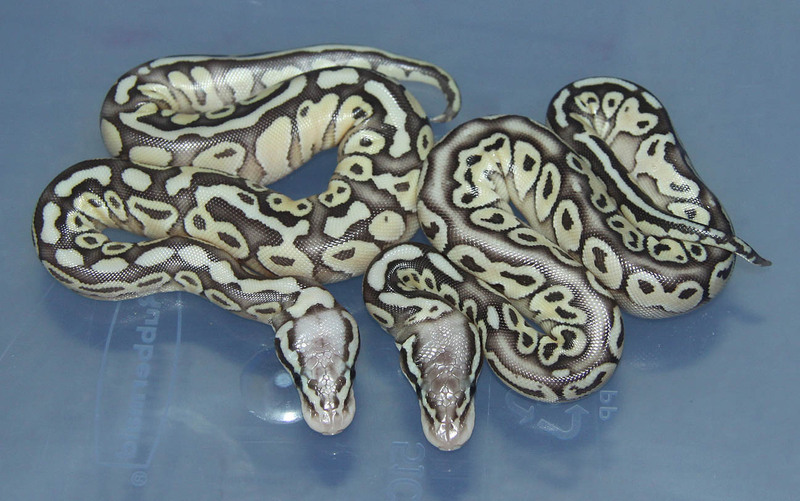 This is from a different breeding than the other HY females that have produced Orange Ghosts. 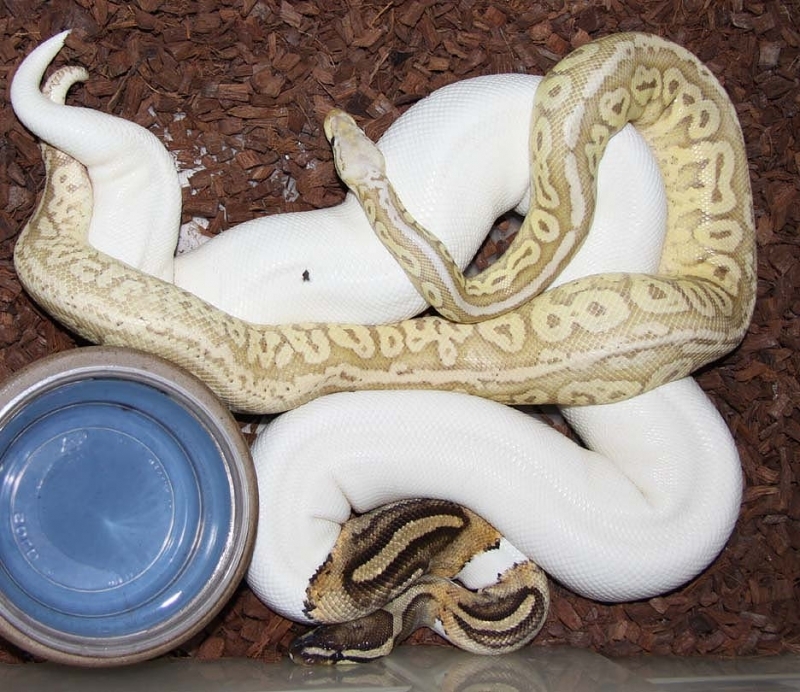 I thought one of the CH females way back in the day was a Het Orange Ghost but now I'm thinking the original High Yellow (HY) male was a Het Orange Ghost. 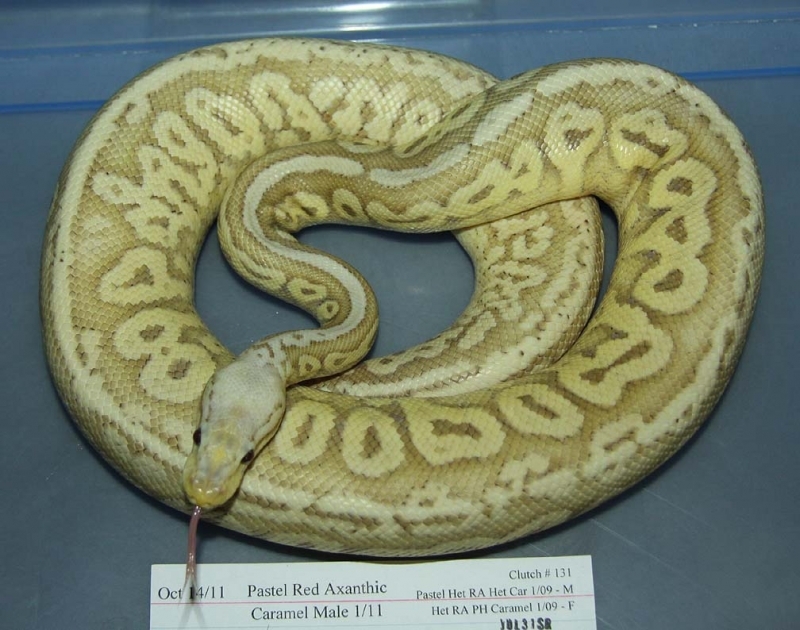 Description: Pastel Caramel Het RA 1/11 x Genetic Stripe "Perfect" 4/10. 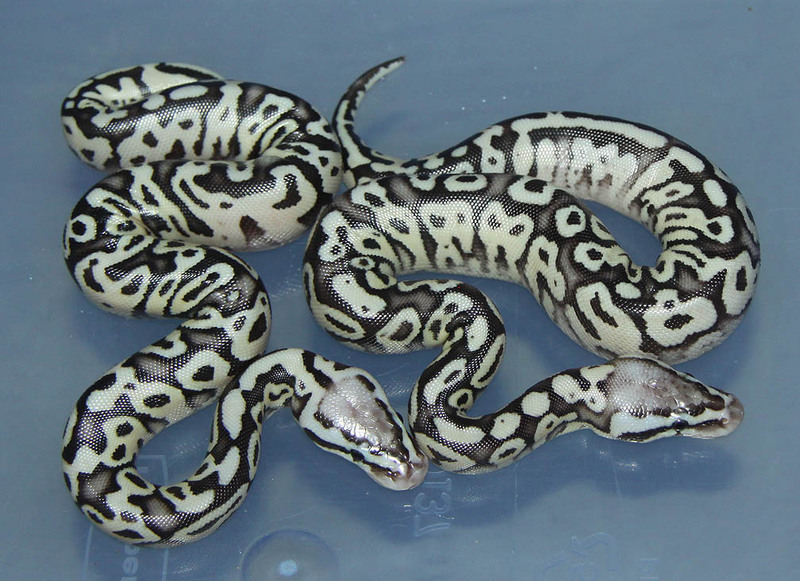 Description: Mutation X Genetic Stripe 1/11 x Super Pastel Het GS 4/10. 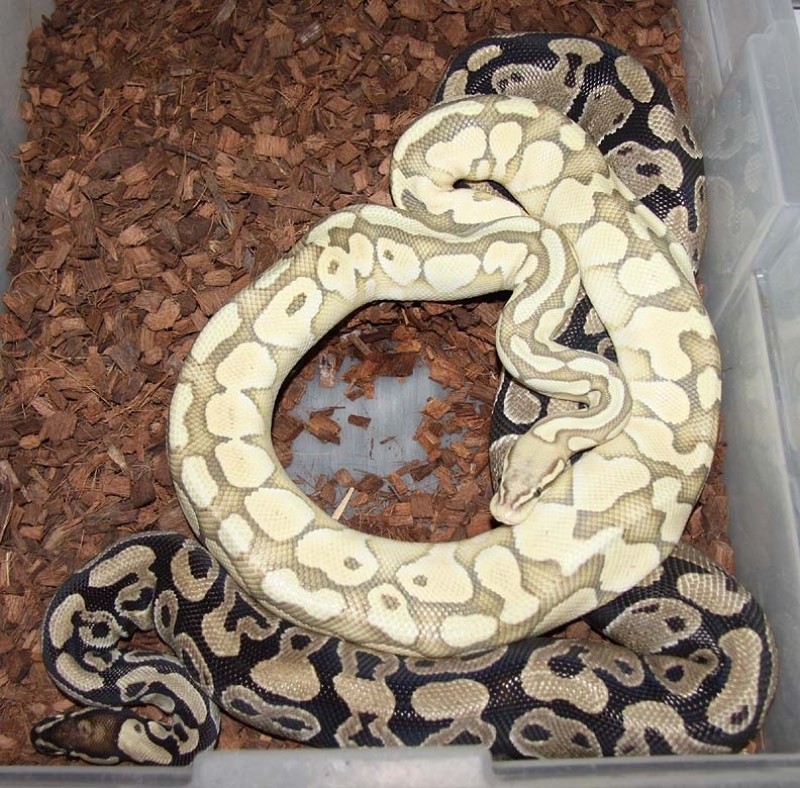 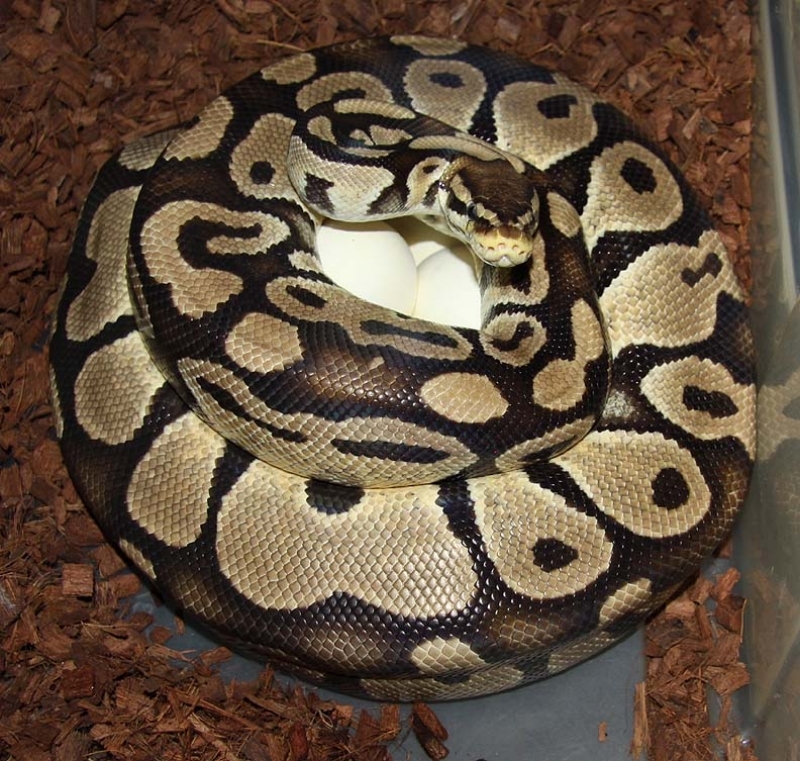 Description: Lucy (Lesser x Lesser) Het Orange Ghost 1/08 x Albino 12/10. 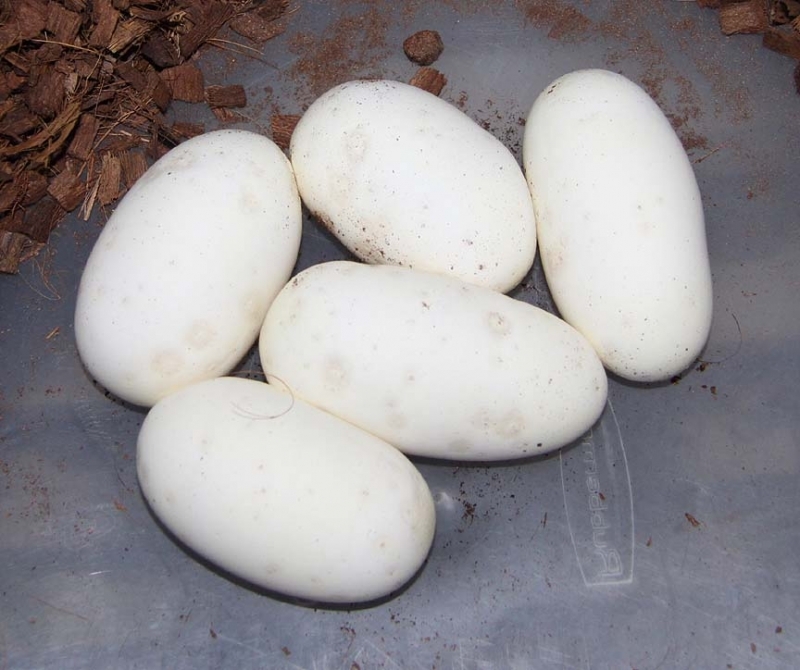 This clutch will produce all Lessers 100% Het Albino 50% Possible Het Orange Ghost. 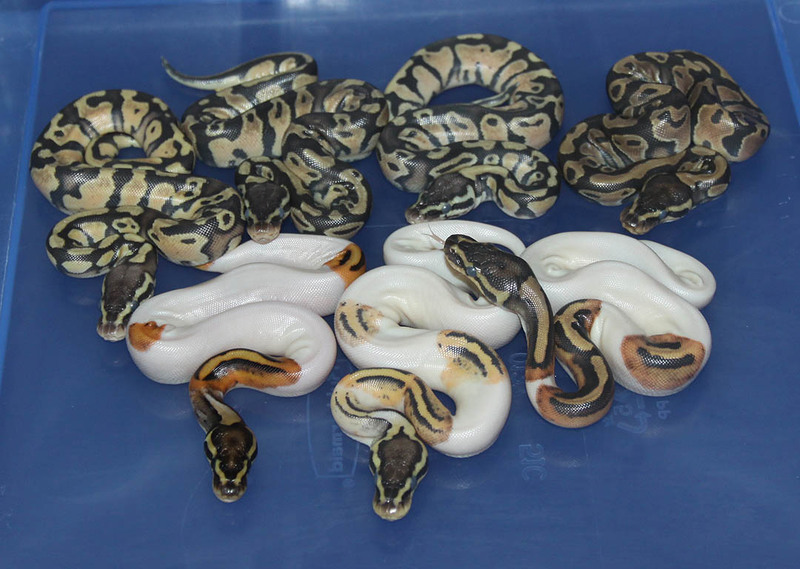 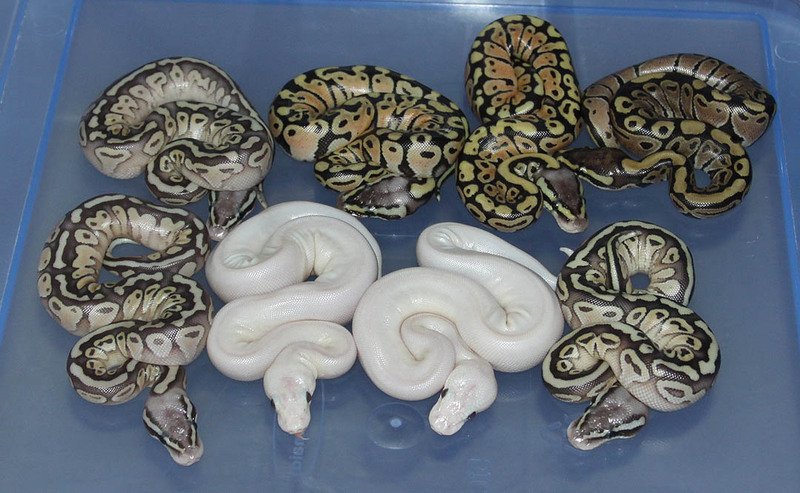 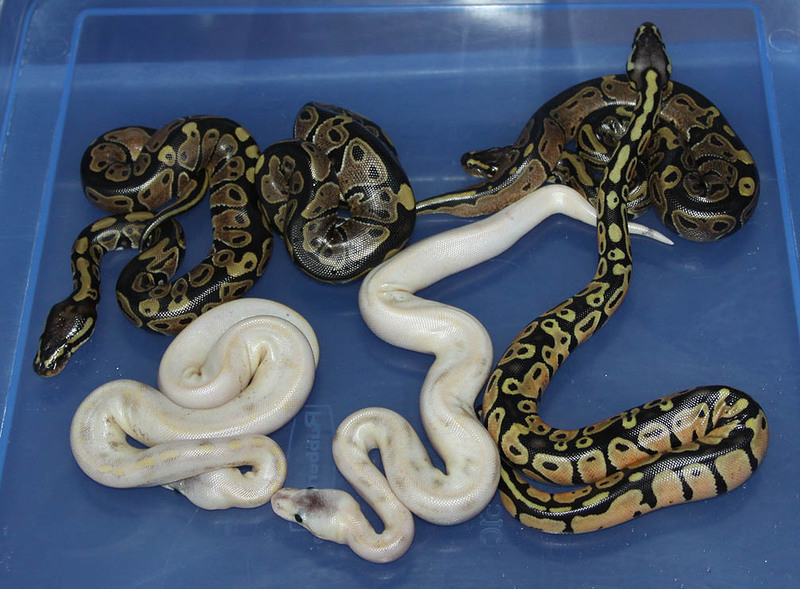 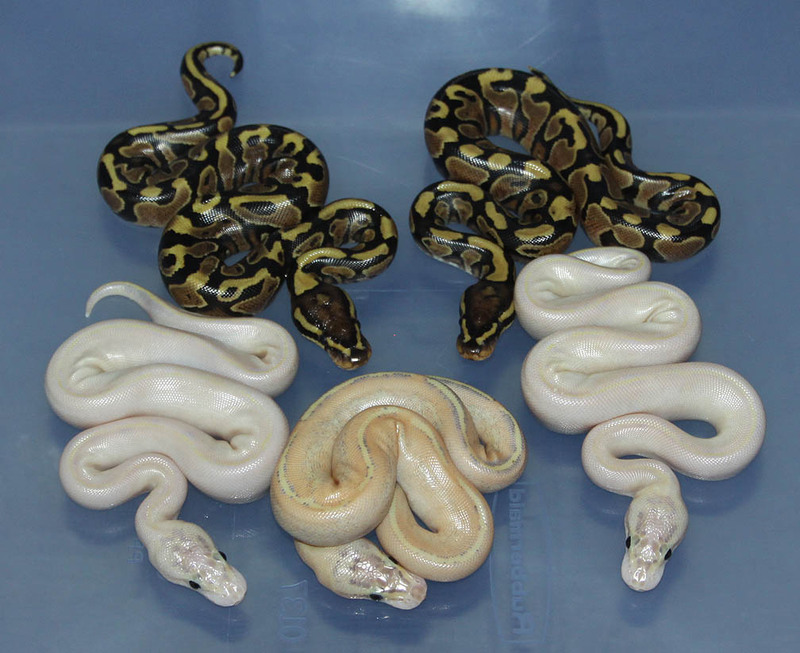 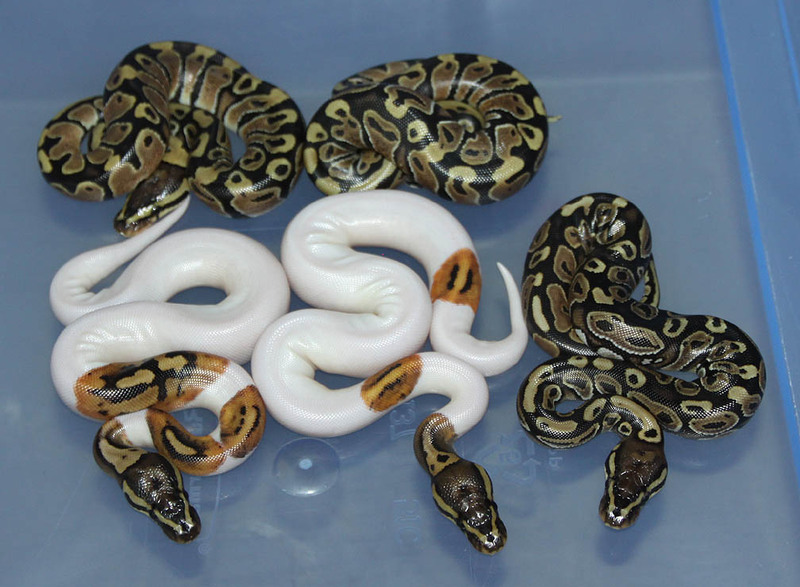 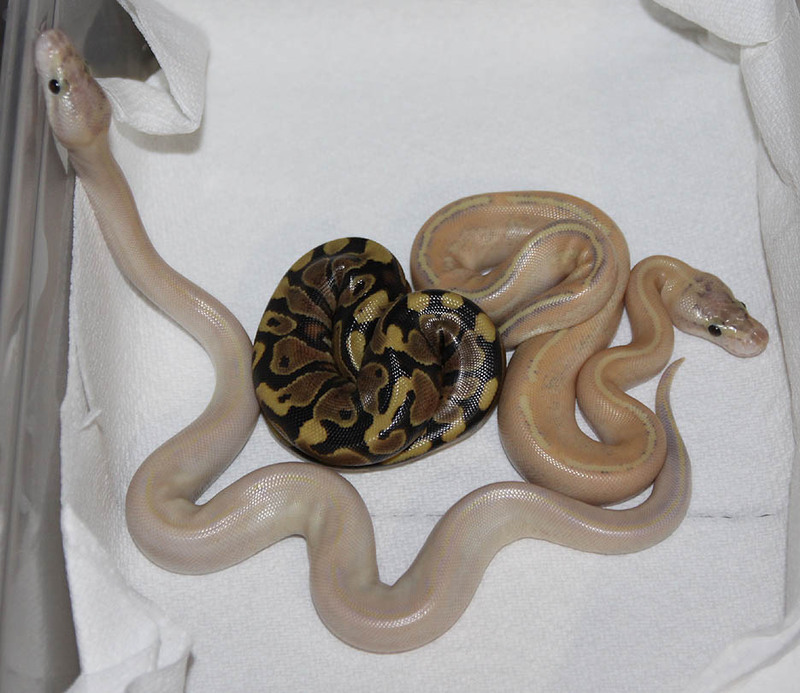 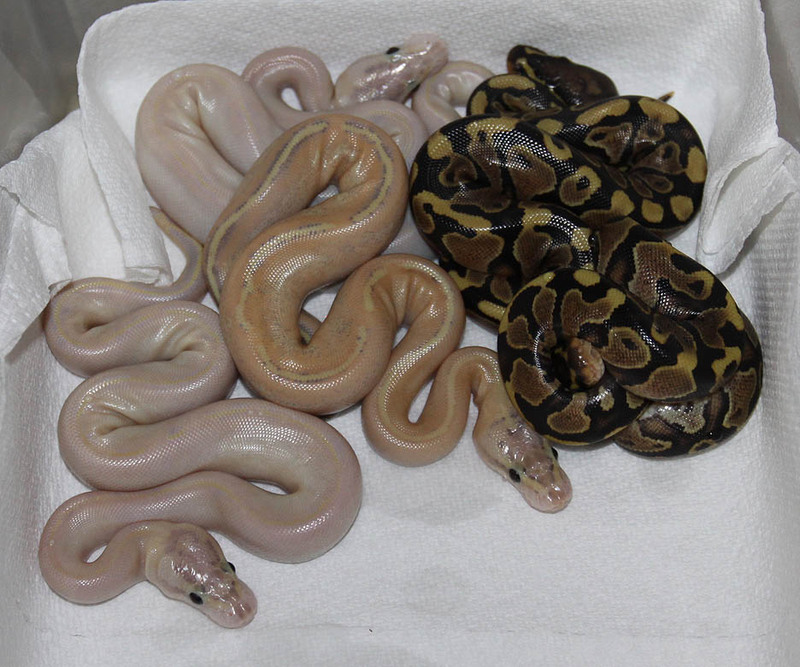 Description: Pastel Champagne Pos Het Banded/Orange Ghost/Green Ghost 2/11 x Banded 10/06. 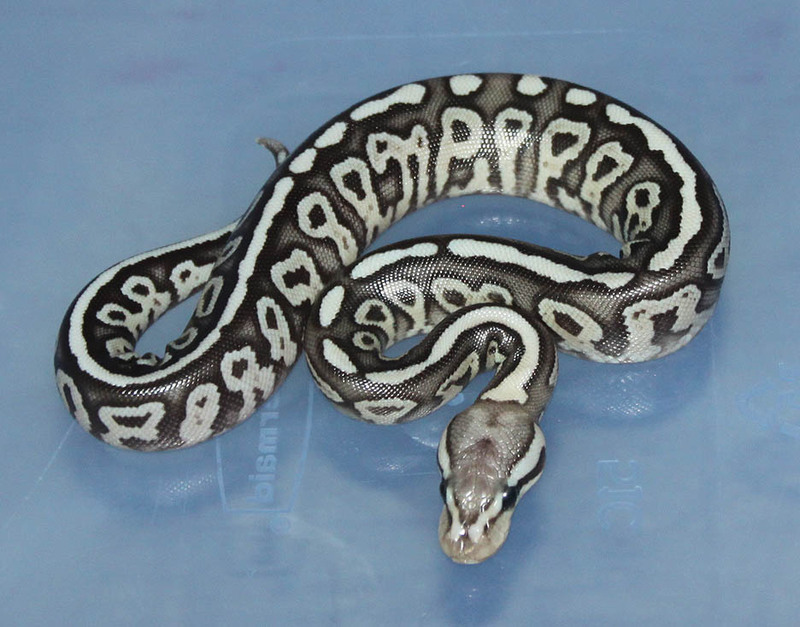 This Pastel Champ male is different looking than any other Pastel Champ male I've produced. 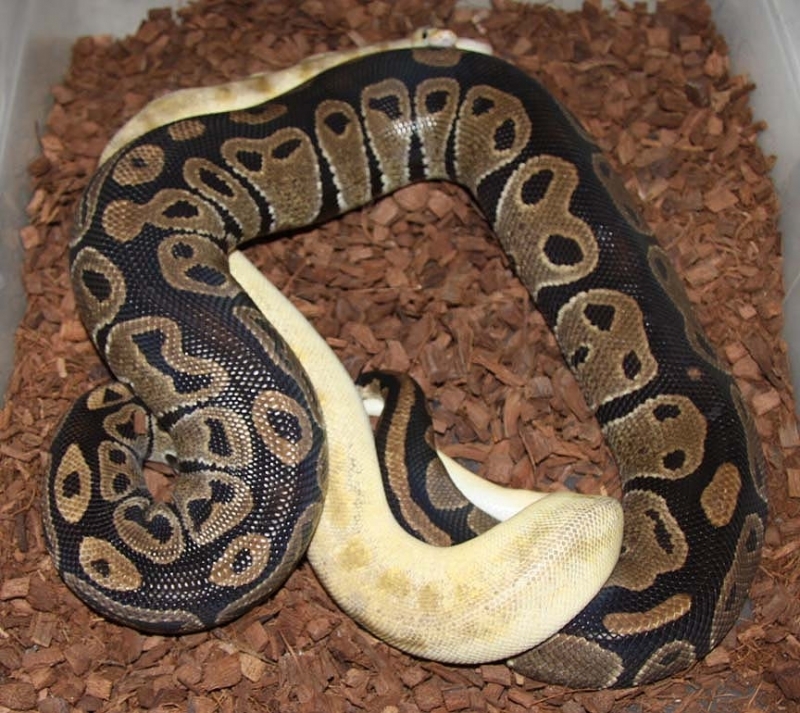 I know my "Het Bandeds" look different (inbetween a banded and a normal) so maybe he's a Het Banded? 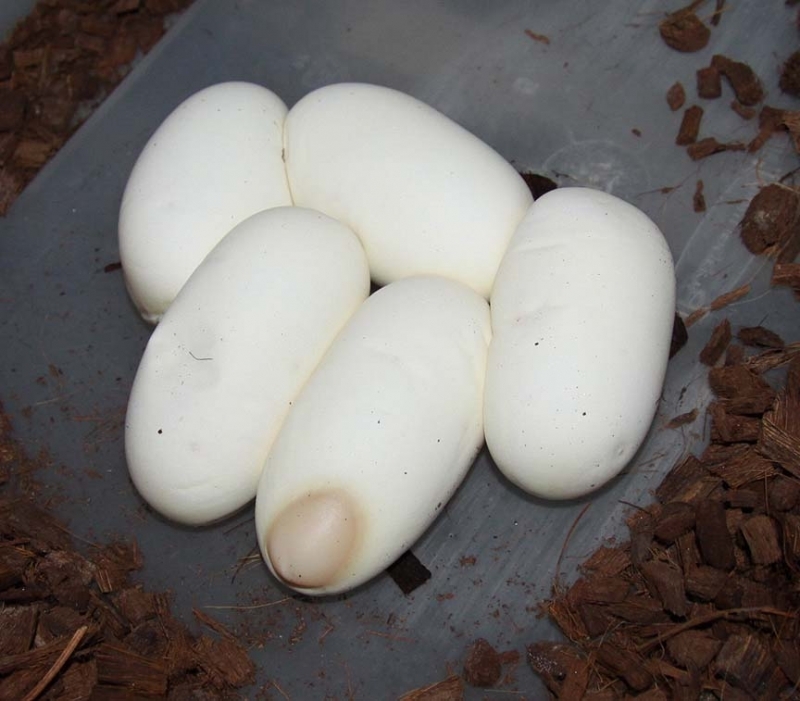 At any rate this clutch should produce Champagnes 100% Het Banded. 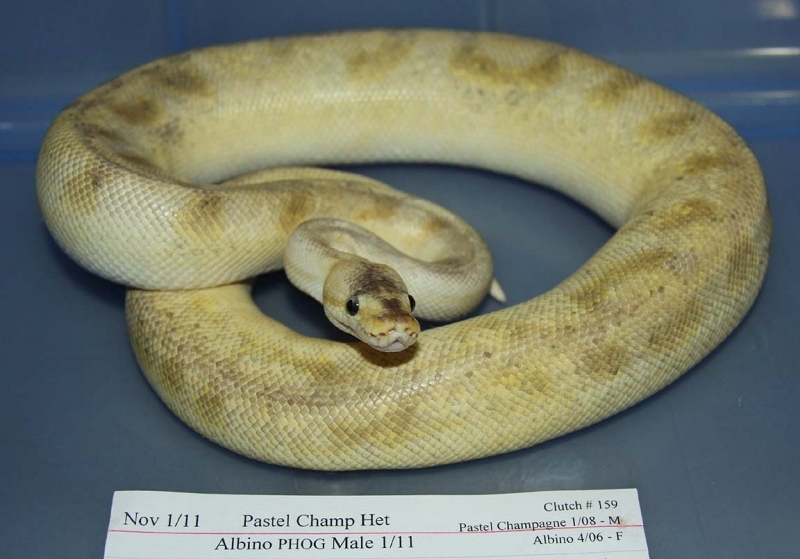 The 2011 Pastel Champagne male proved out to be a Het Banded! 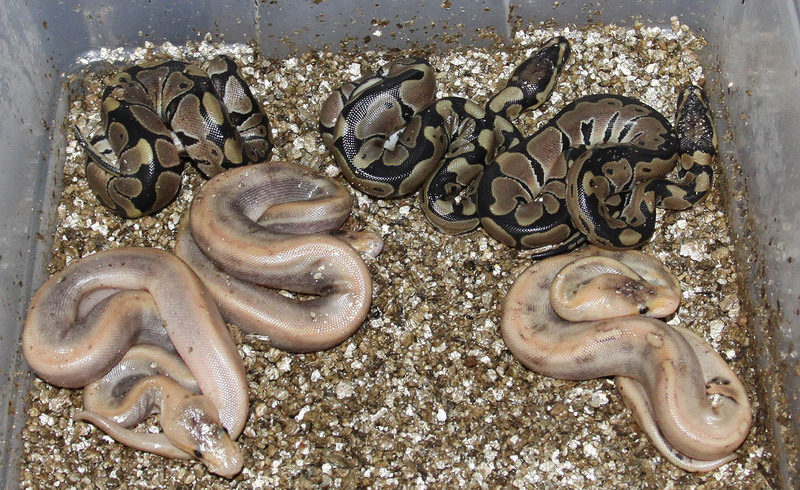 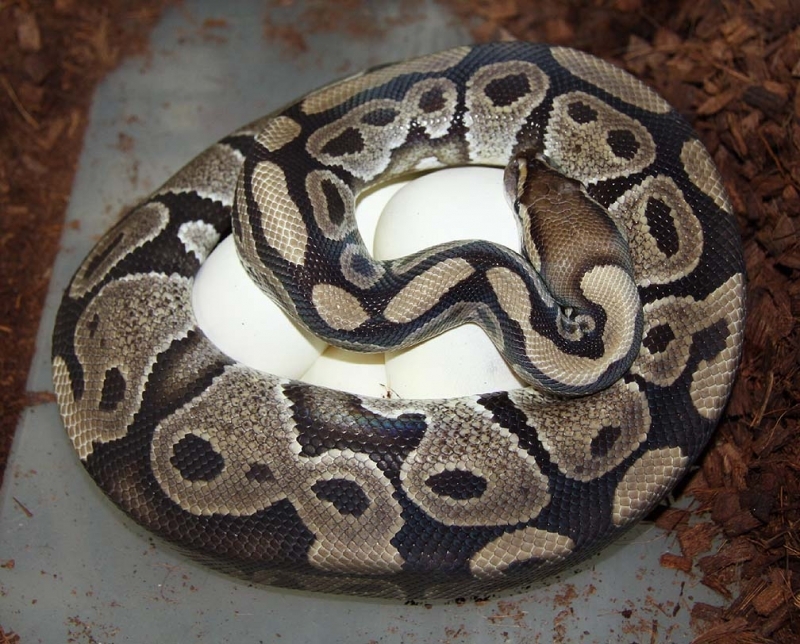 Description: Banded Het RA 1/11 x Champagne Pos Het Banded/Orange Ghost/Green Ghost 1/11. 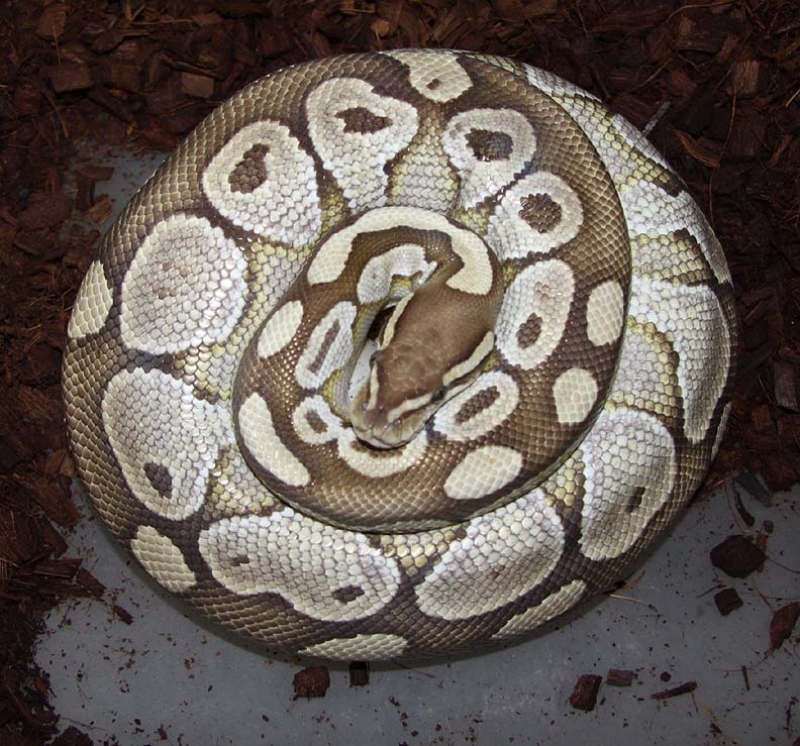 This clutch couldn't have been laid any better. 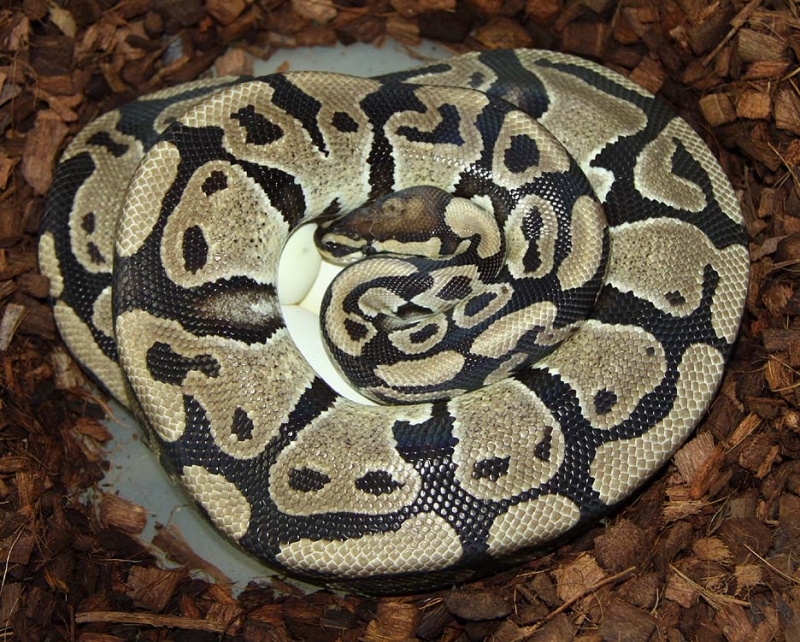 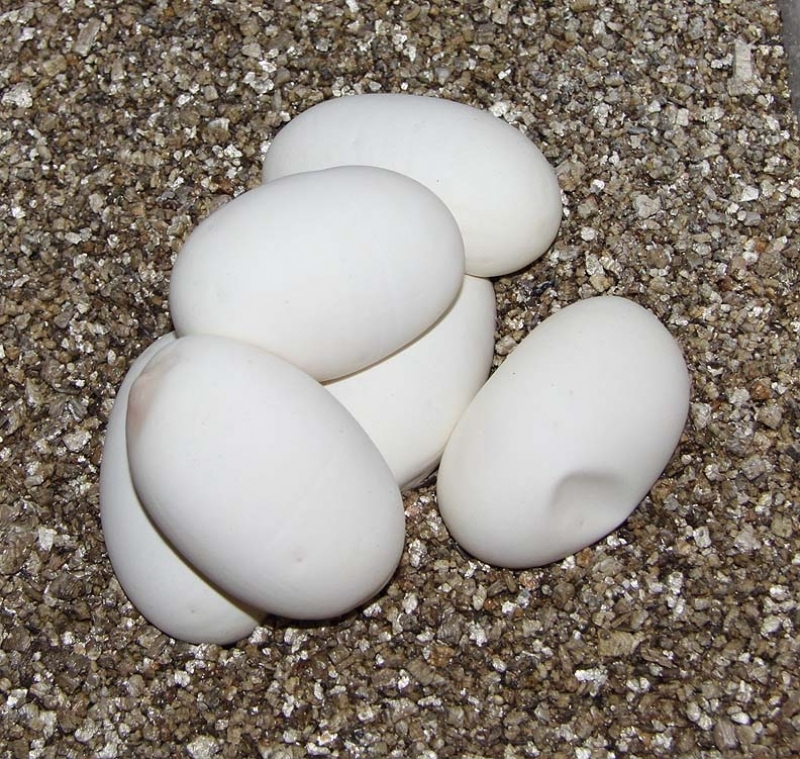 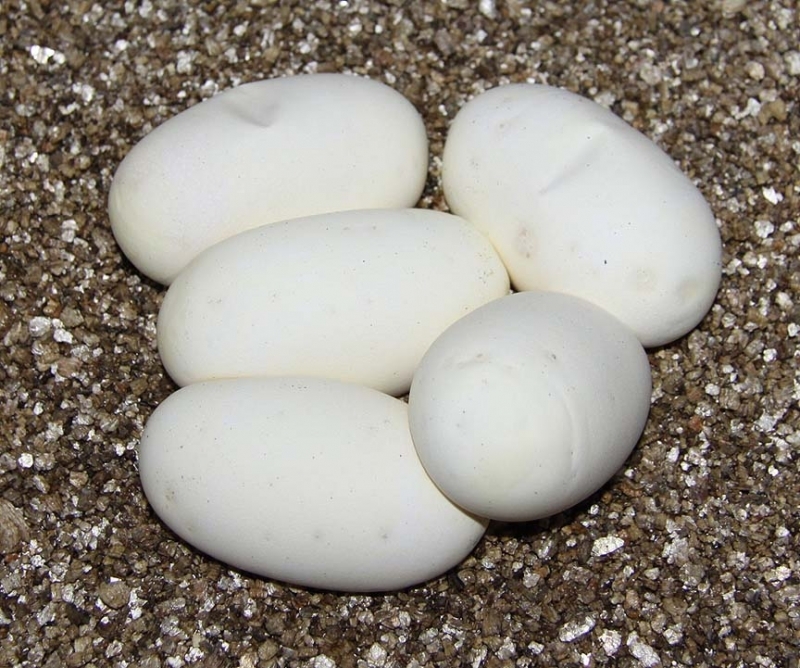 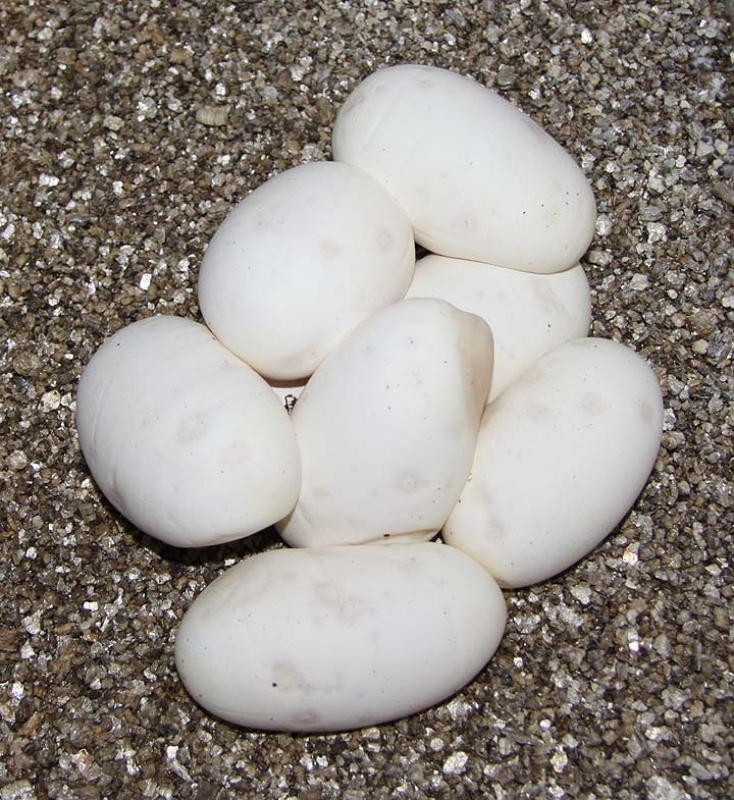 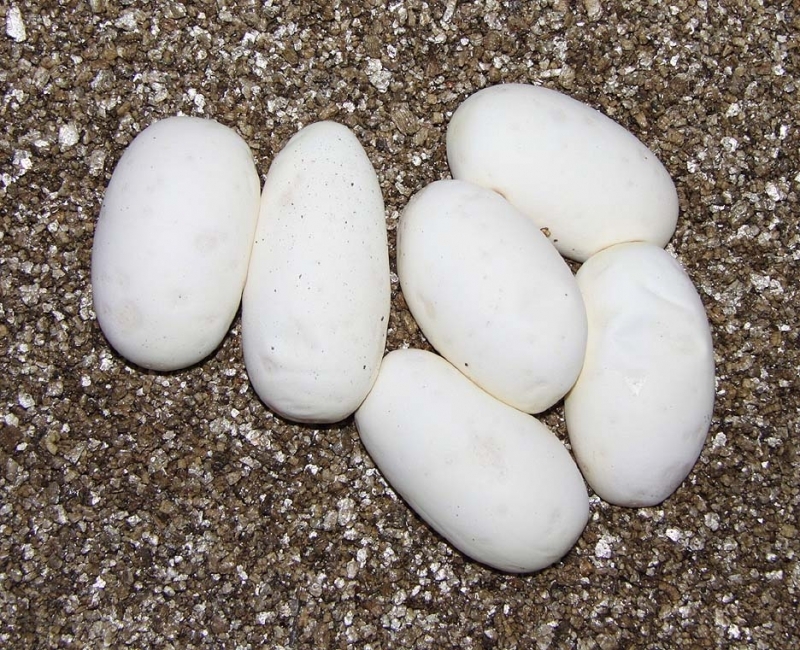 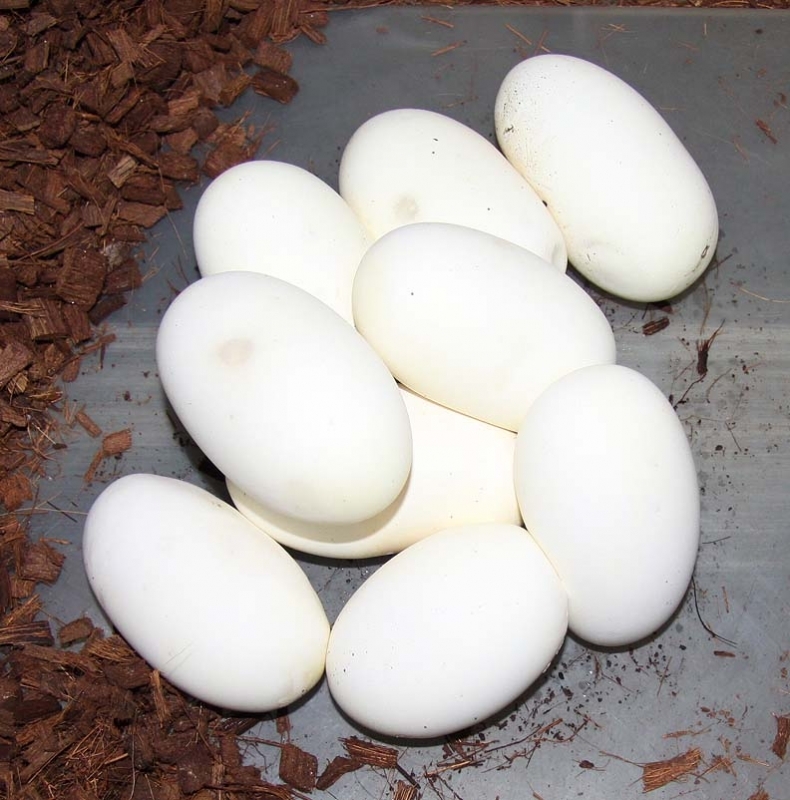 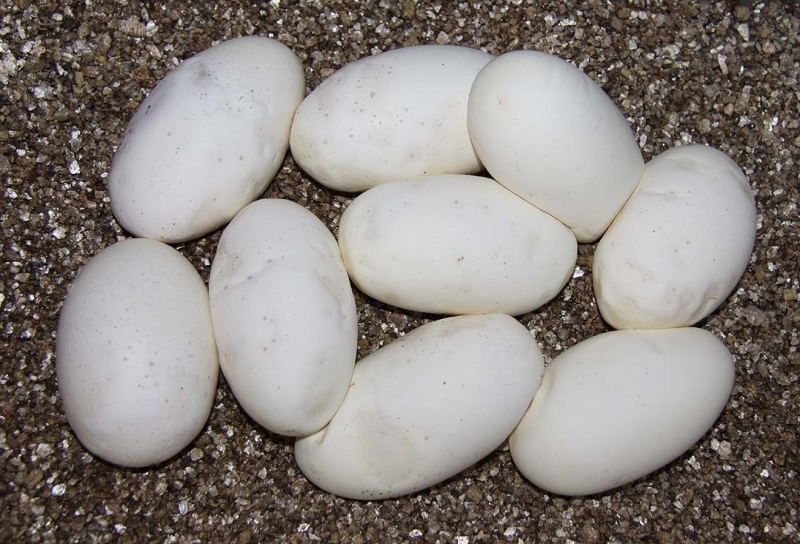 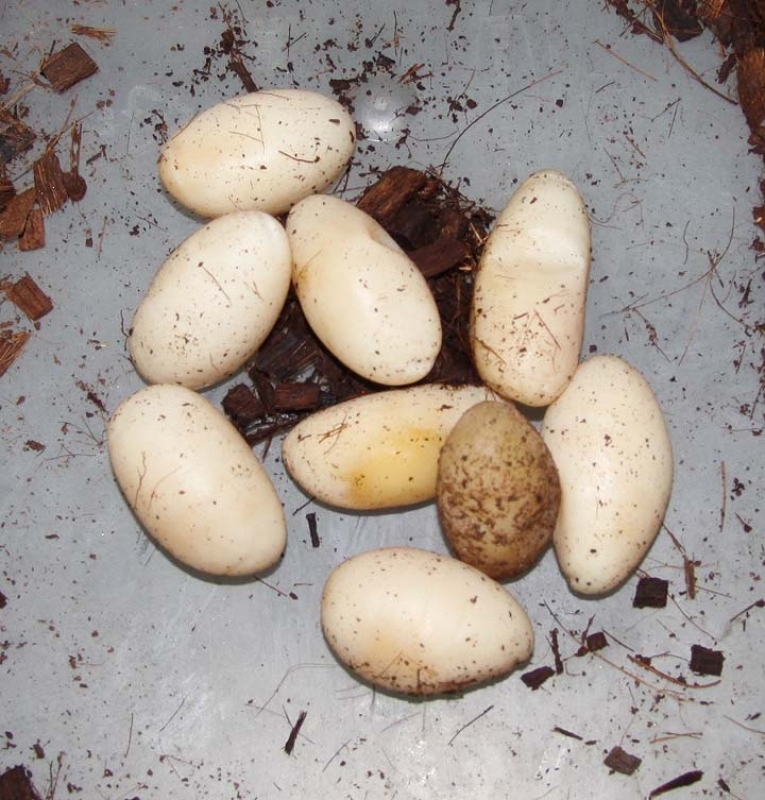 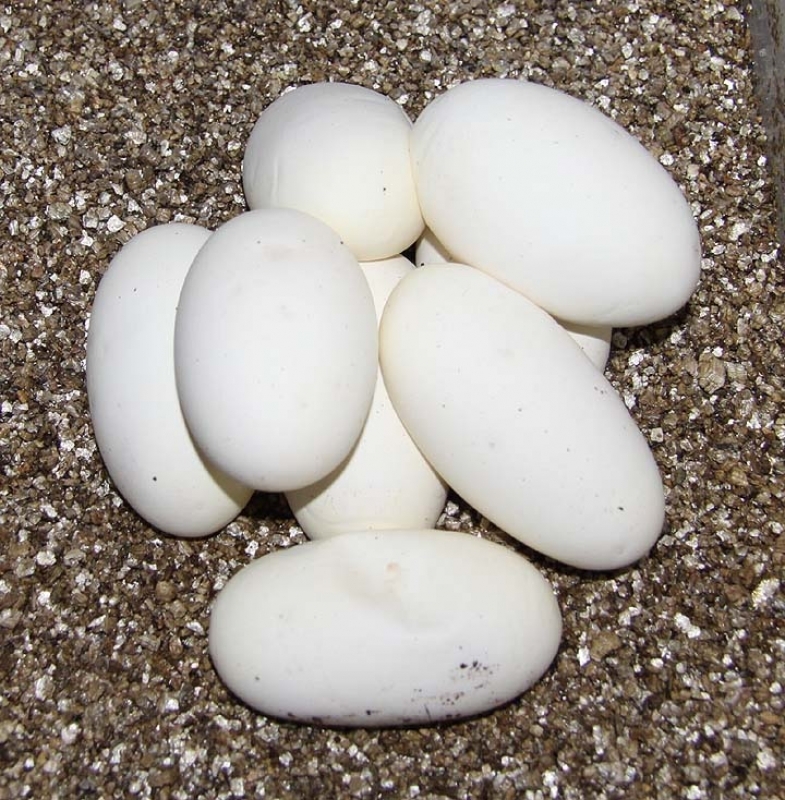 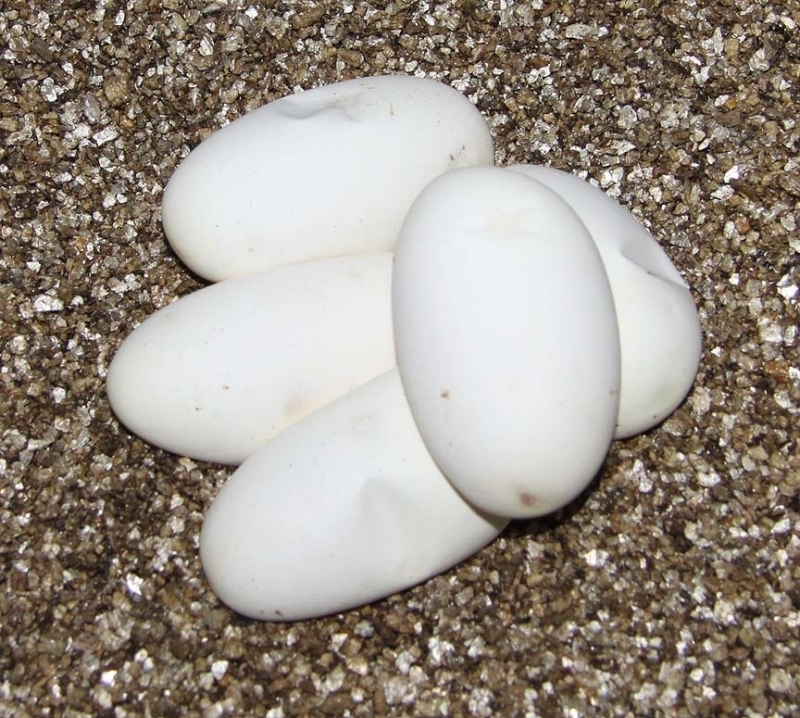 This Champagne female is a sister to the Pastel Champagne male used in the previous clutch (clutch 146). 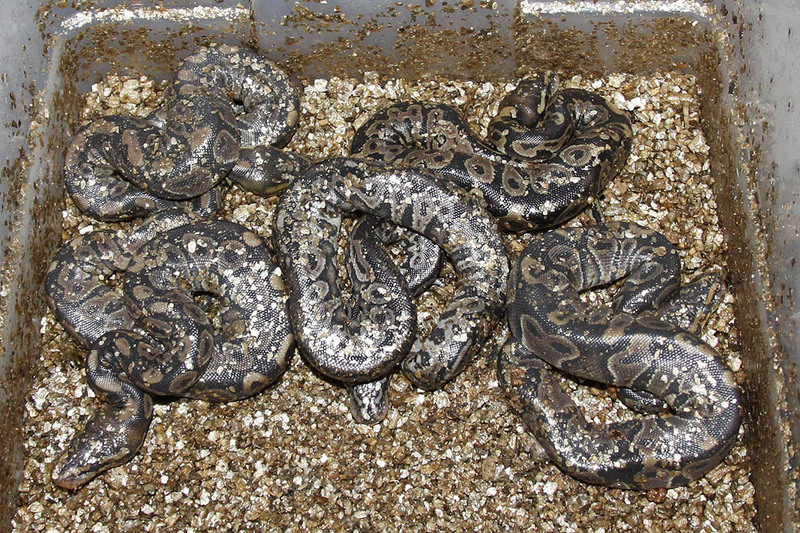 So, I have 2 clutches to produce Champagne Bandeds or Champagne Het Bandeds. 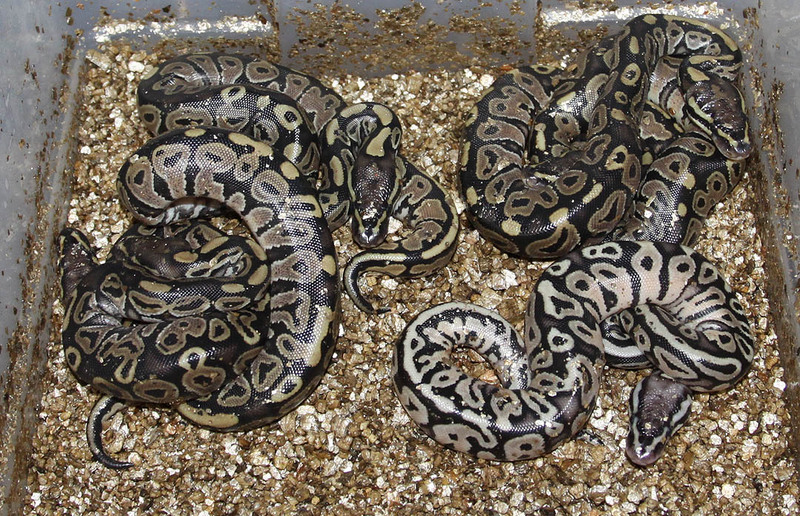 The 2011 Champagne female proved out to be a Het Banded as well! 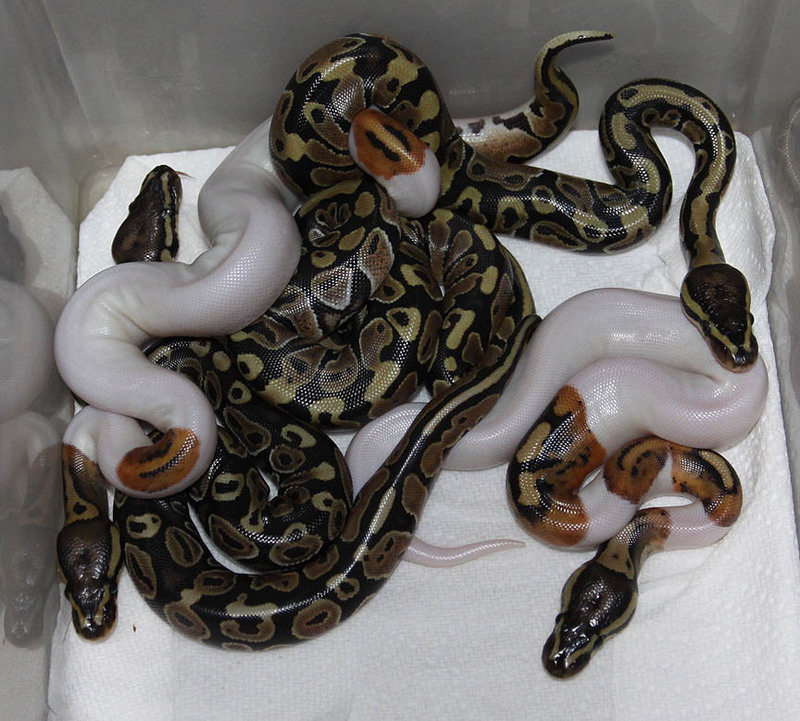 Description: Pastel Double Het Orange Ghost/Genetic Stripe 2/11 x Double Het Orange Ghost/Genetic Stripe 2/07. 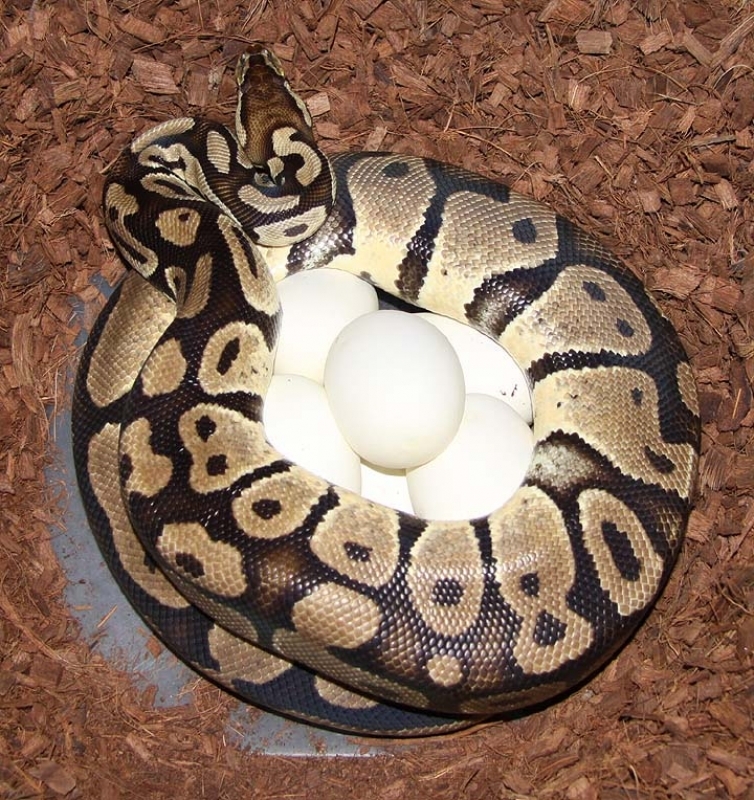 This is the 4th season in a row this female has given me eggs! 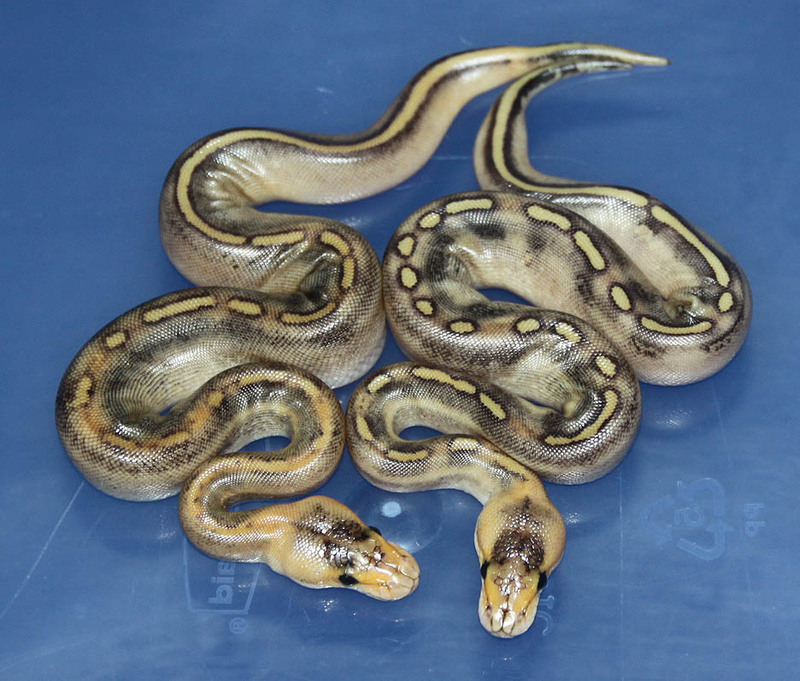 Description: Pastel Genetic Stripe Het RA 2/11 x Het RA Het Genetic Stripe 2/08. 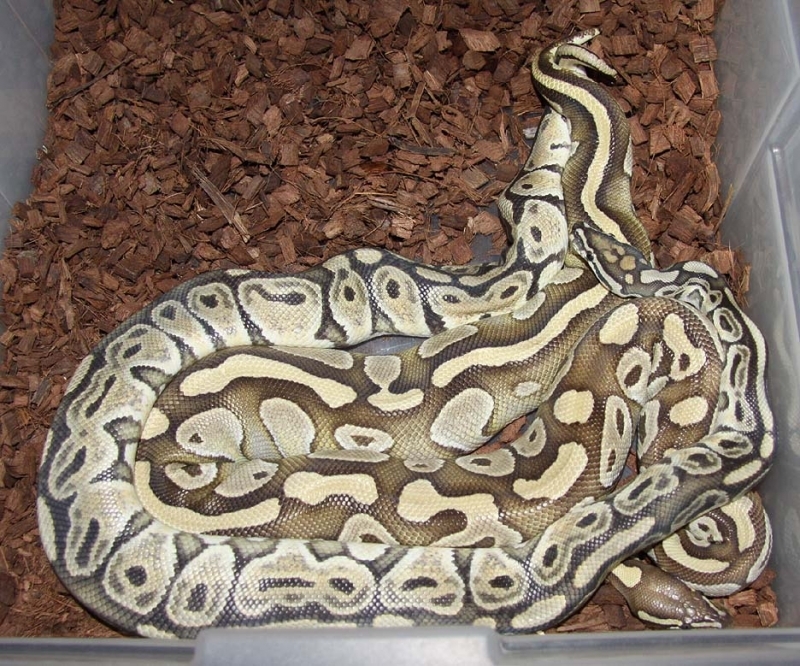 Description: Mutation X Genetic Stripe 1/11 x Pastel Het GS 6/07.